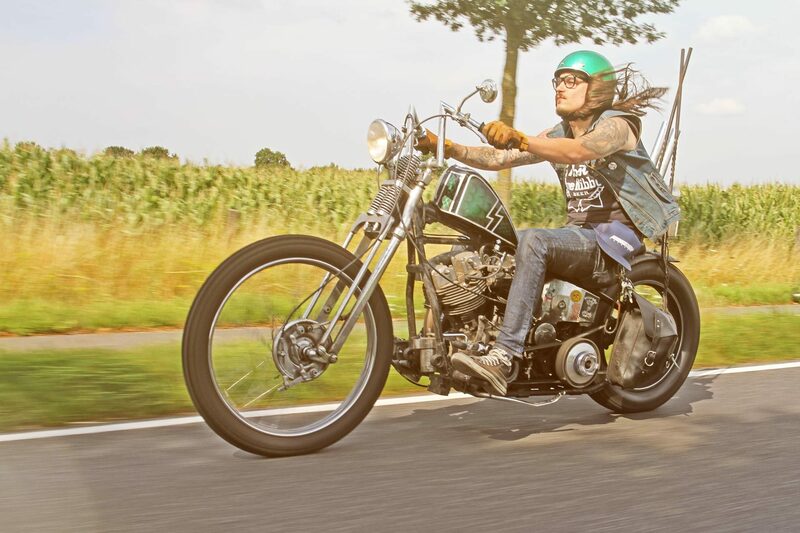 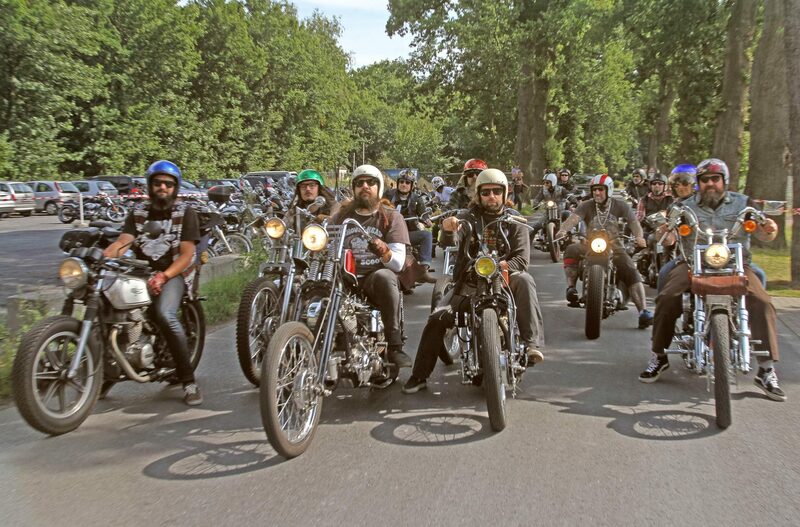 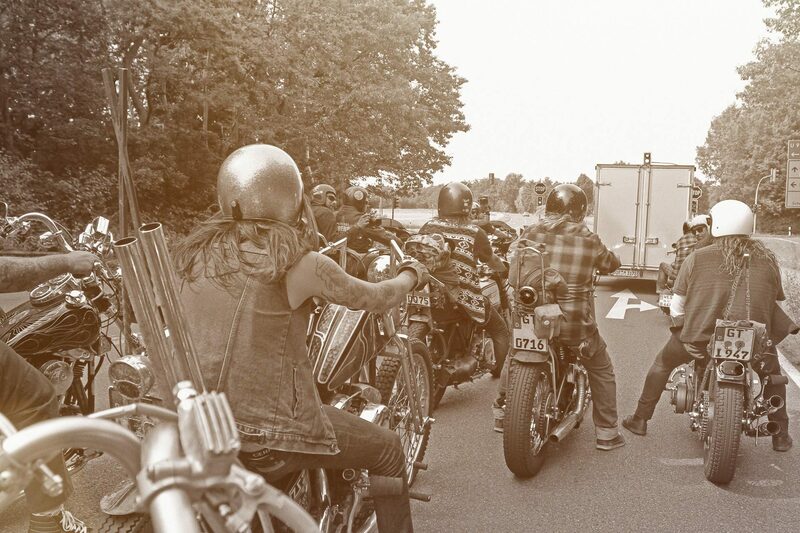 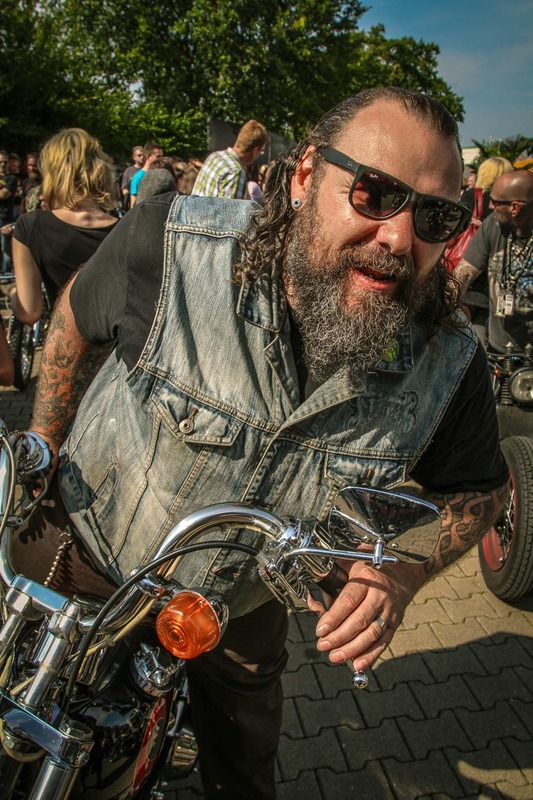 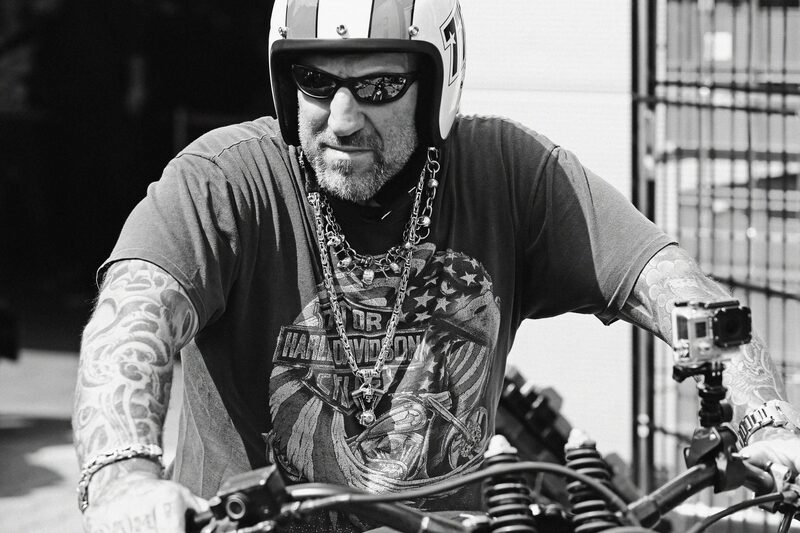 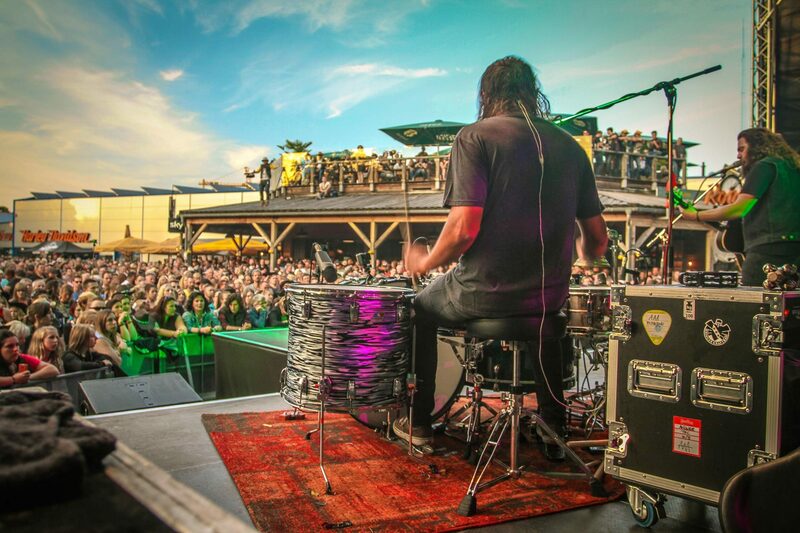 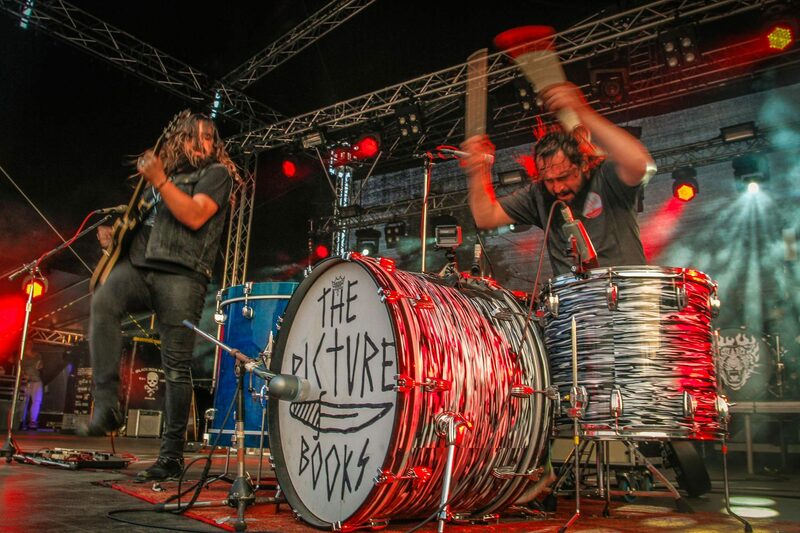 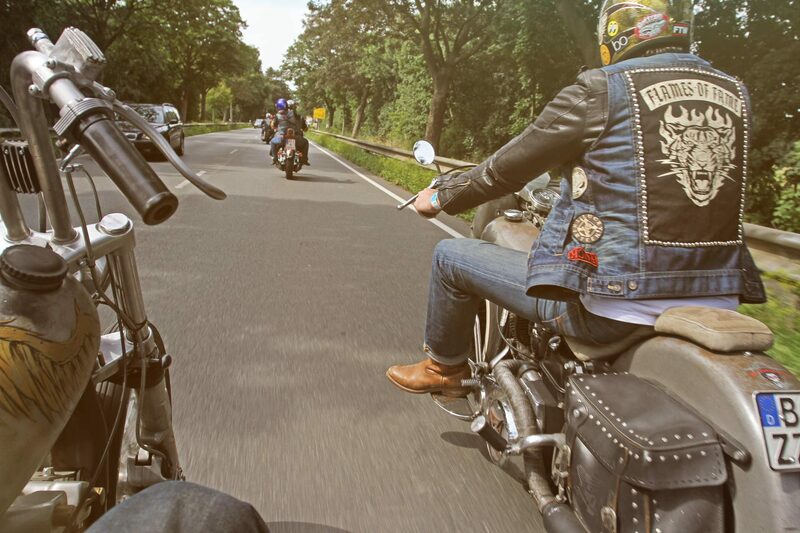 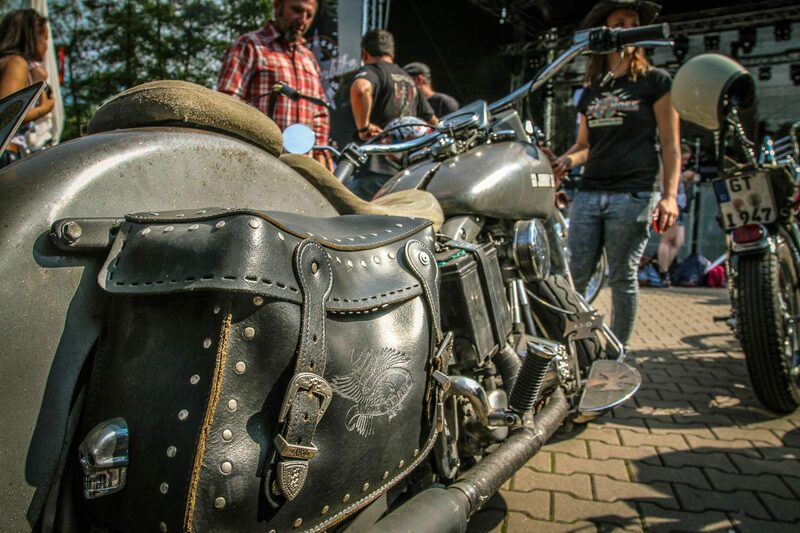 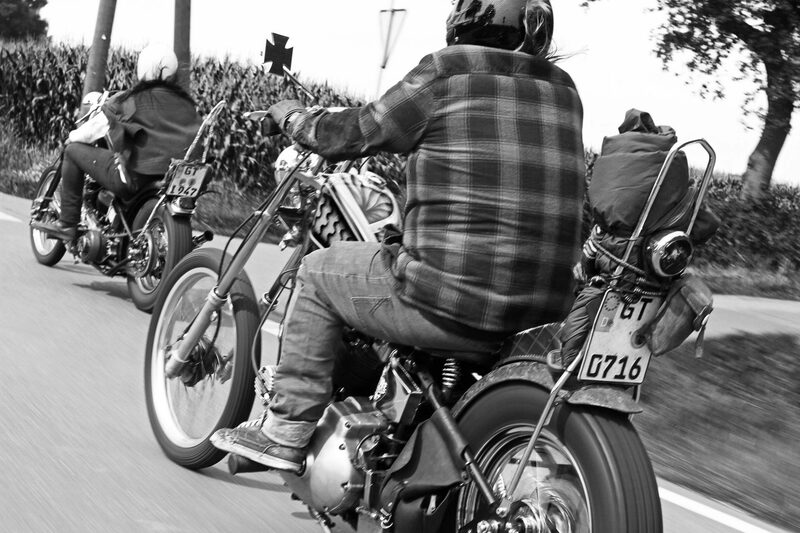 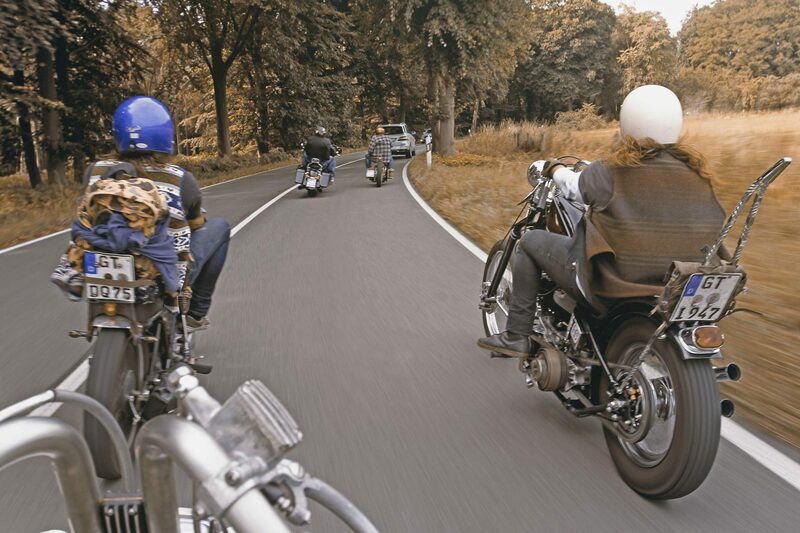 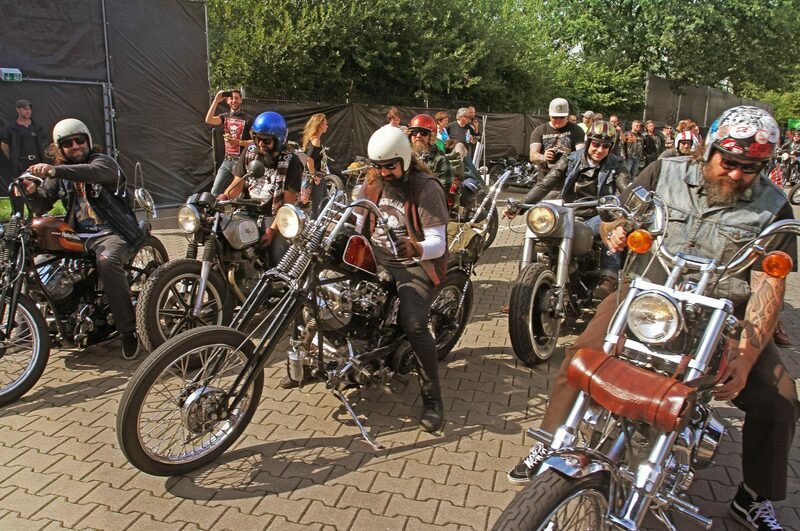 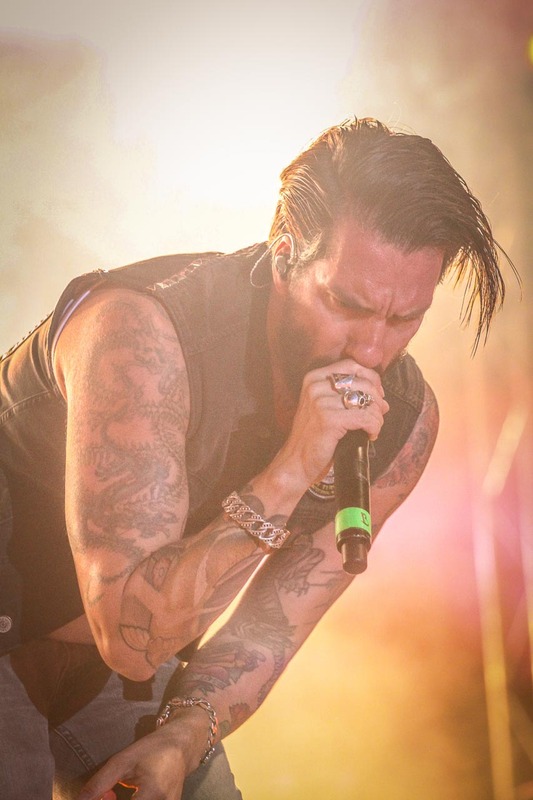 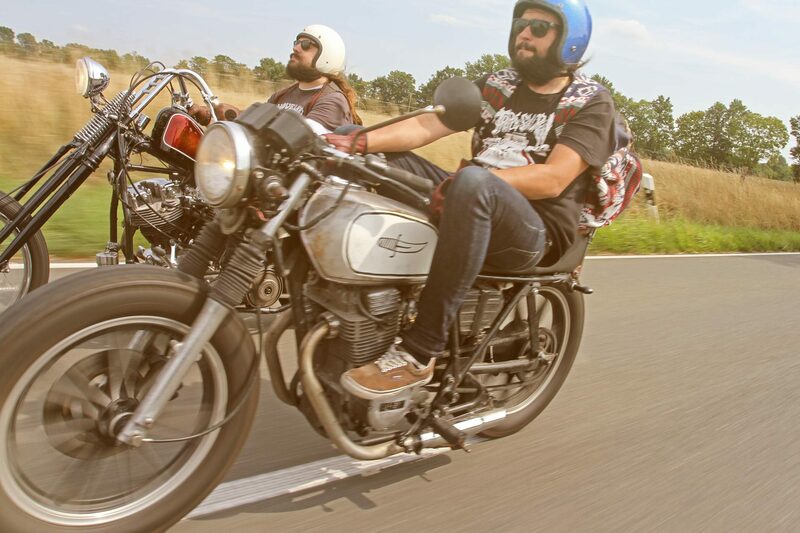 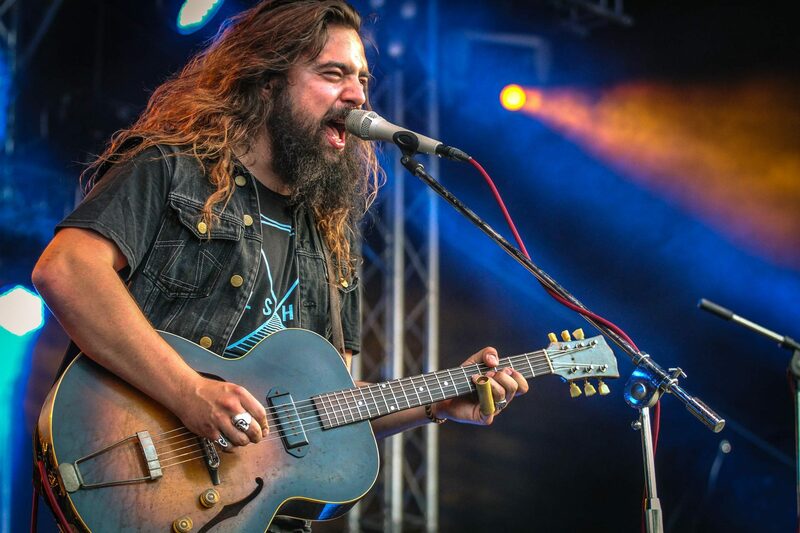 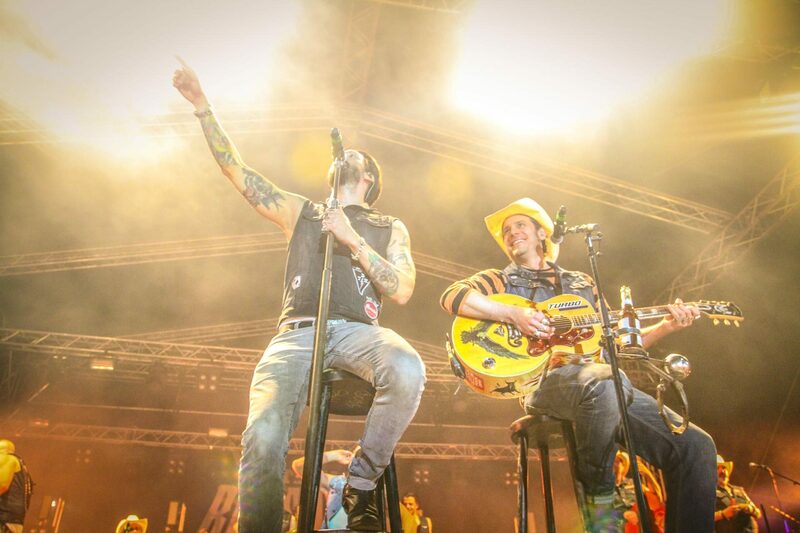 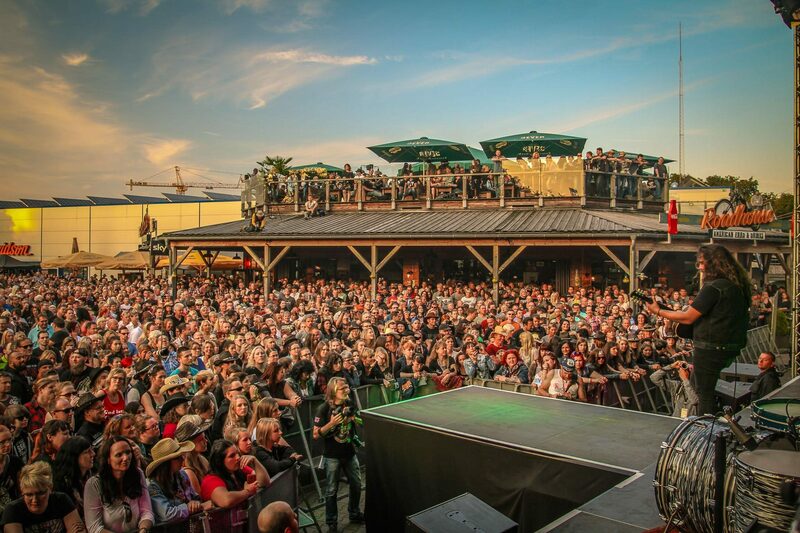 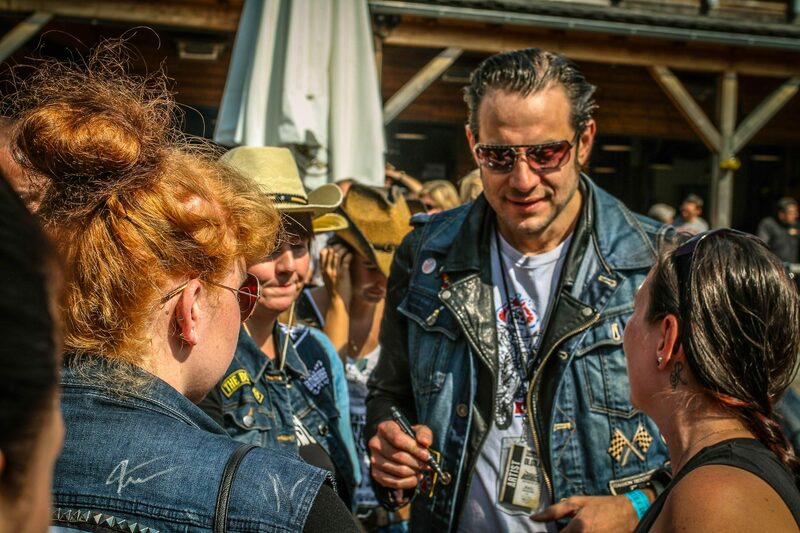 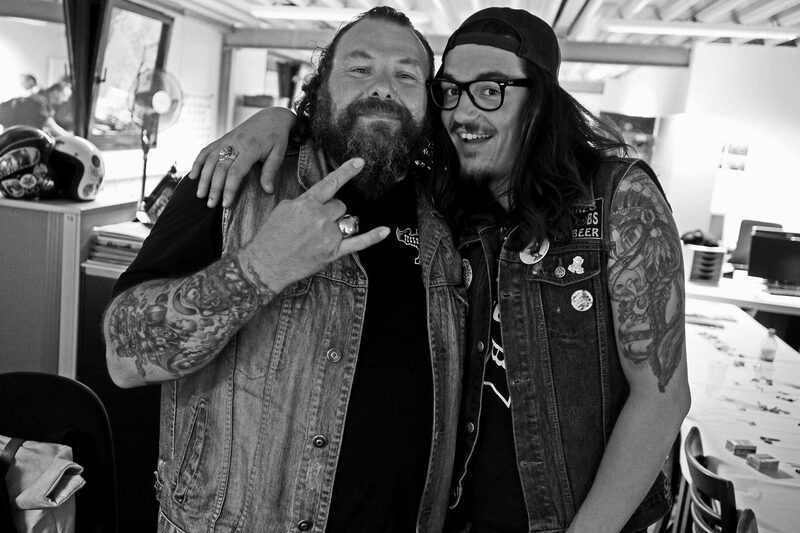 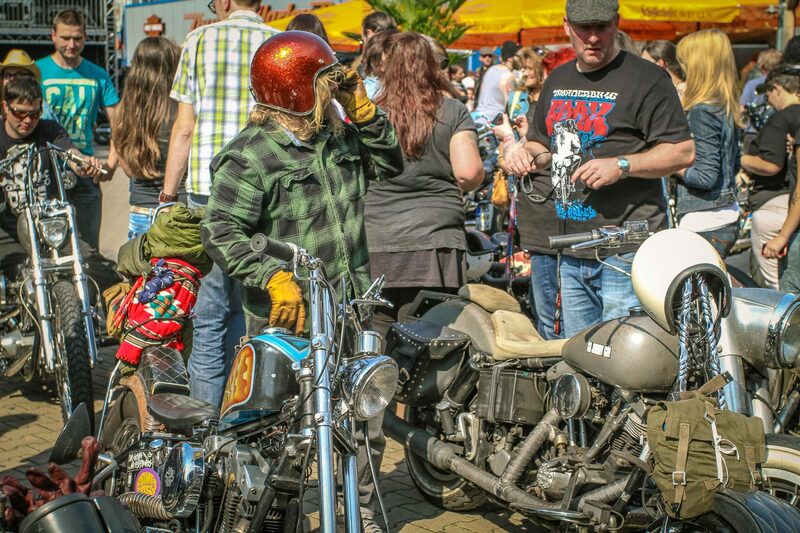 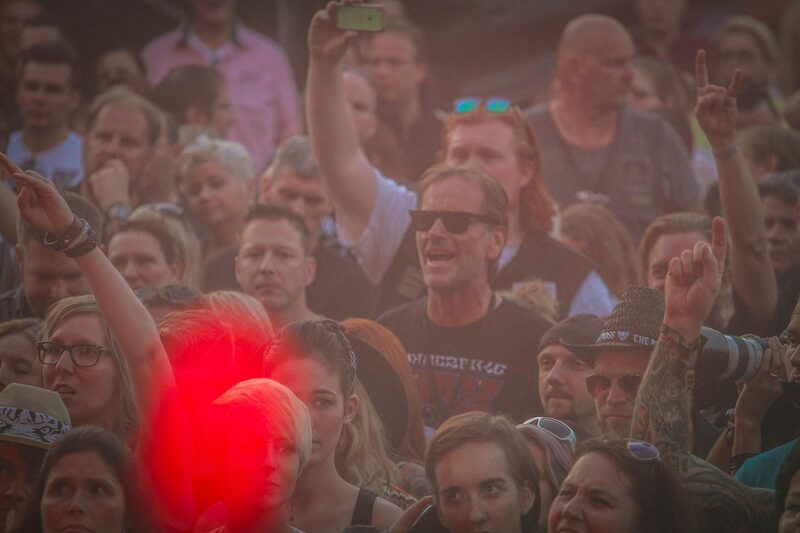 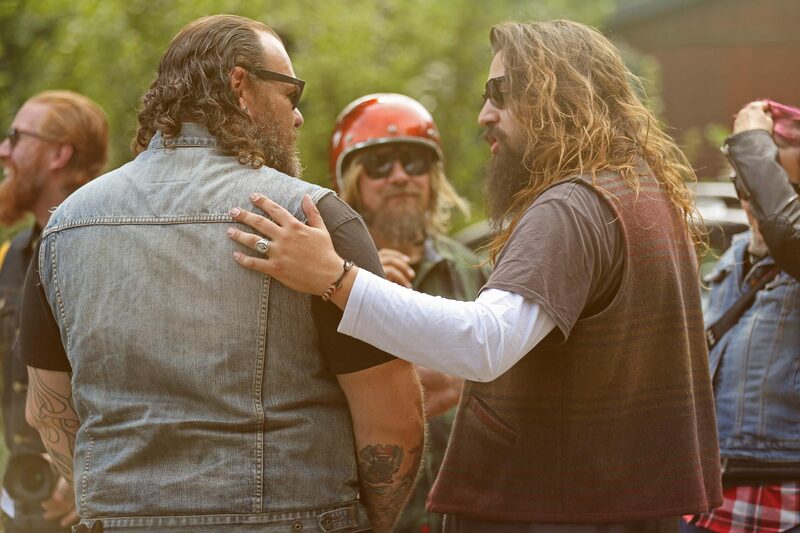 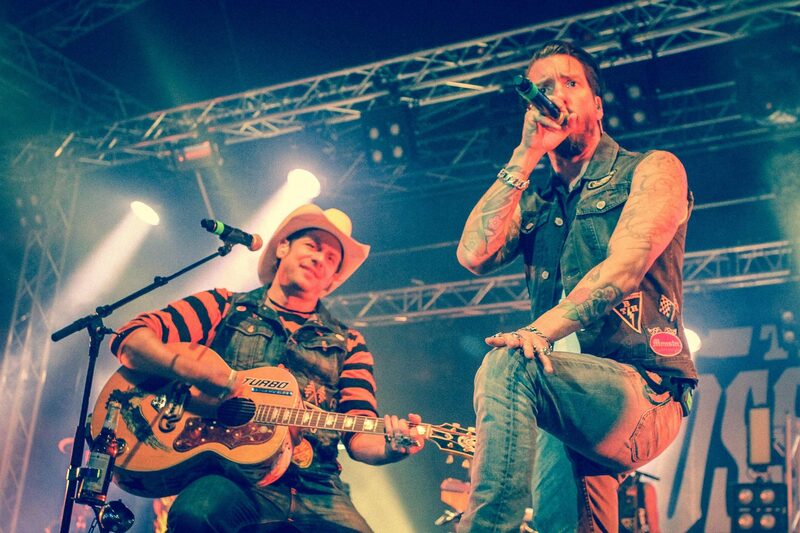 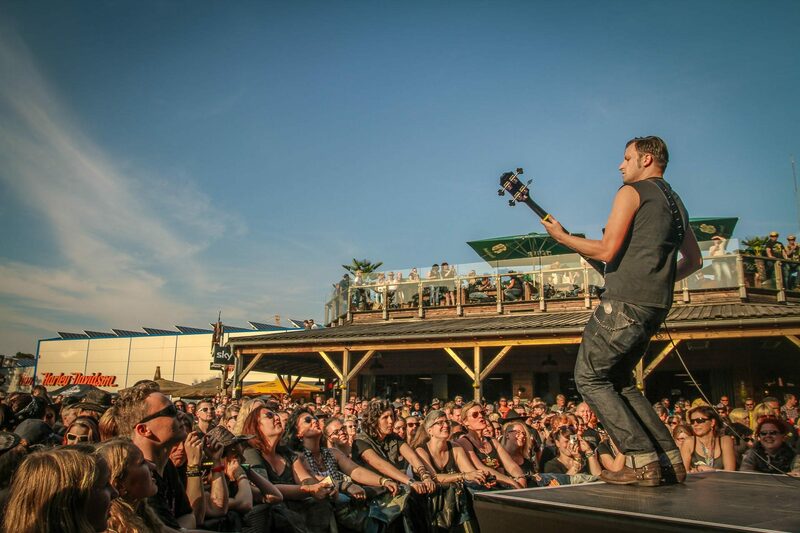 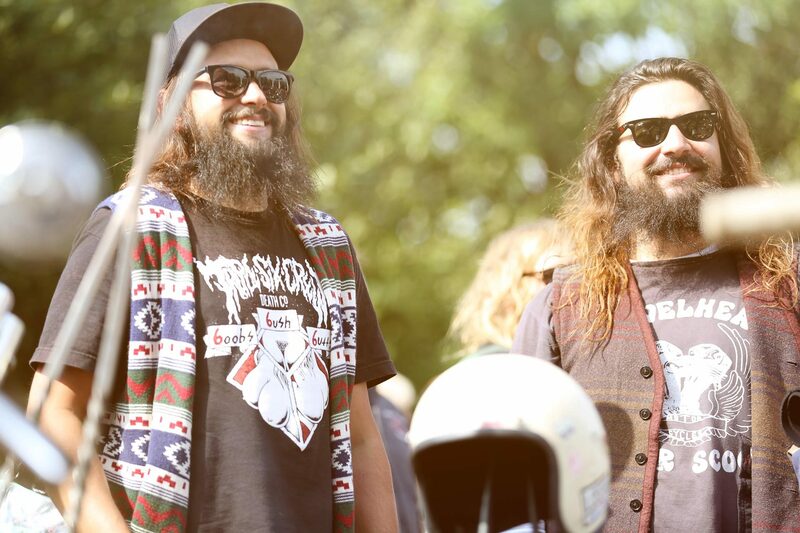 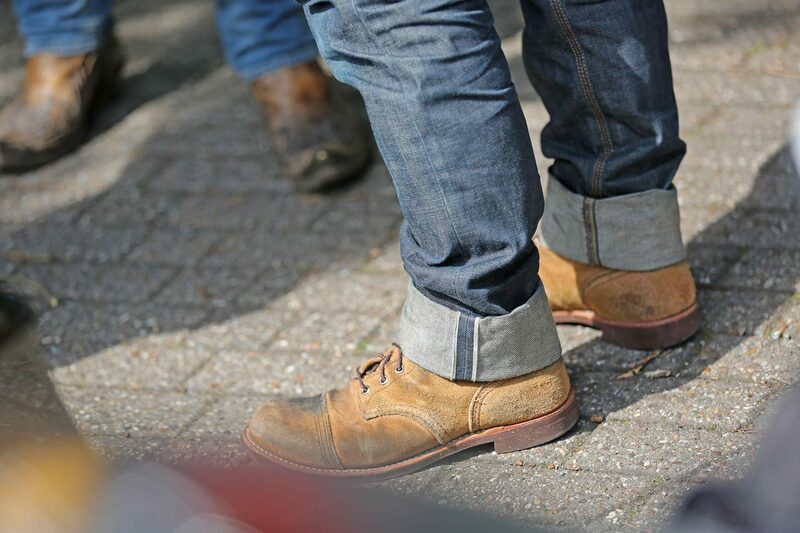 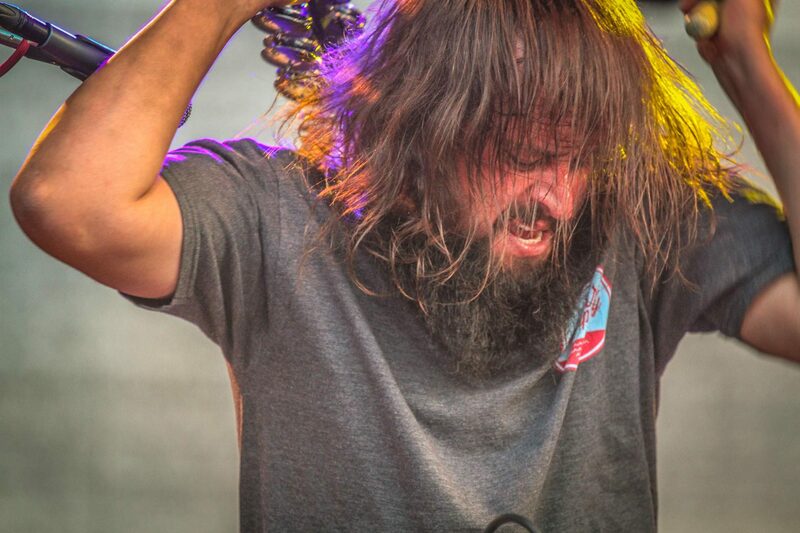 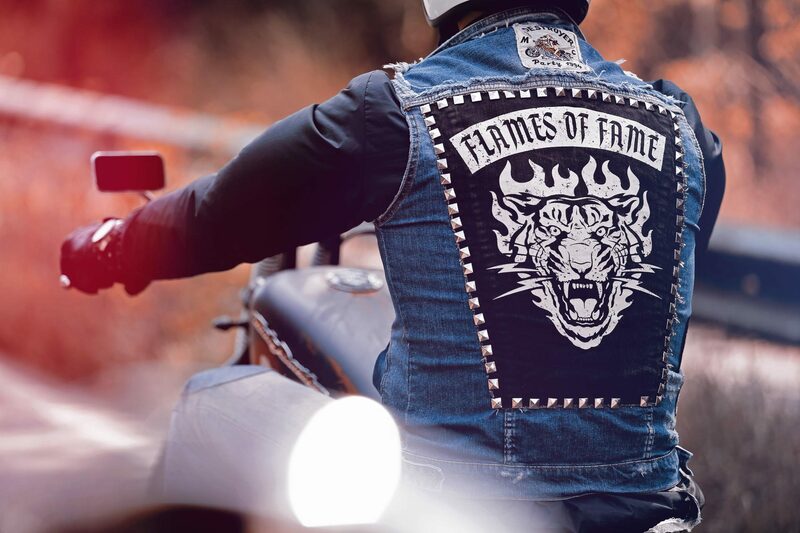 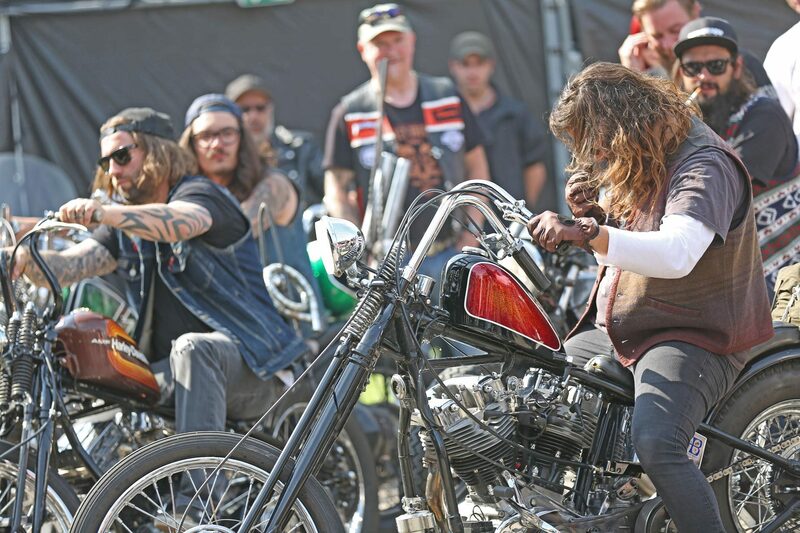 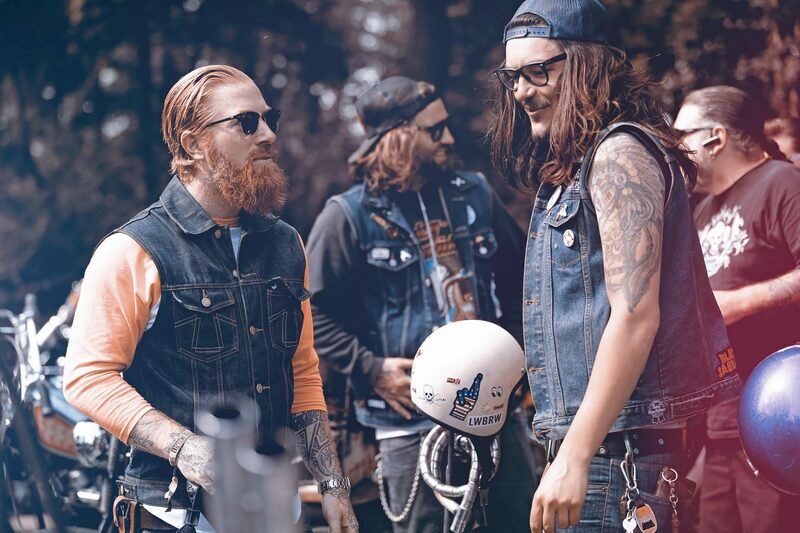 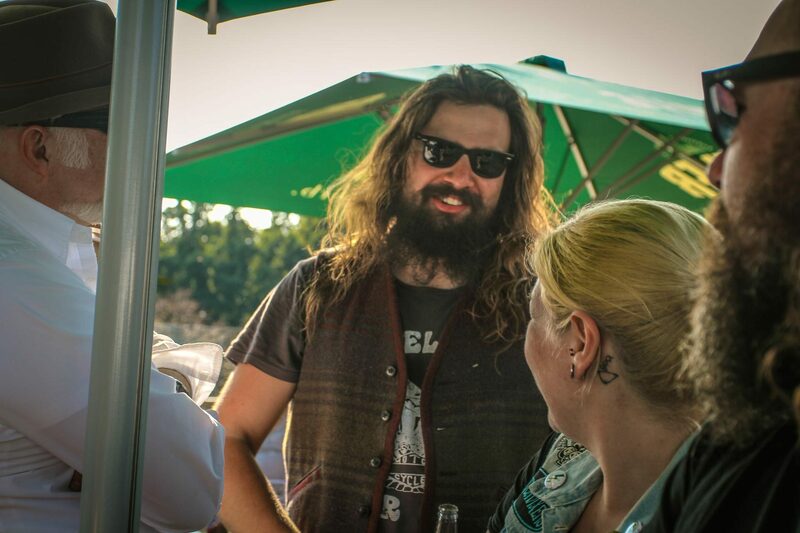 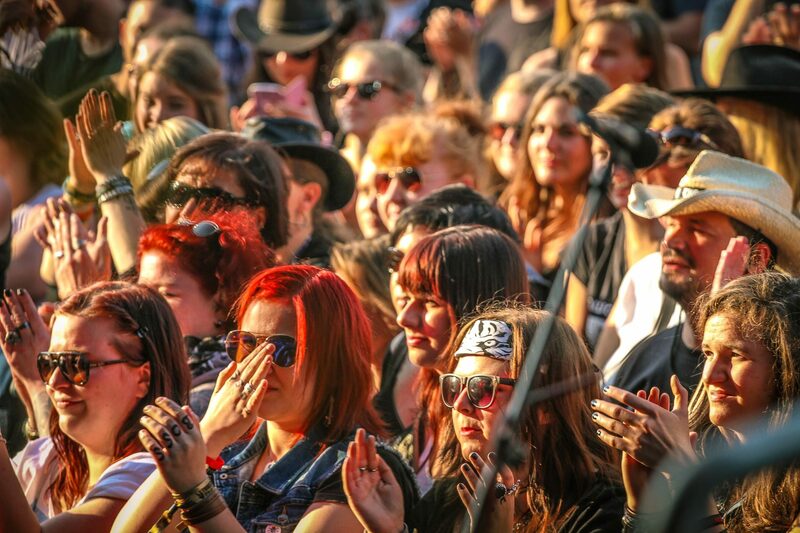 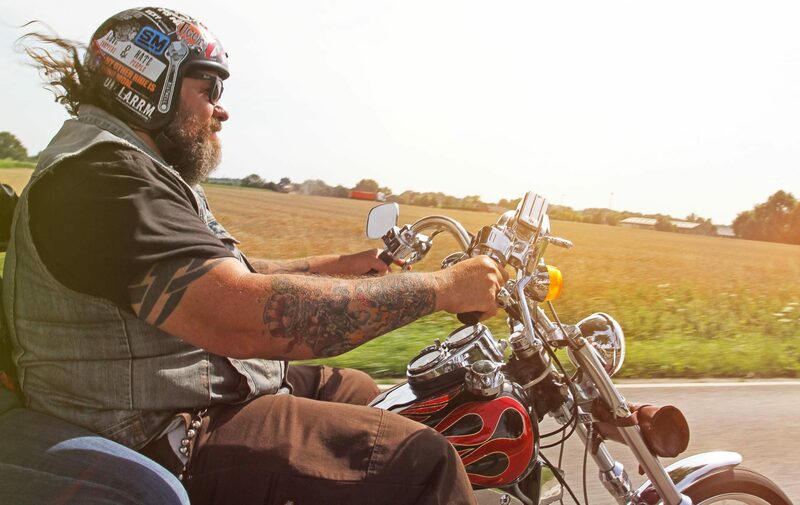 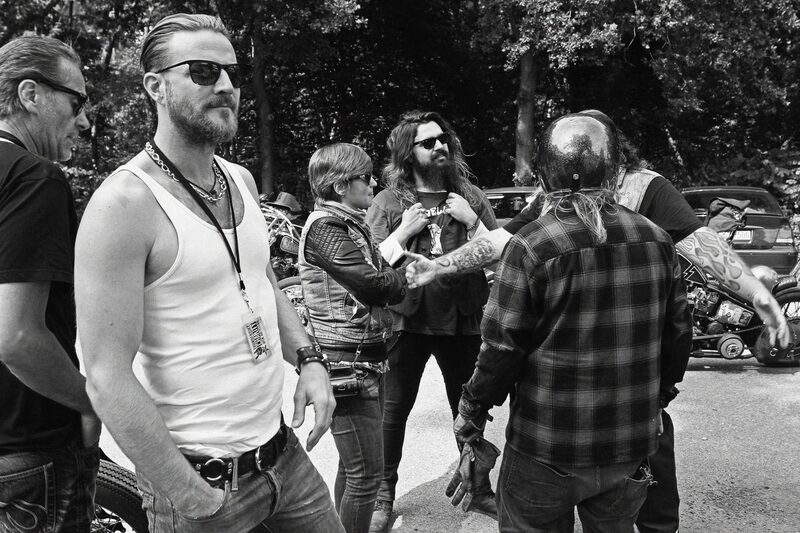 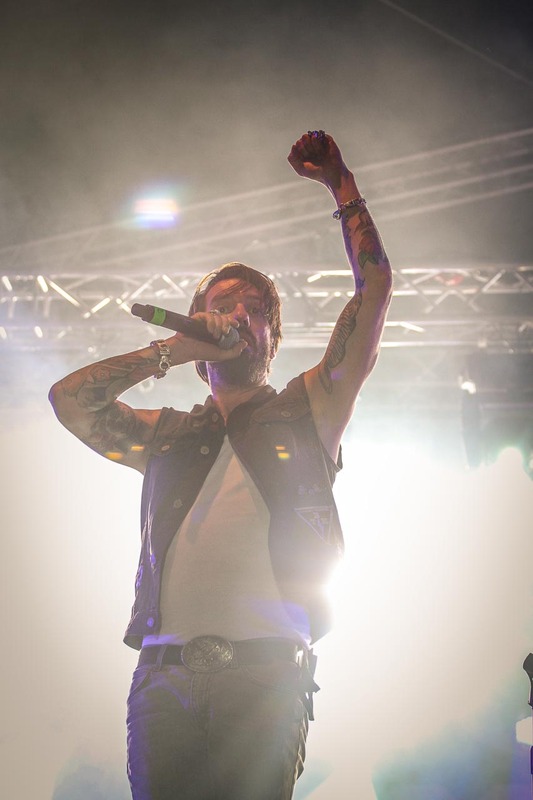 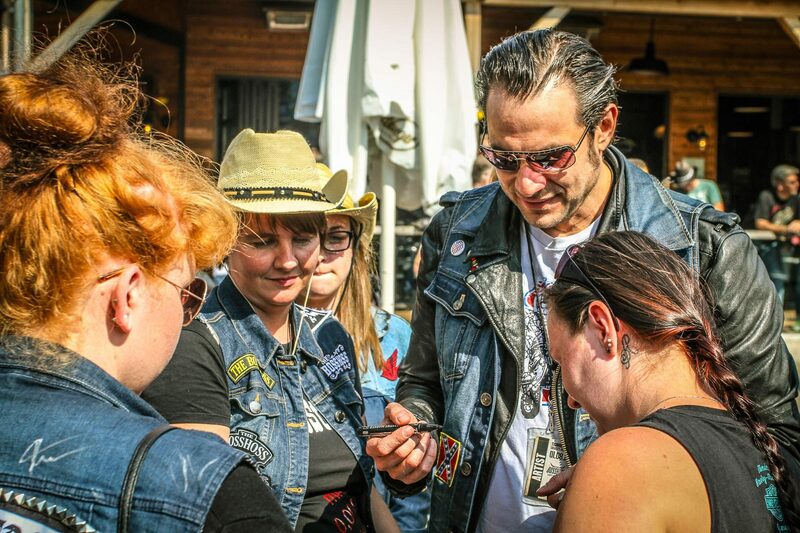 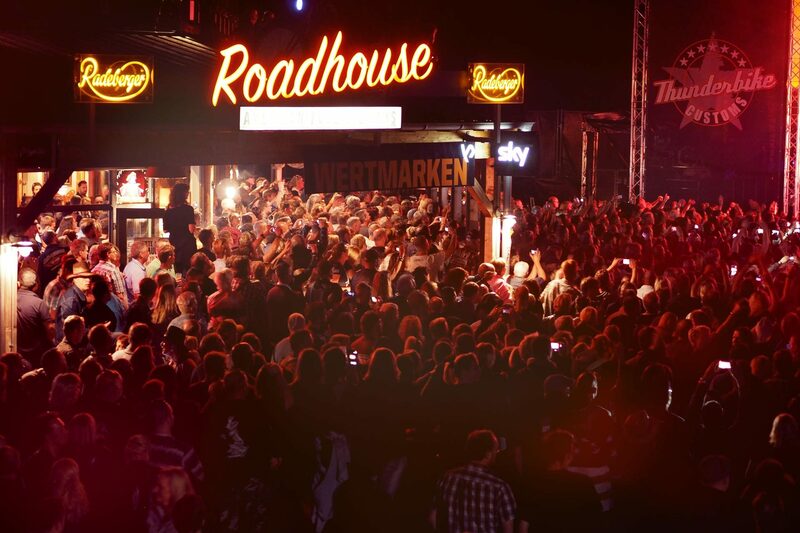 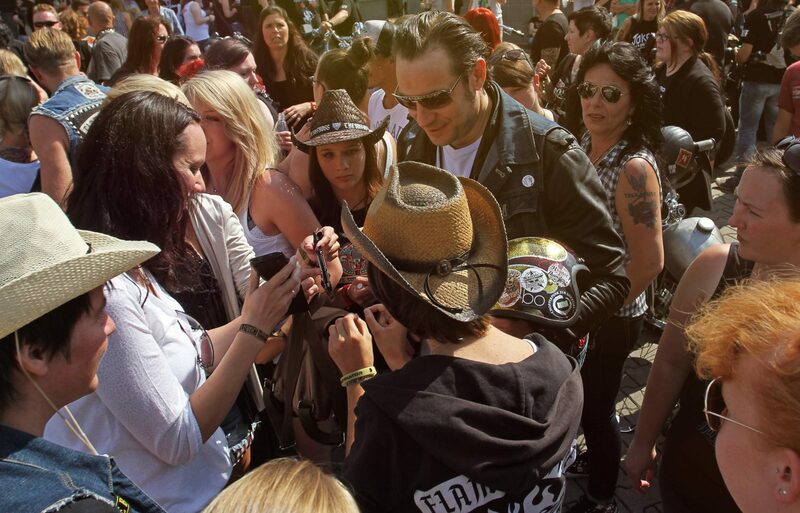 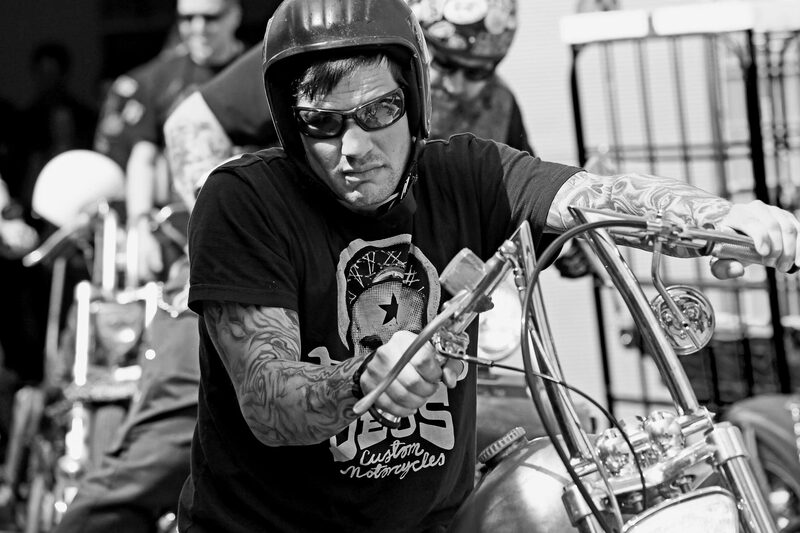 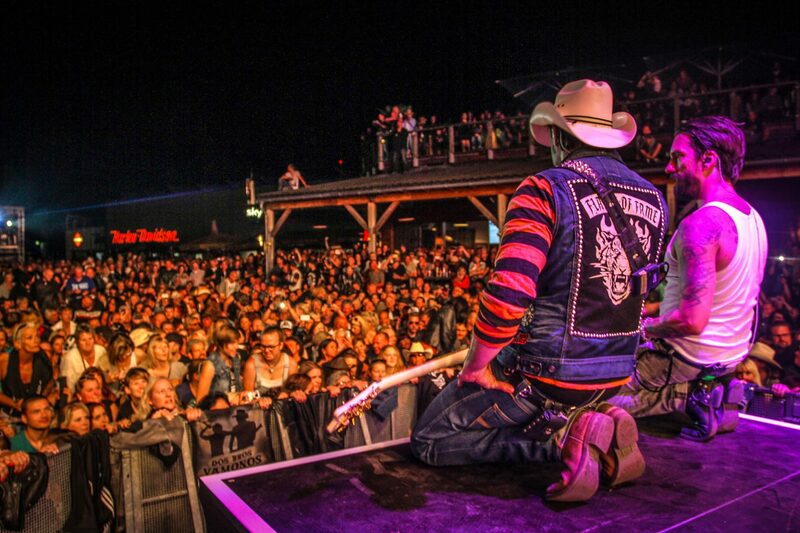 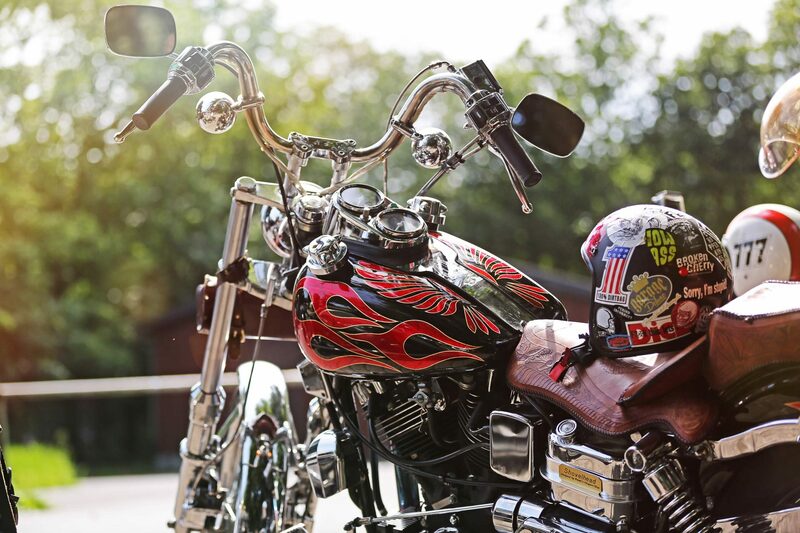 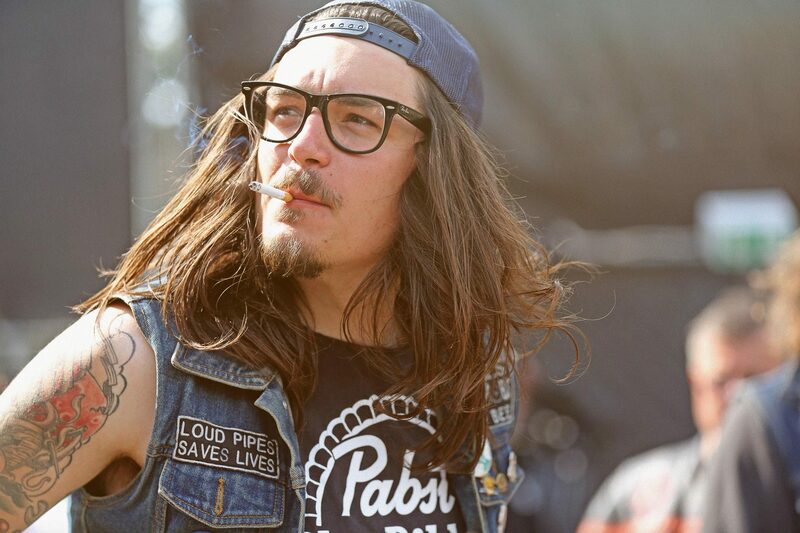 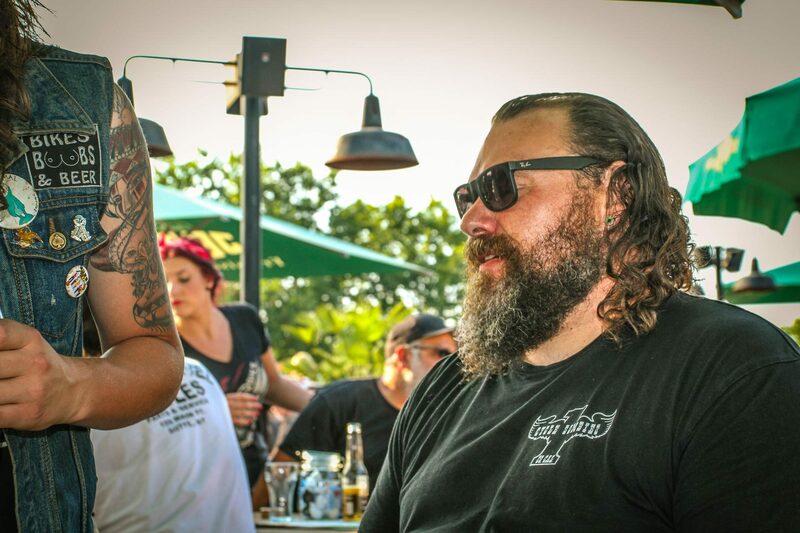 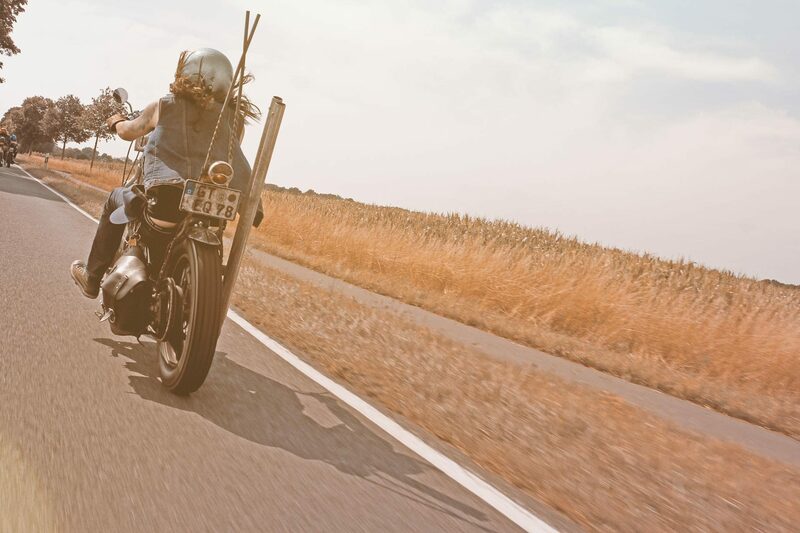 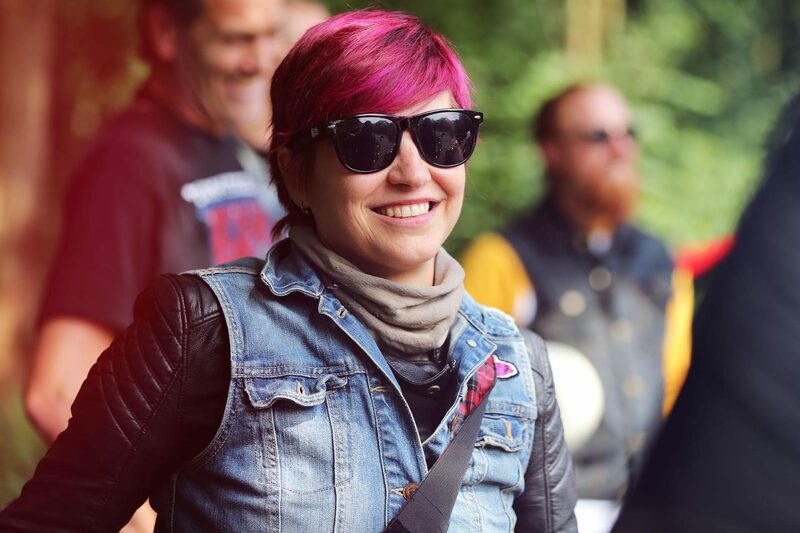 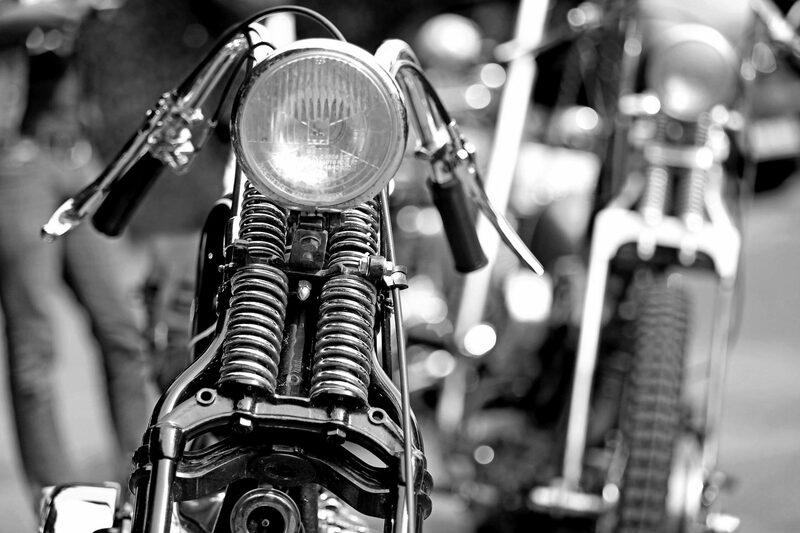 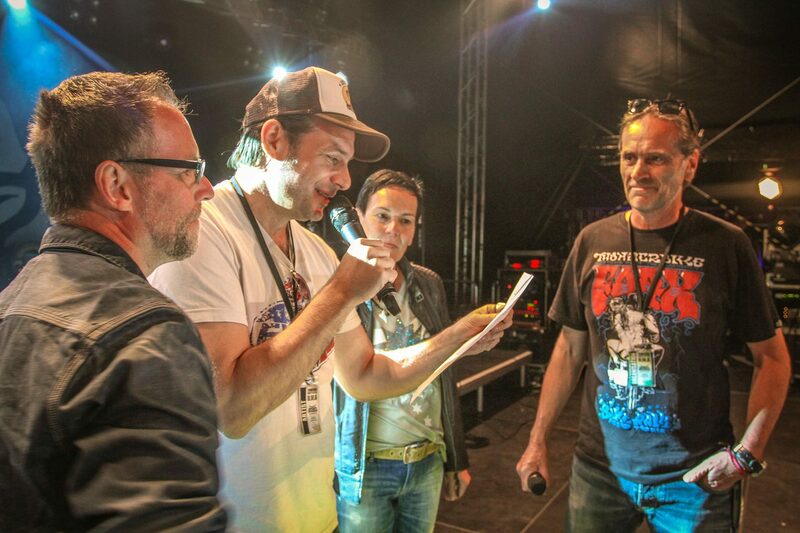 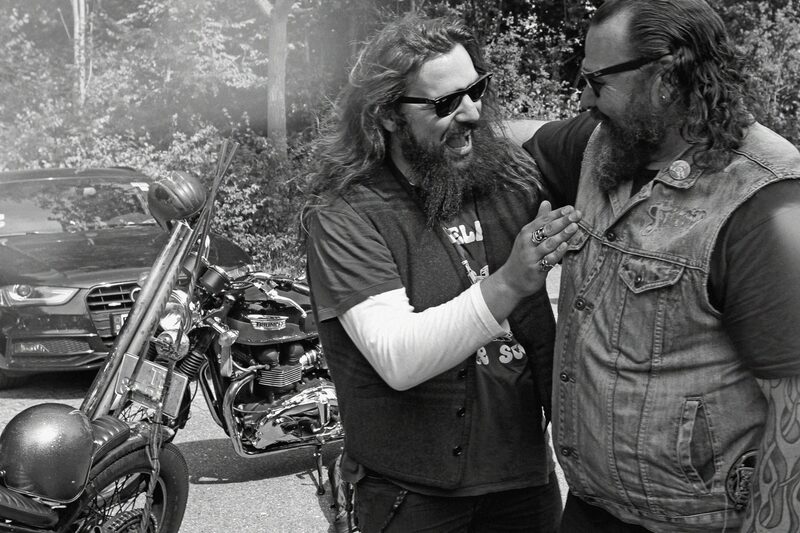 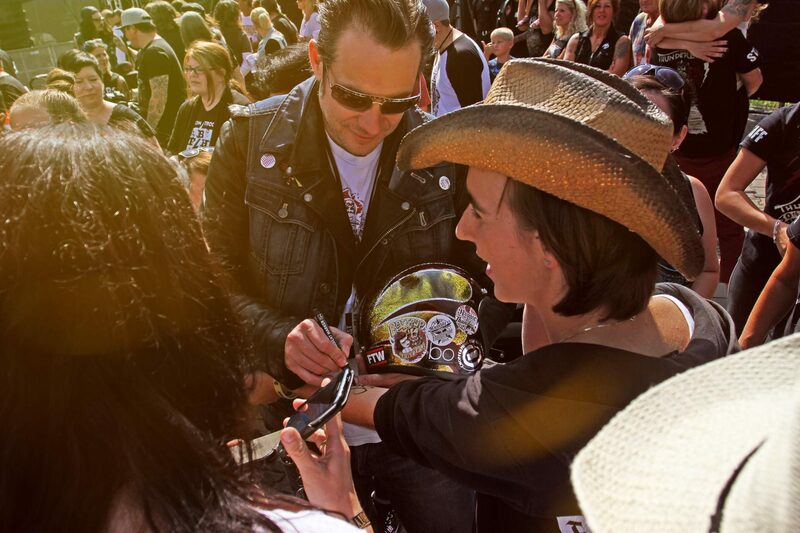 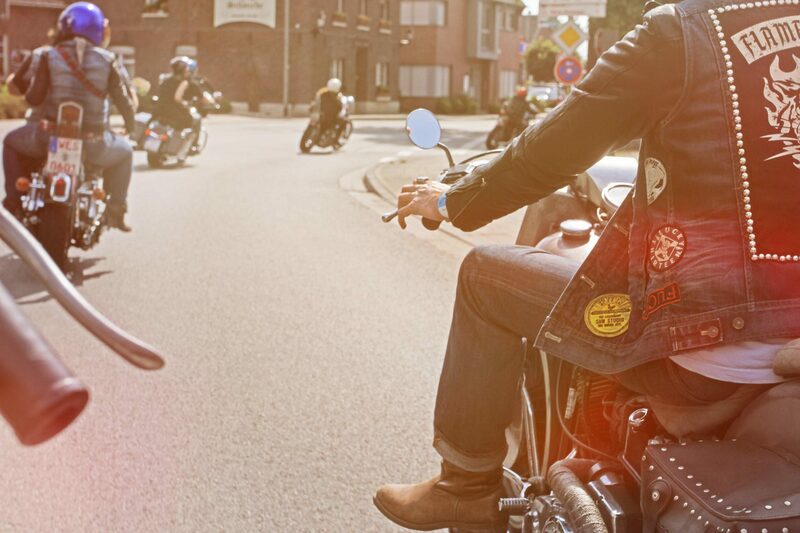 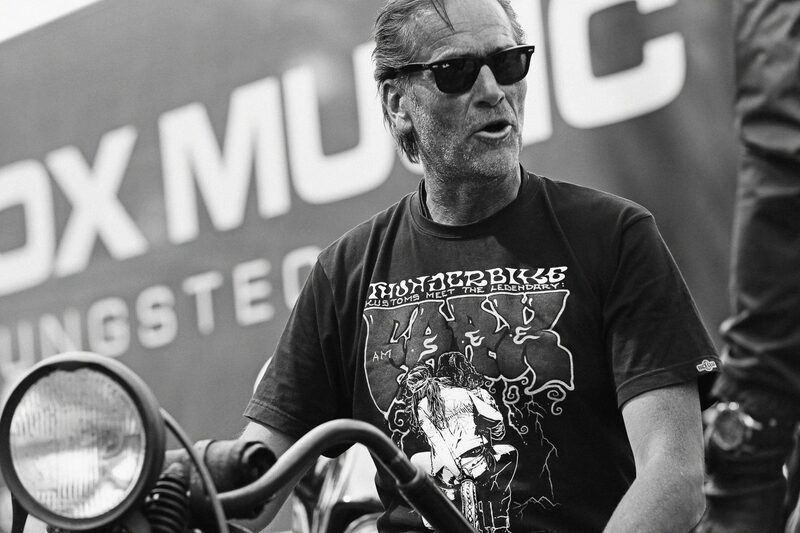 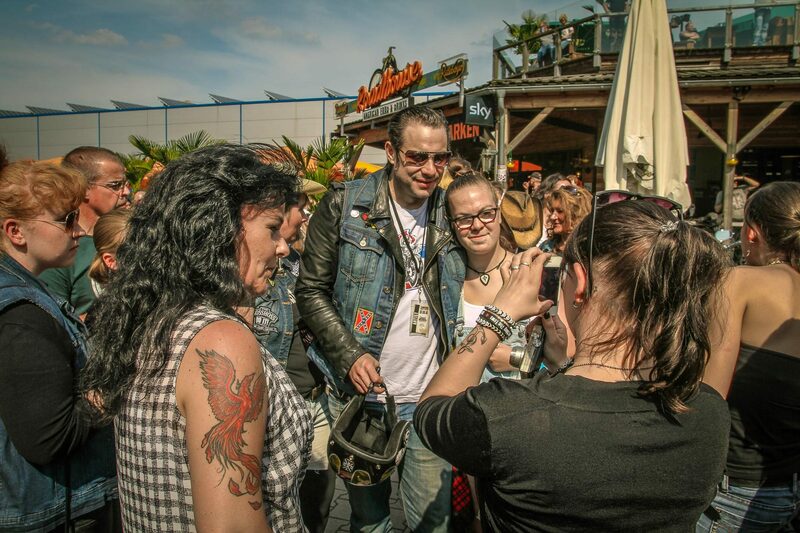 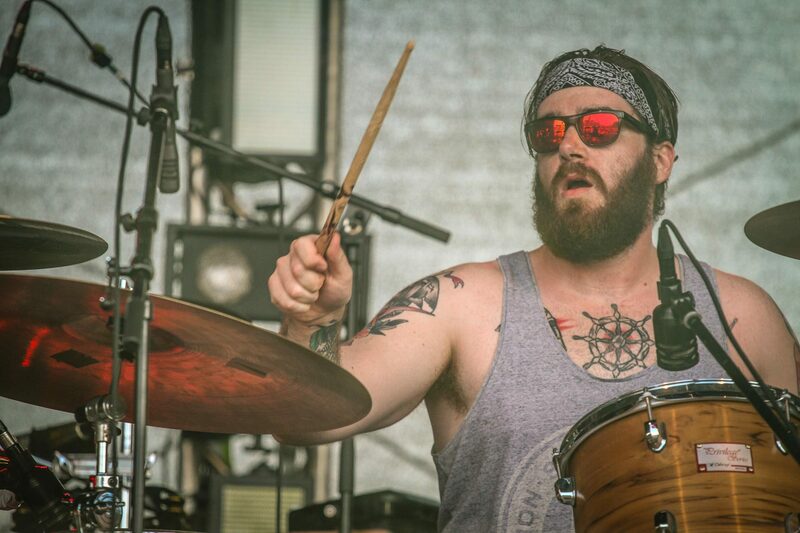 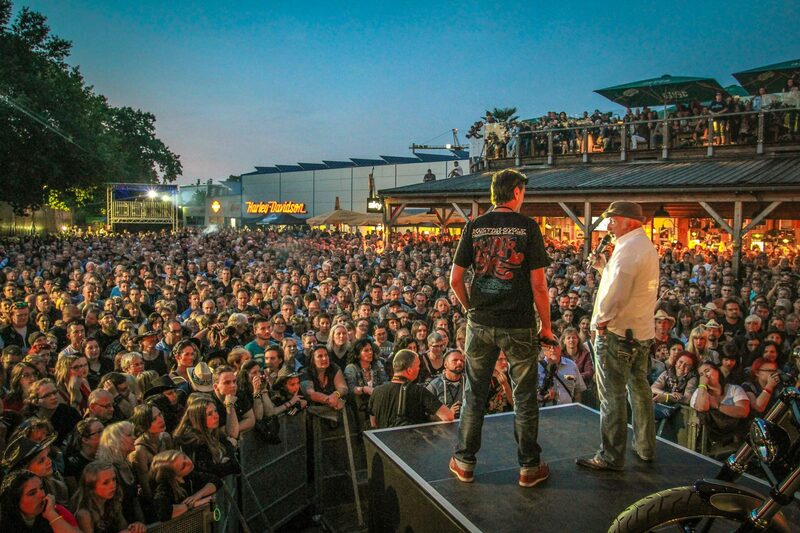 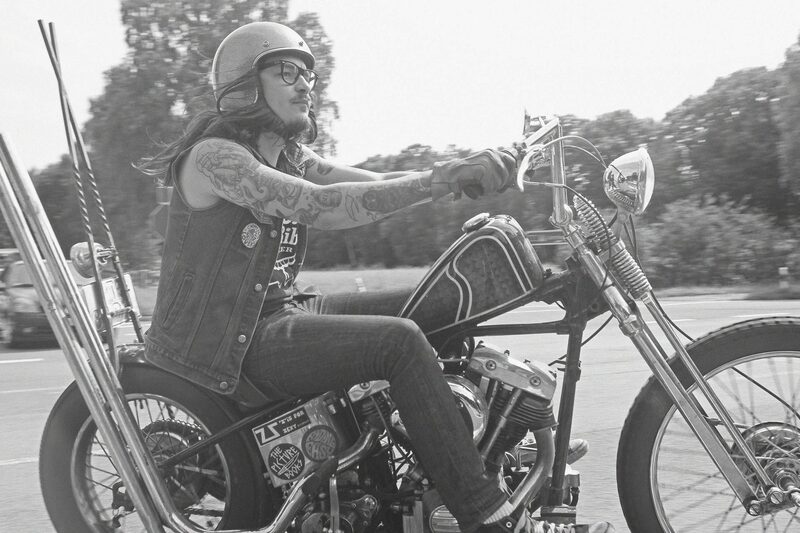 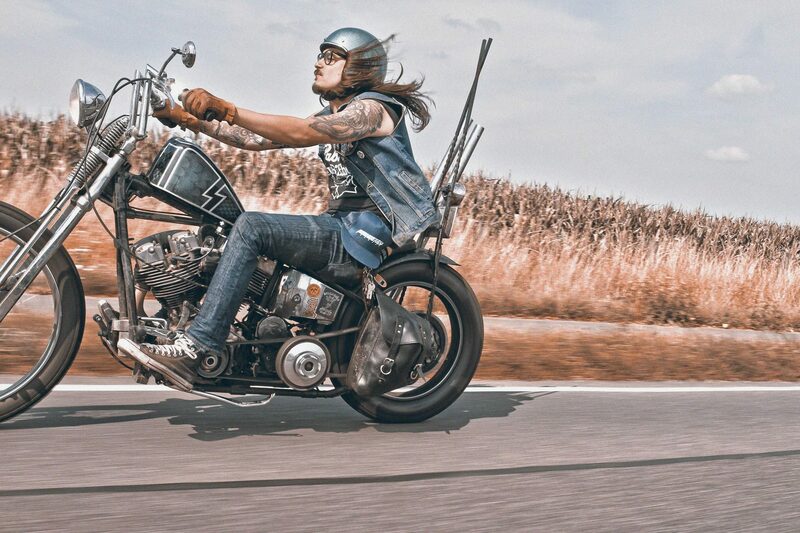 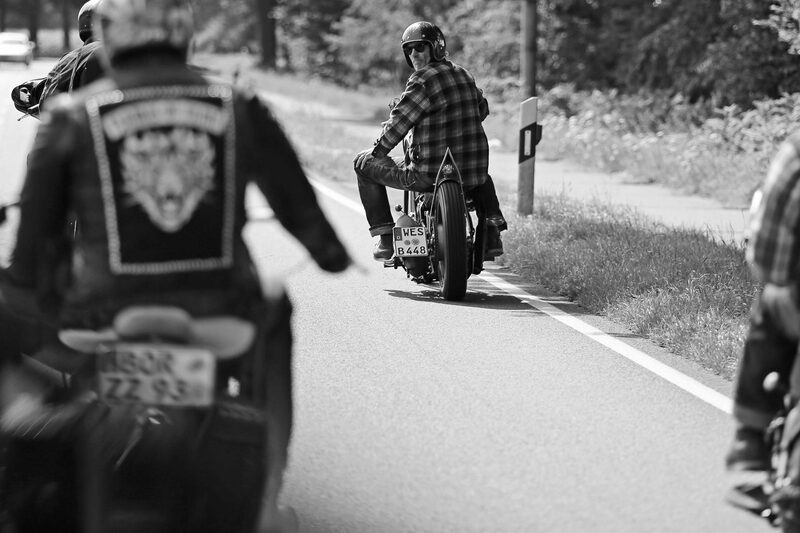 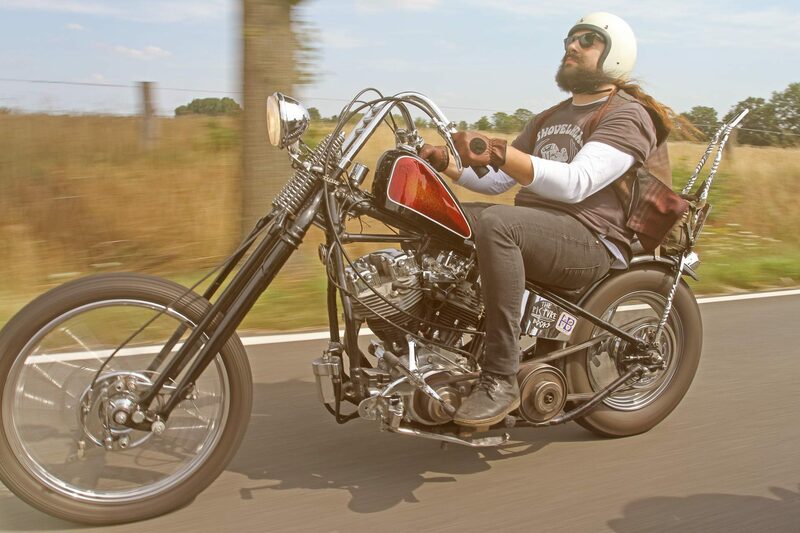 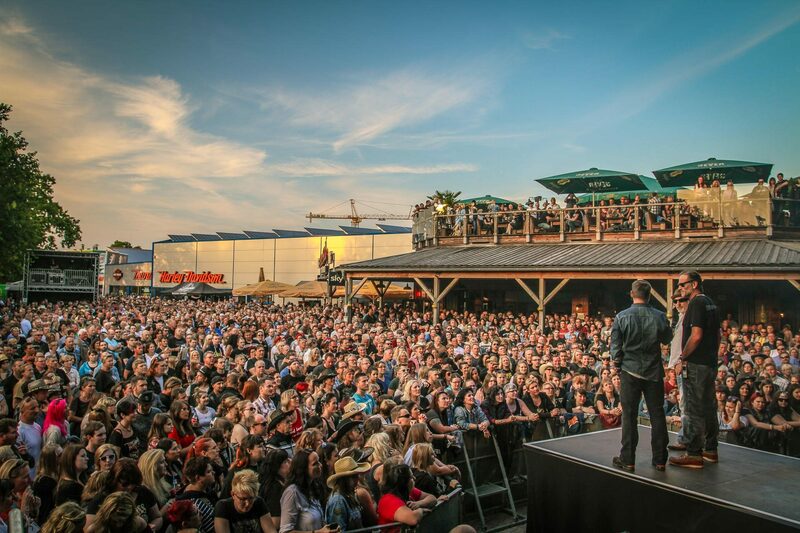 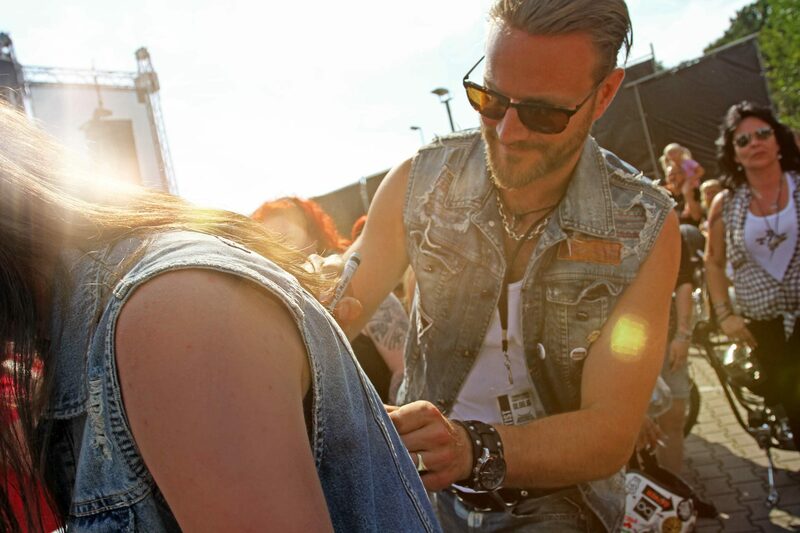 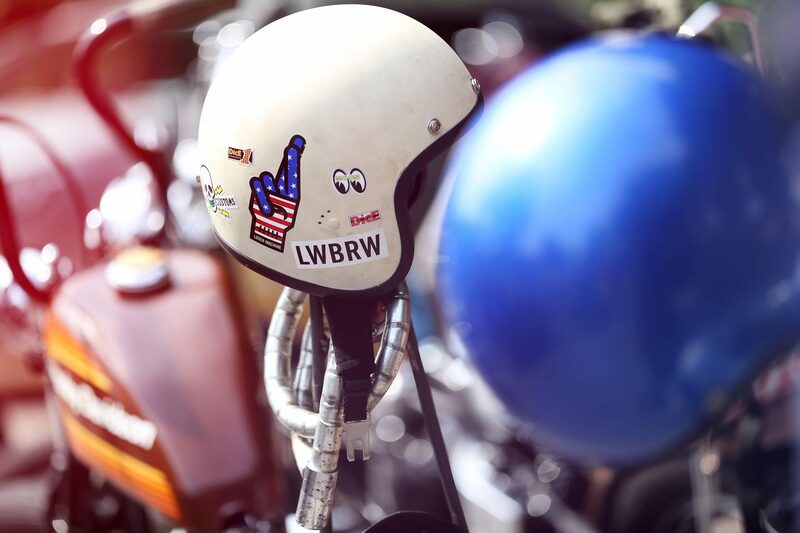 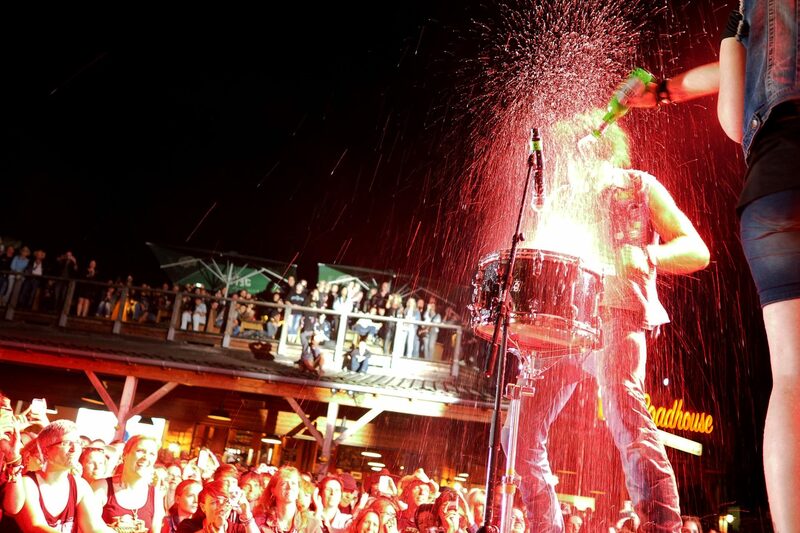 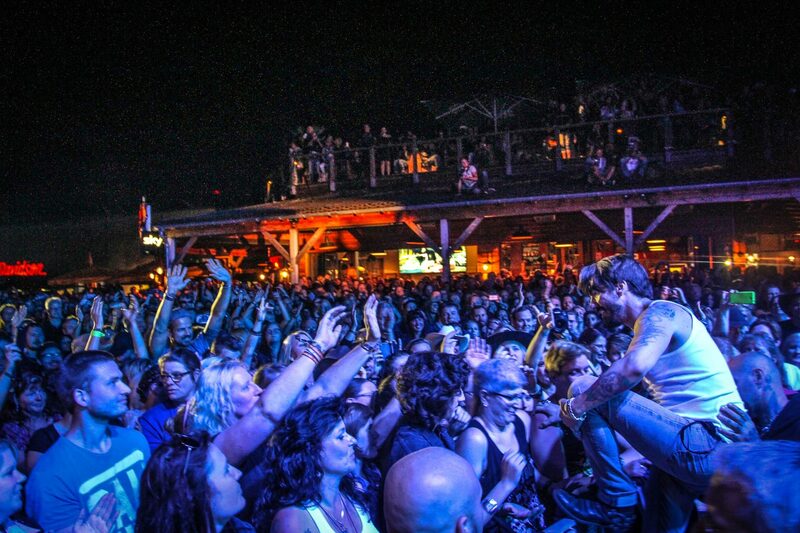 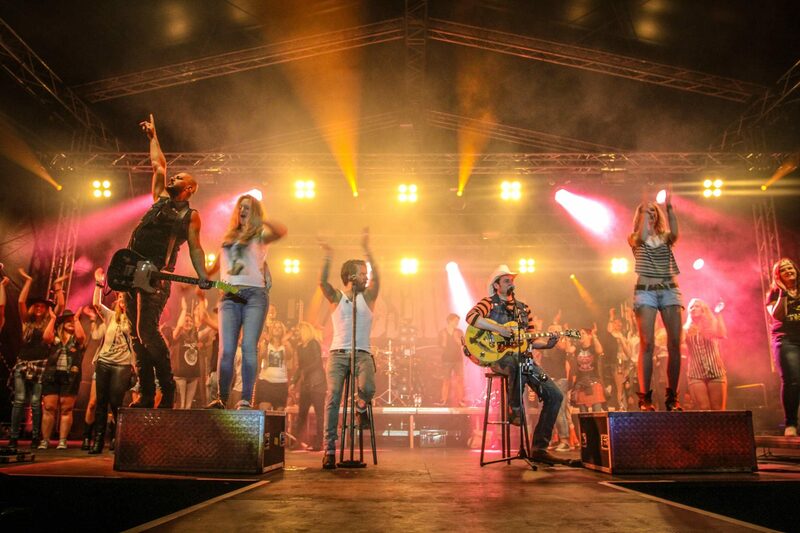 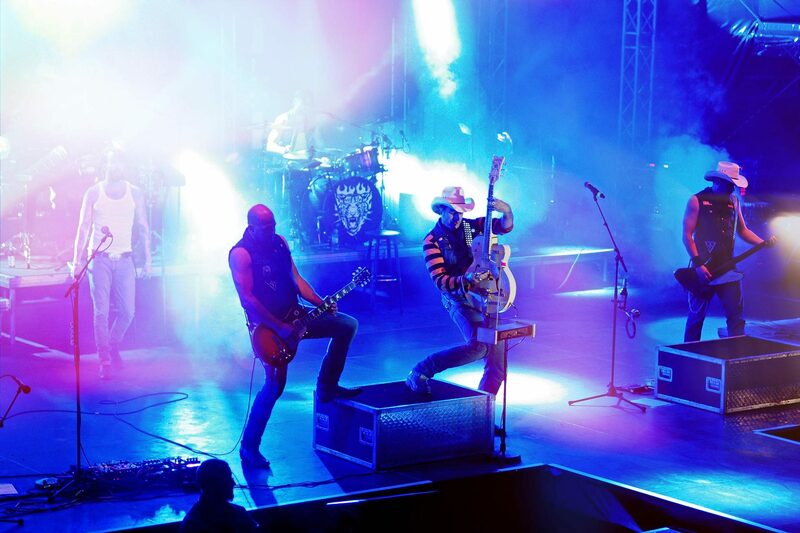 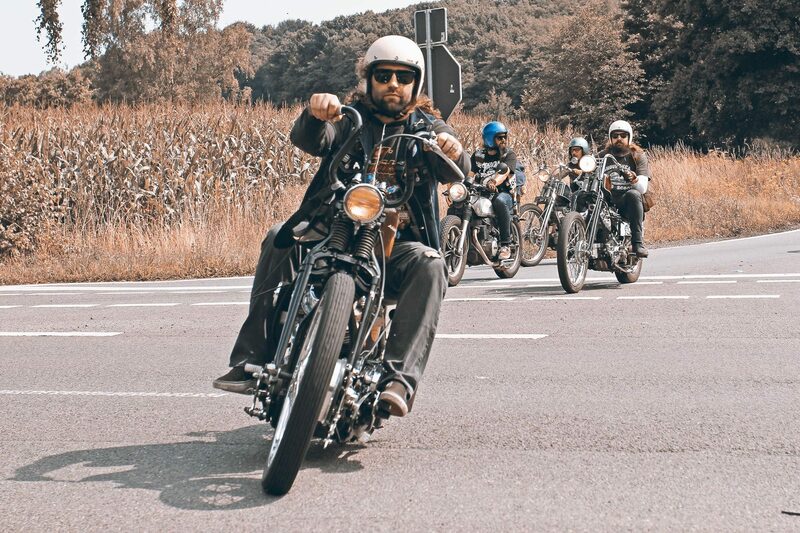 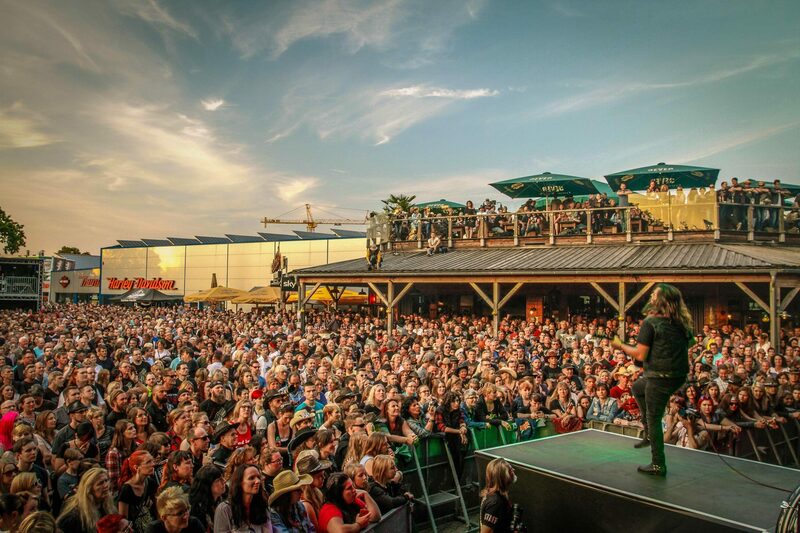 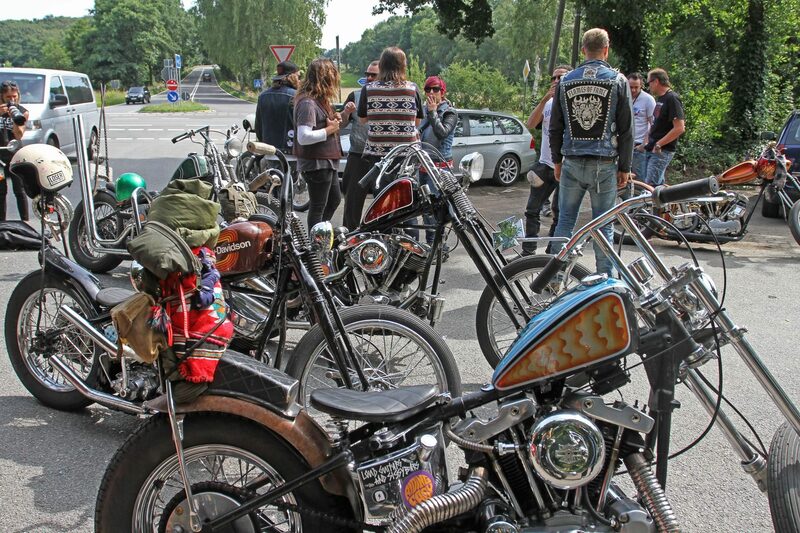 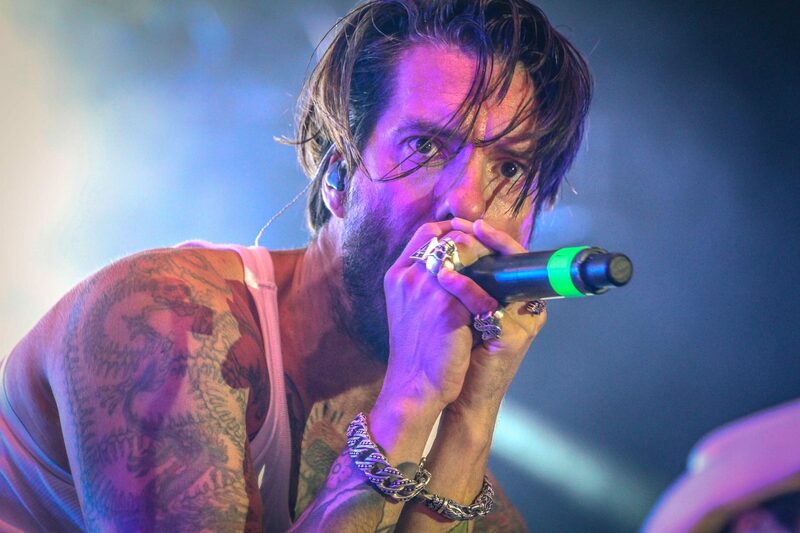 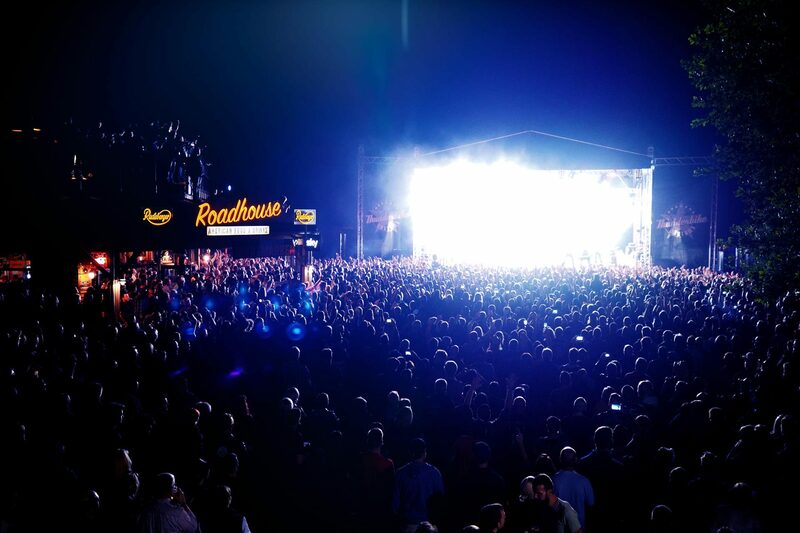 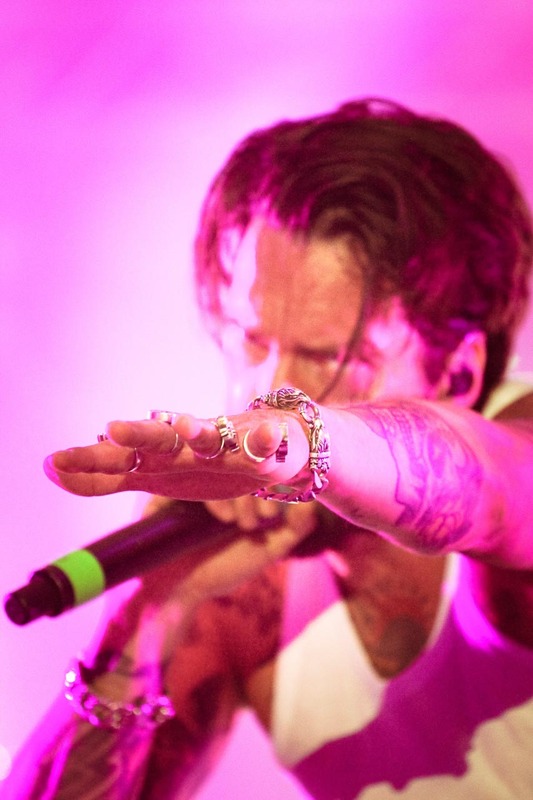 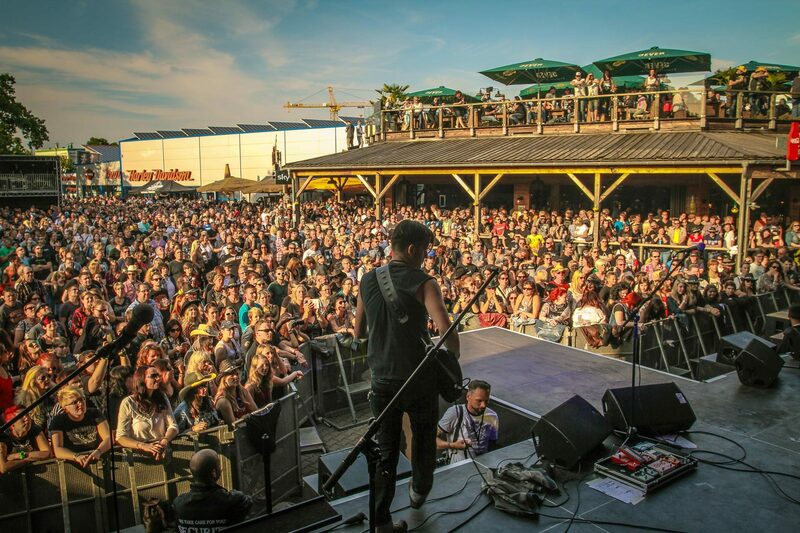 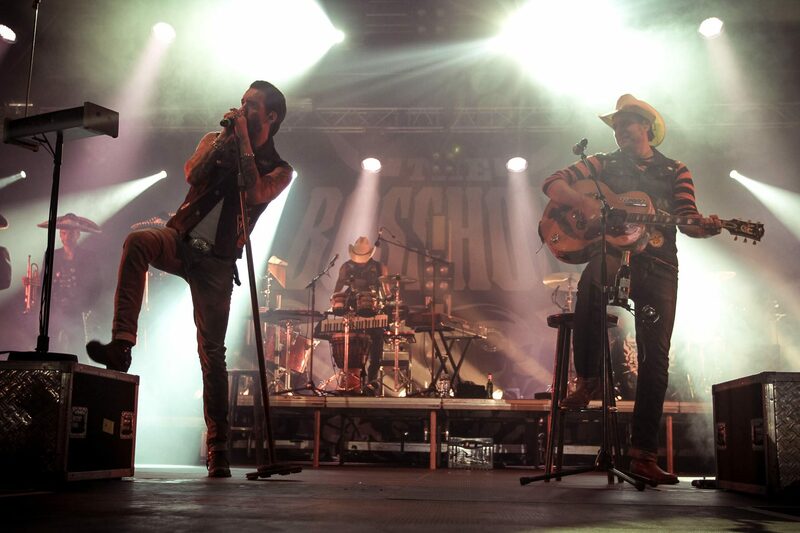 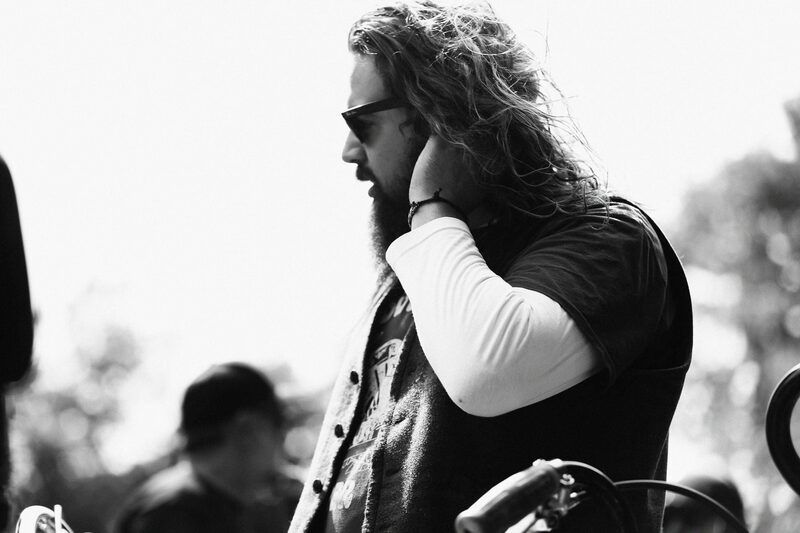 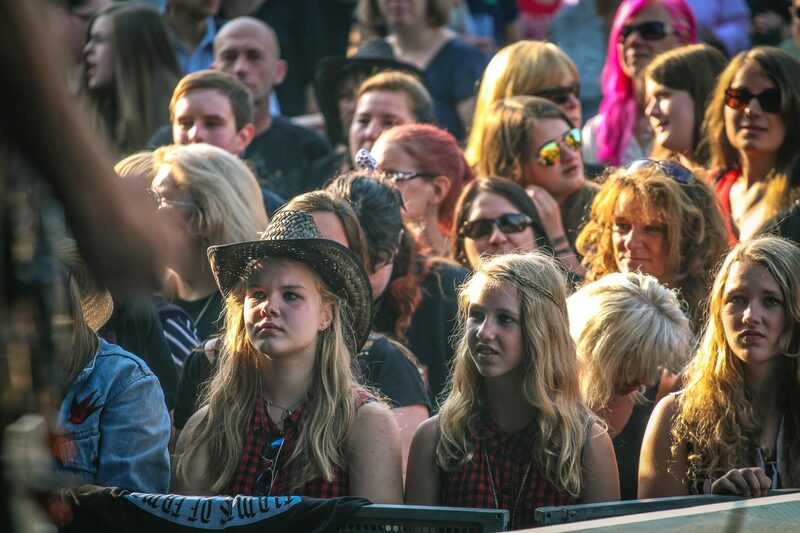 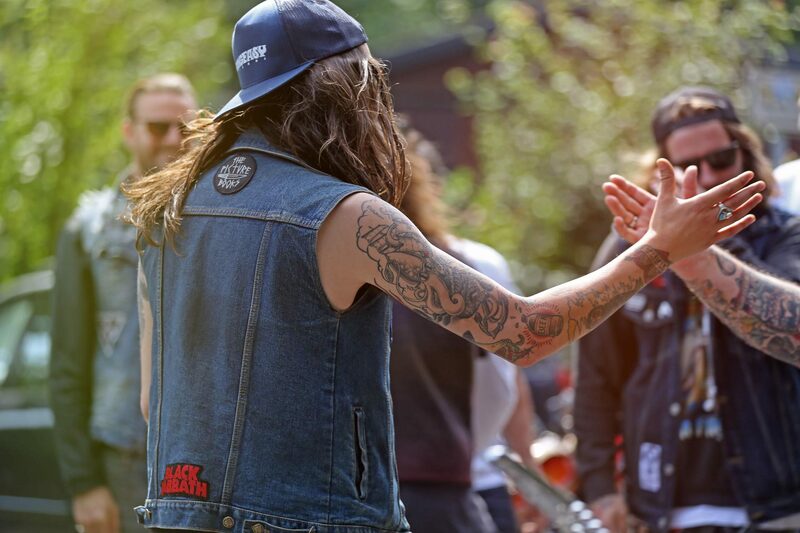 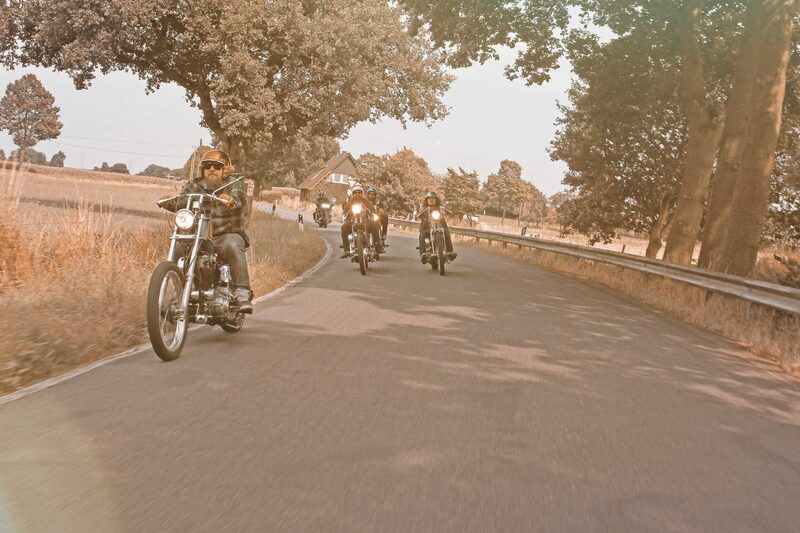 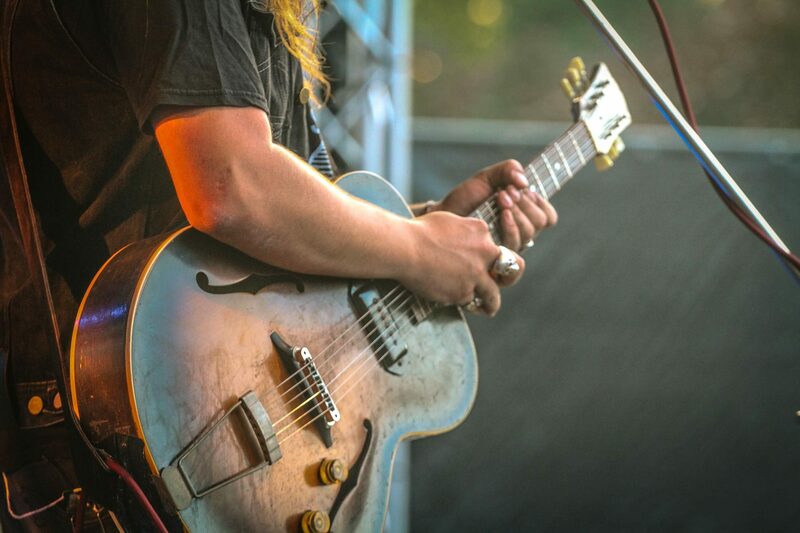 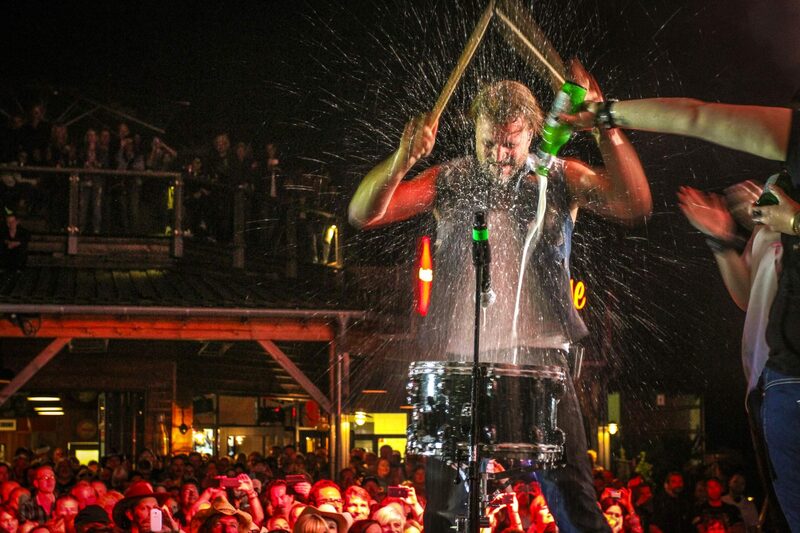 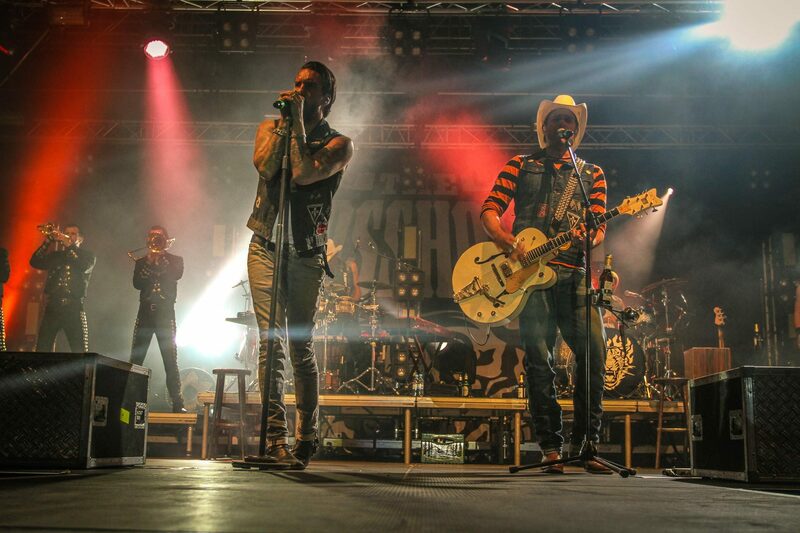 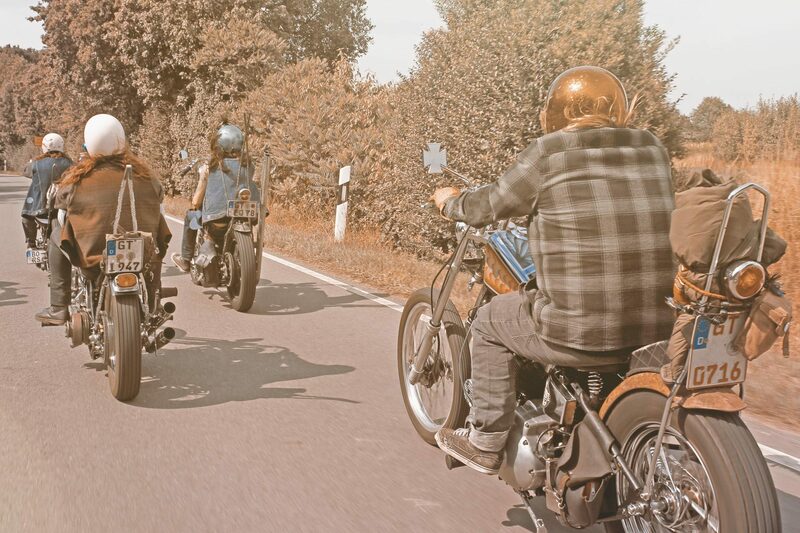 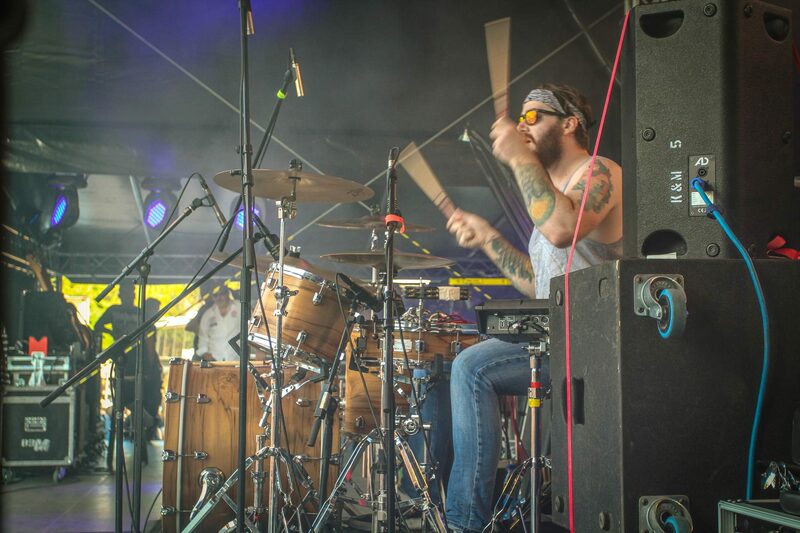 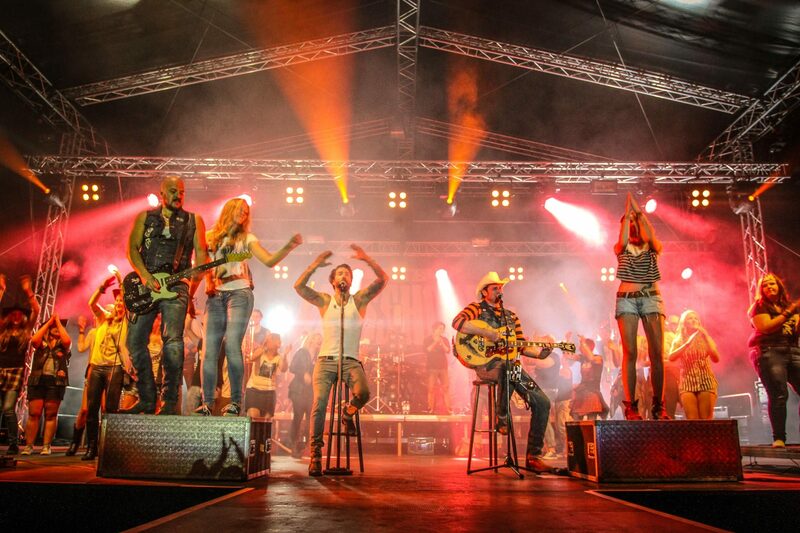 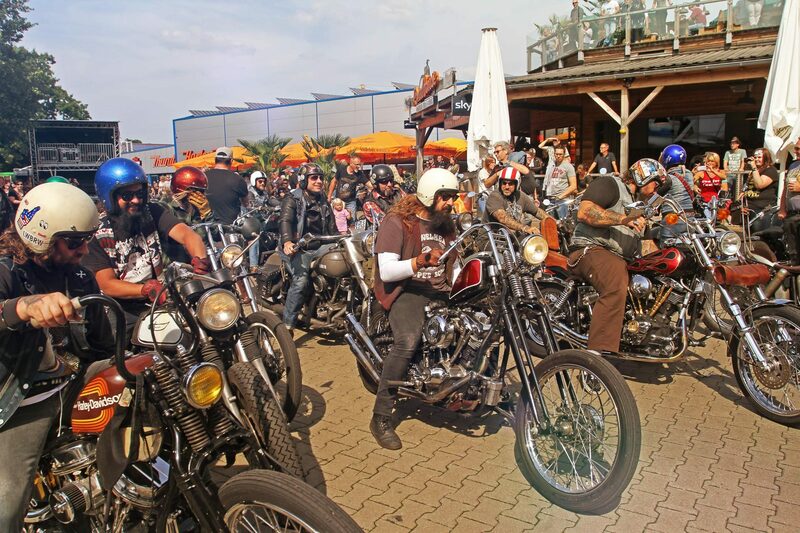 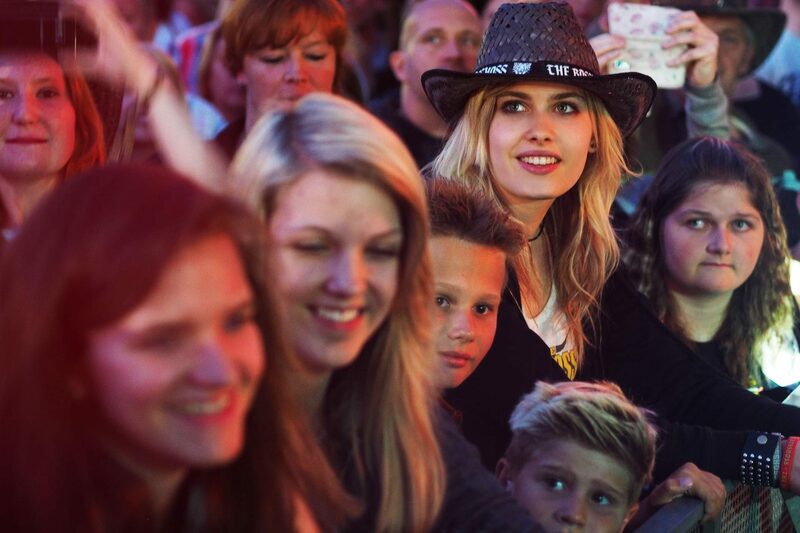 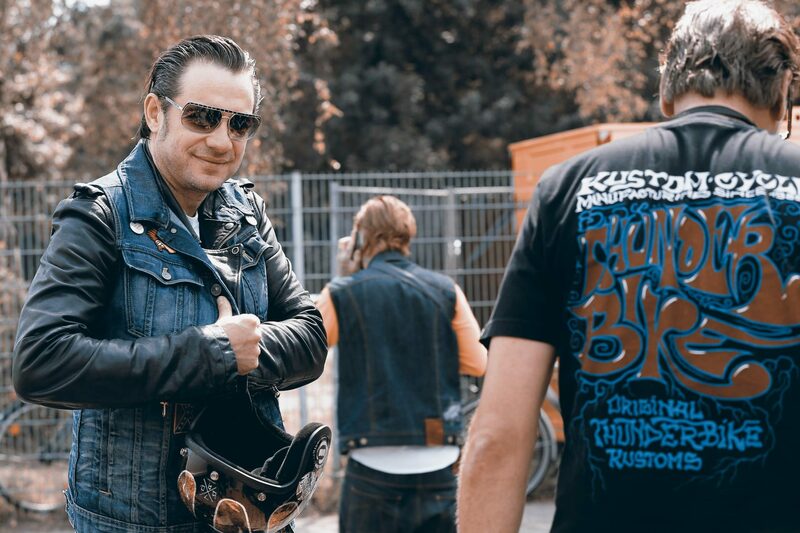 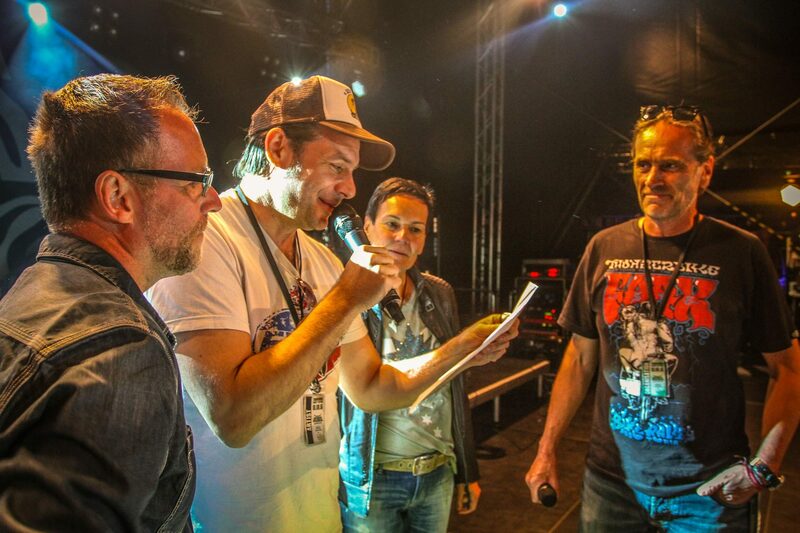 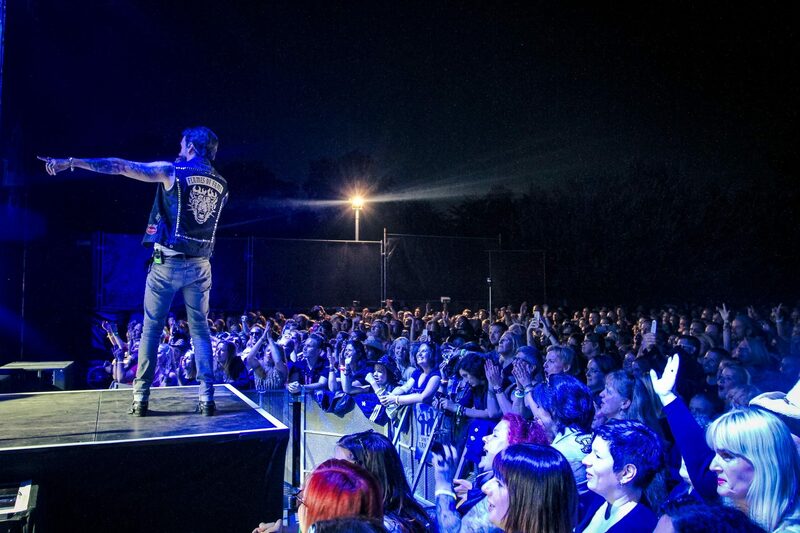 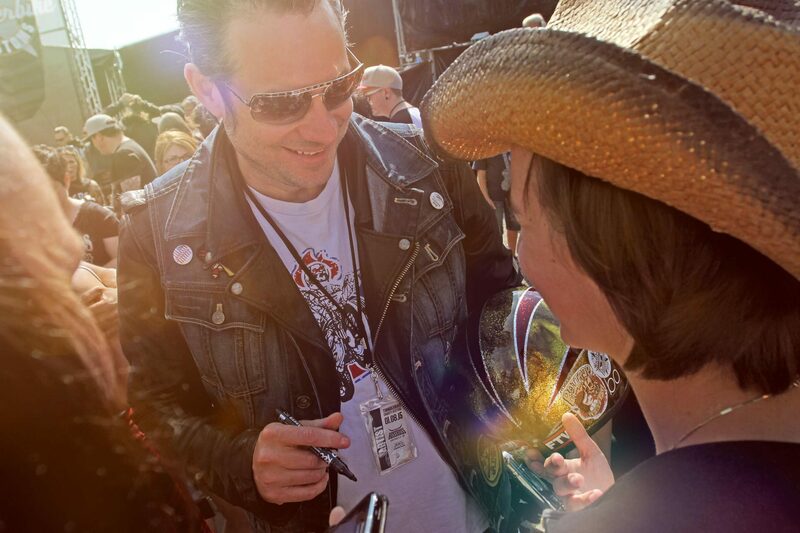 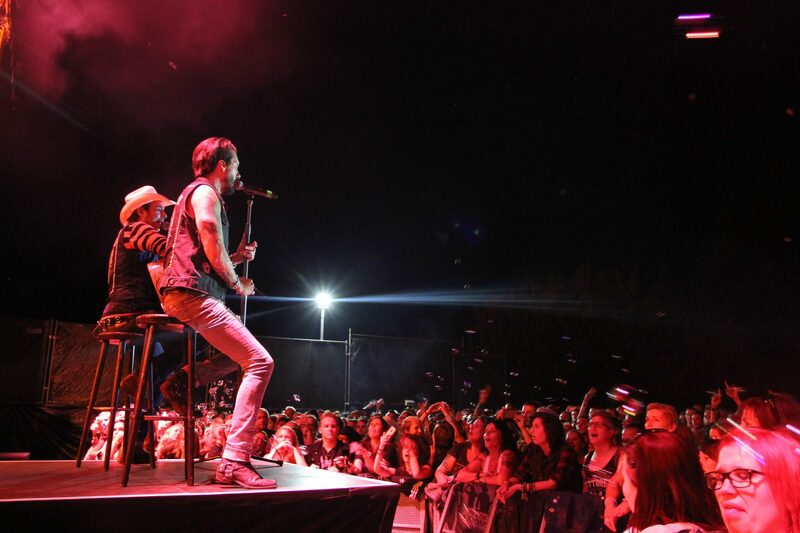 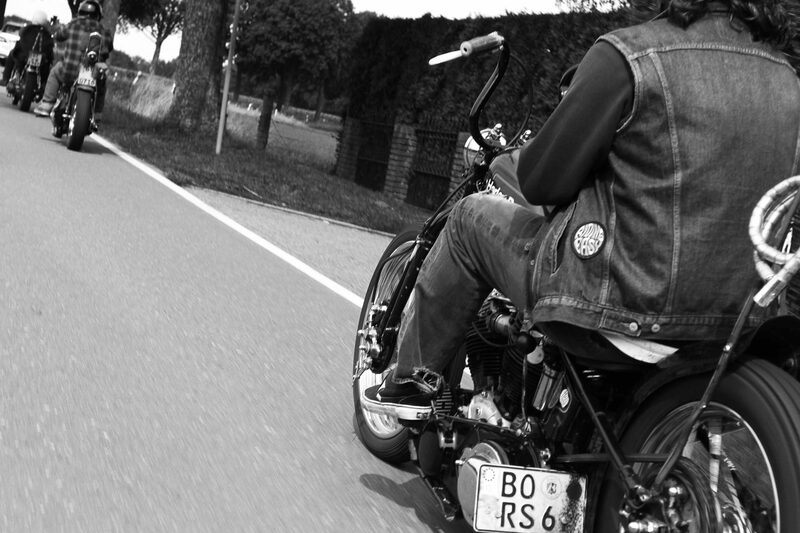 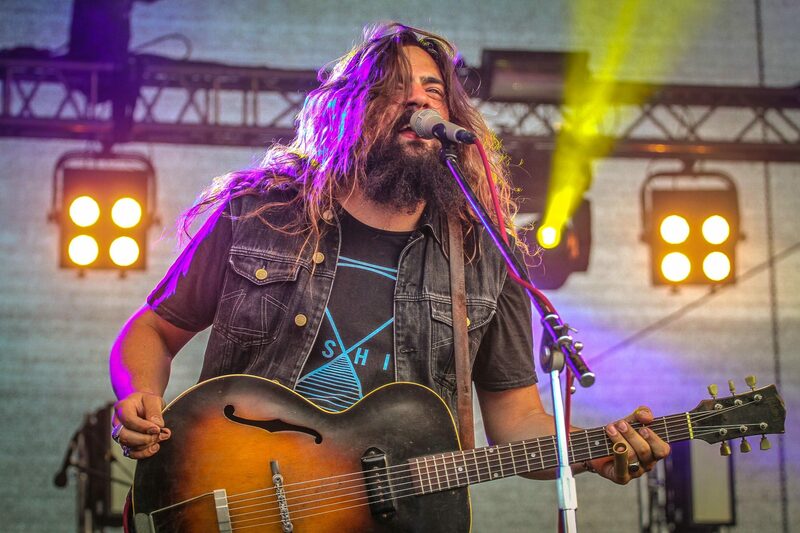 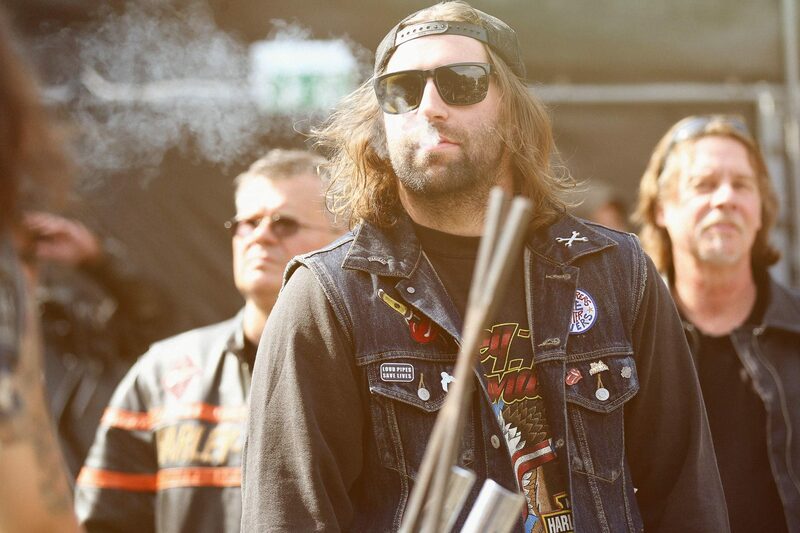 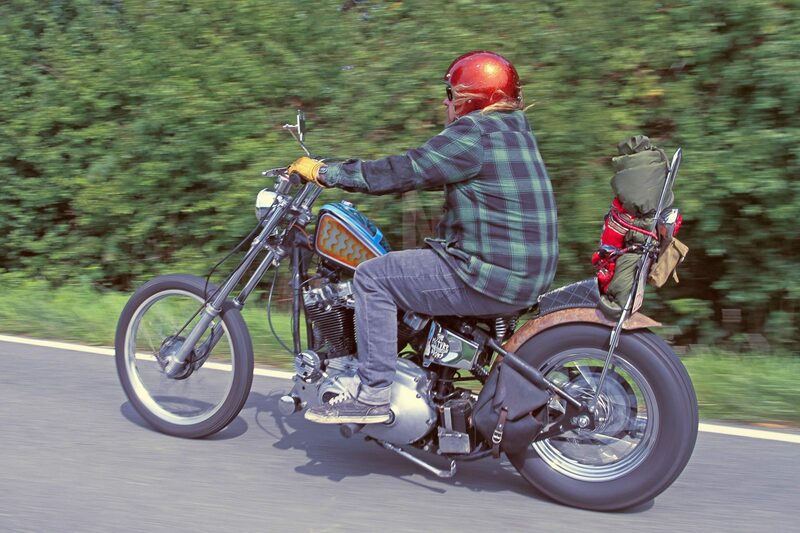 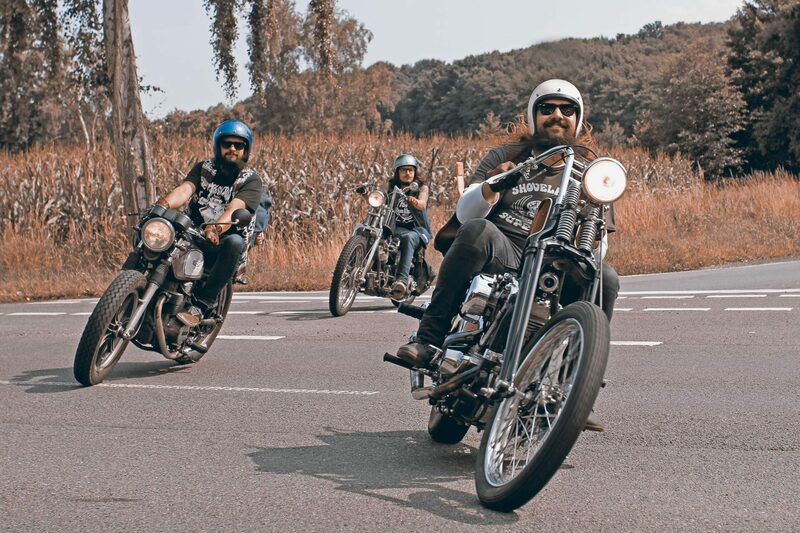 Bikers from all over Germany and musicians from “The BossHoss” provide many winners. 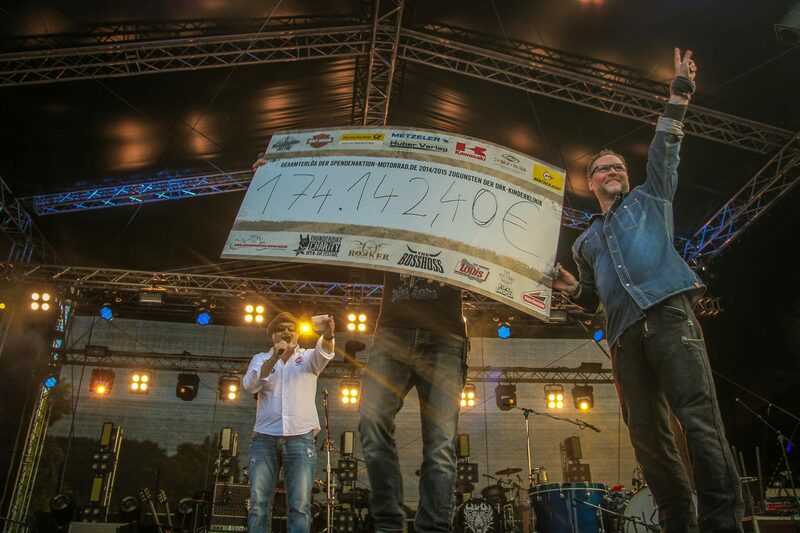 The second round of www.spendenaktion-motorrad.de takes 122,968.40 euros for DRK Children’s Hospital Siegen. 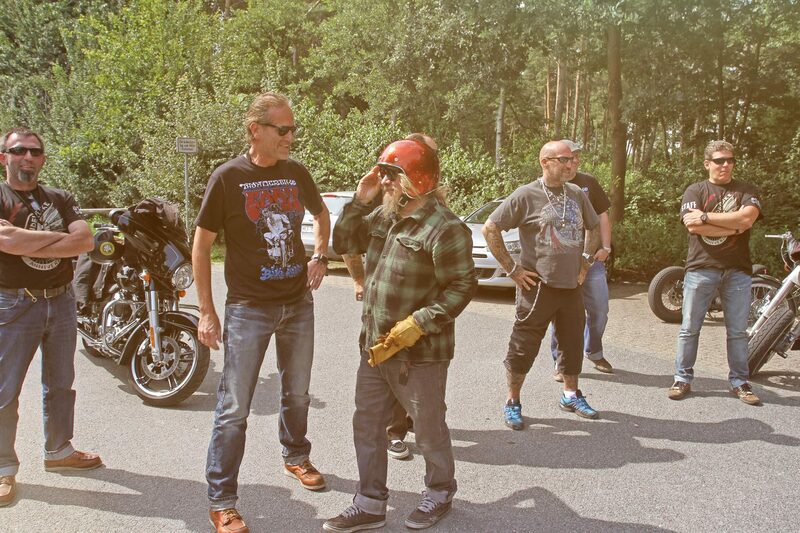 What began with a fixed idea of ​​some committed motorcyclists in 2013, has now become one of the most successful activities of bikers for children: Arnd Dickel of the DRK Children’s Hospital Siegen together with Andreas Bergerforth of Thunderbike from Hamminkeln support one of the last independent specialist clinics for pediatric and adolescent medicine in Germany. 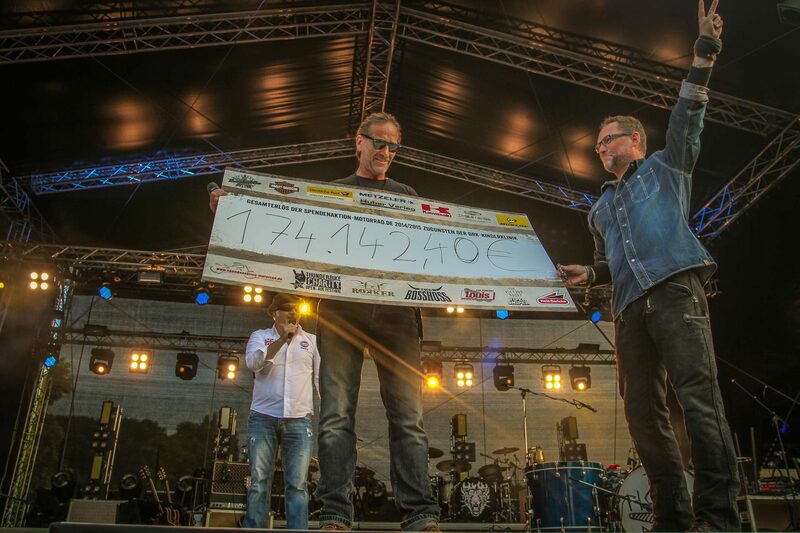 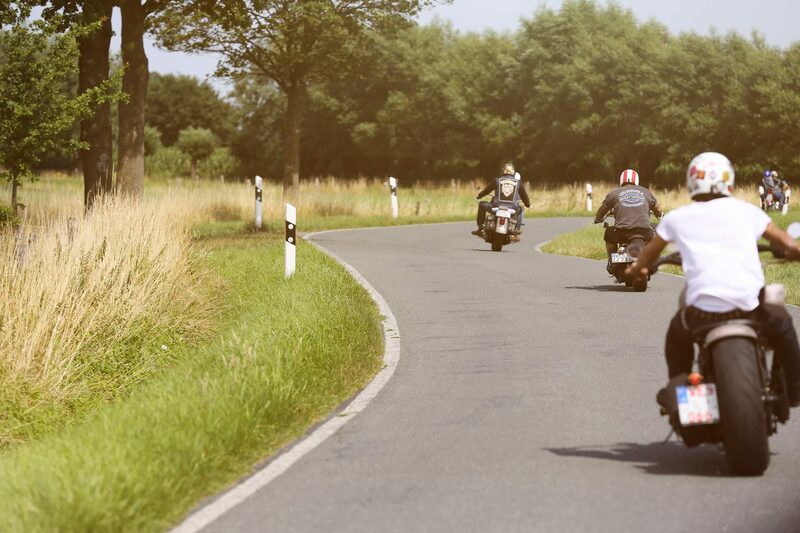 In the round of 2014-2015, bikers from all over Germany, but also from other European countries, donated € 70,468.40. 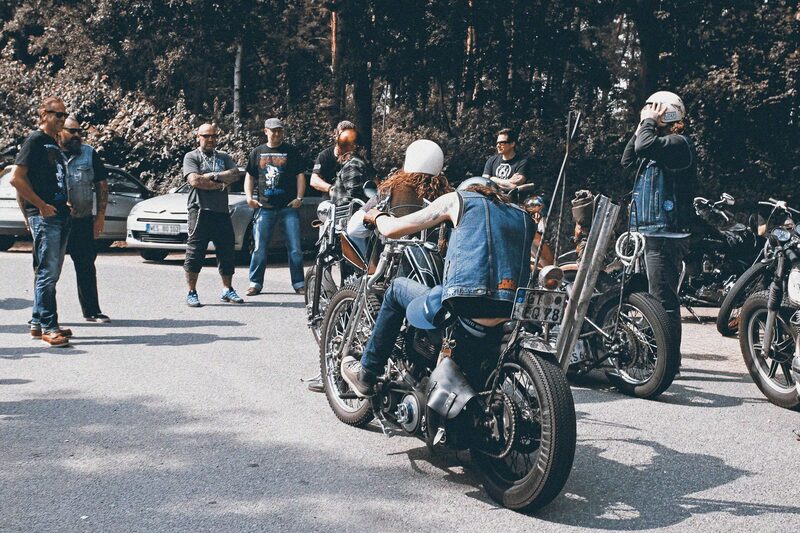 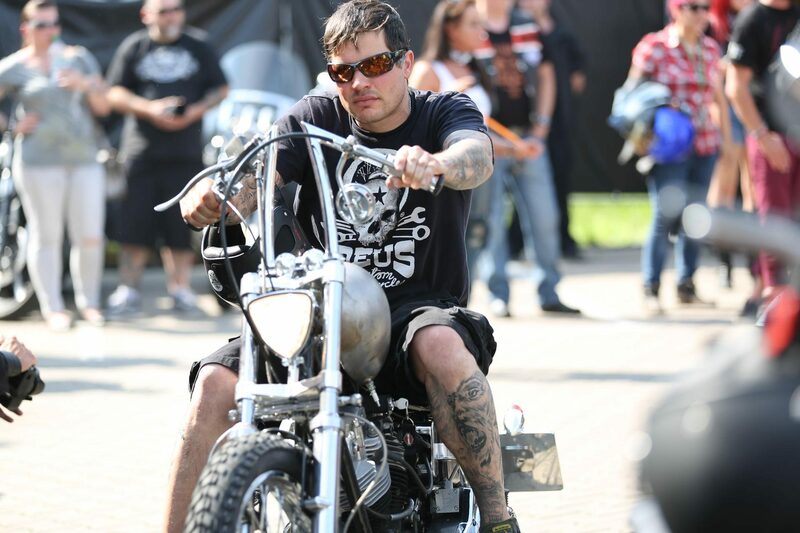 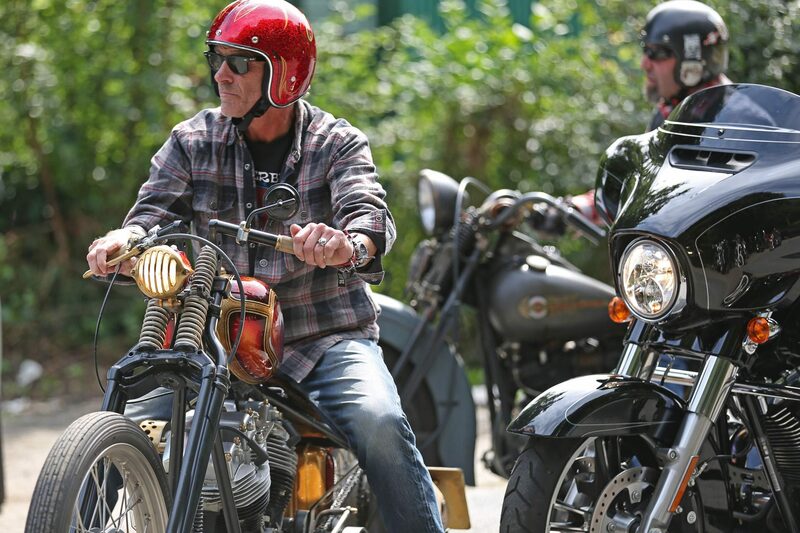 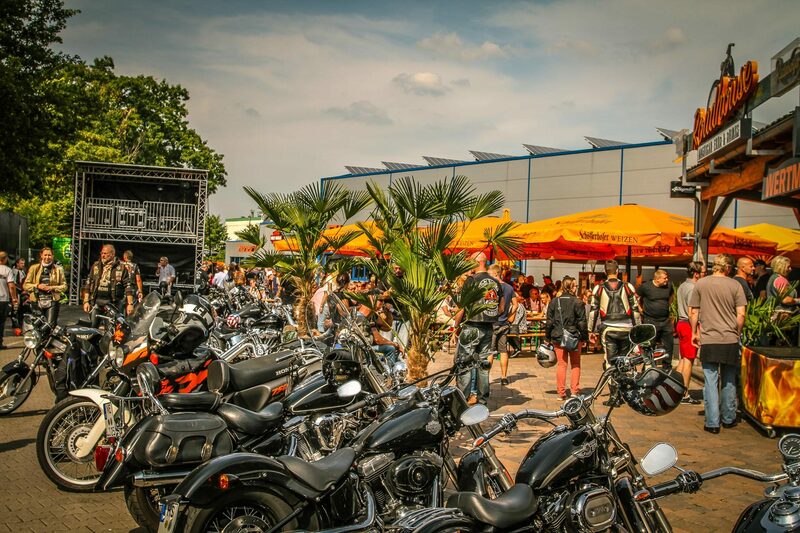 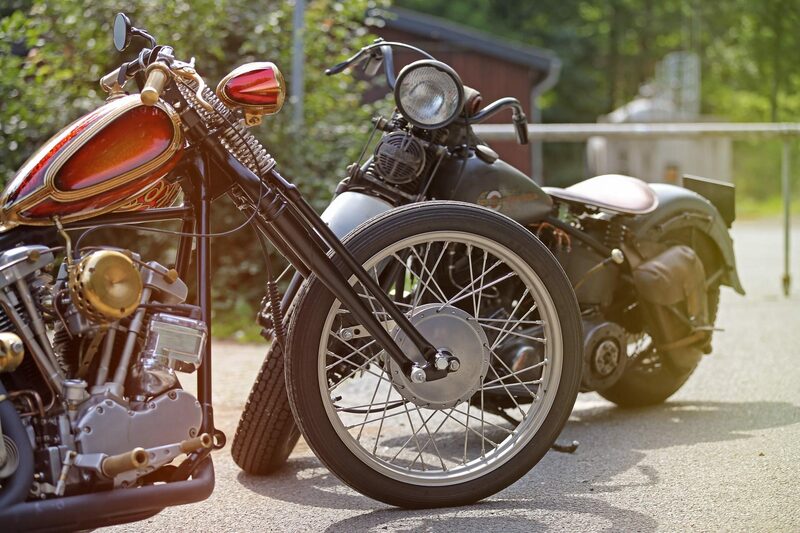 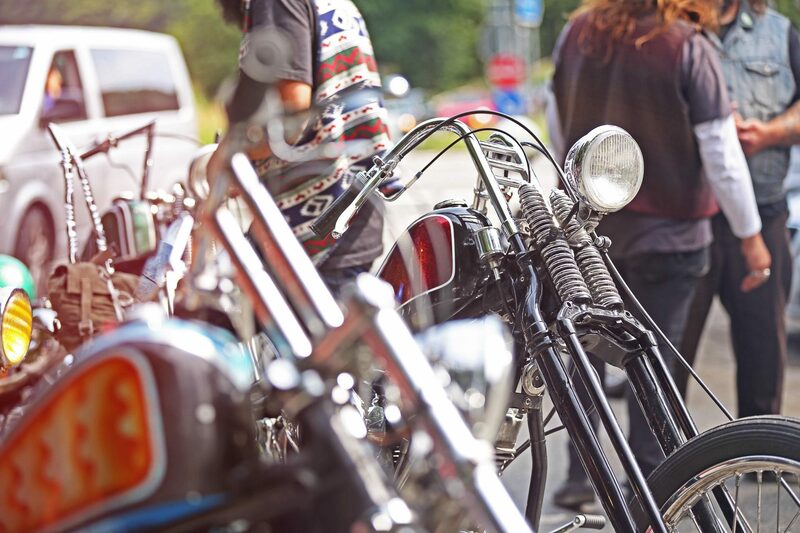 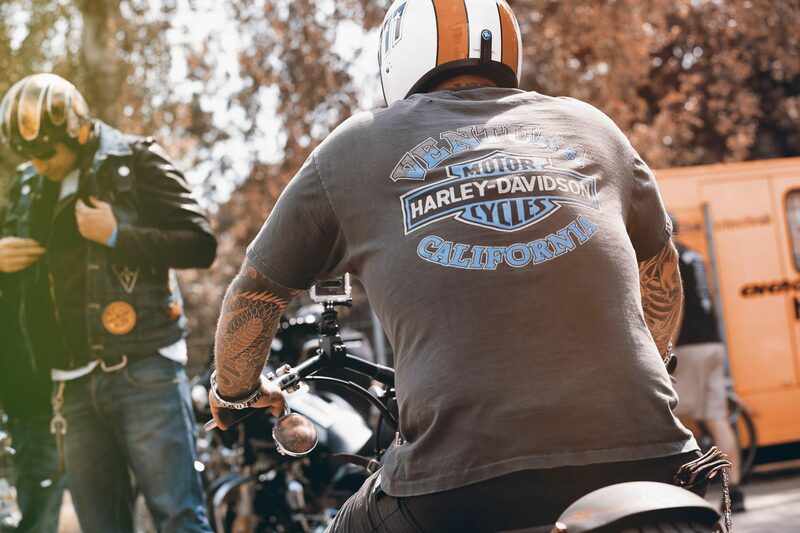 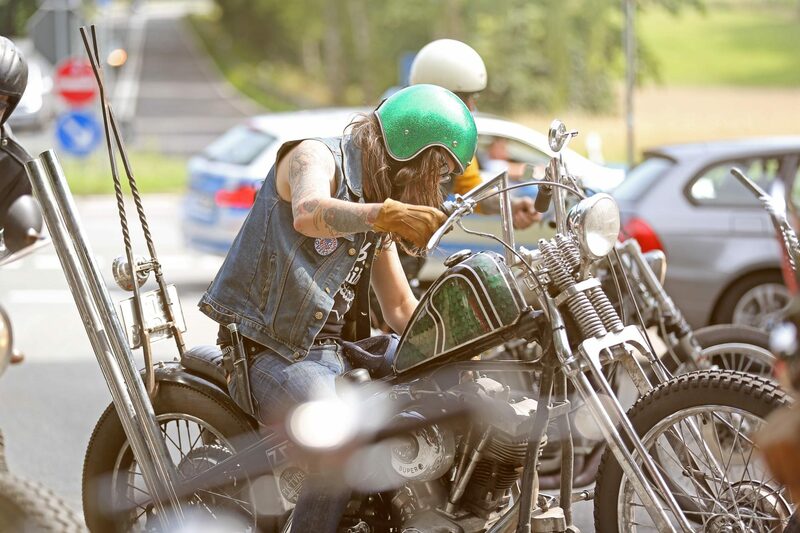 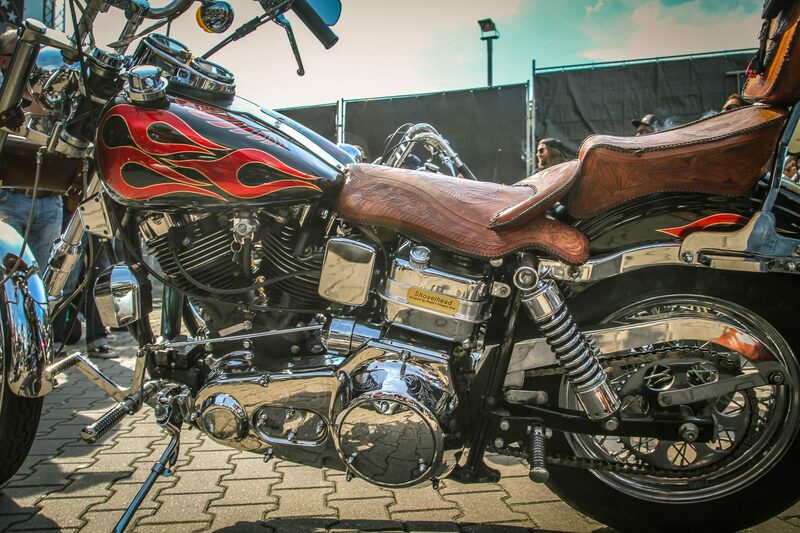 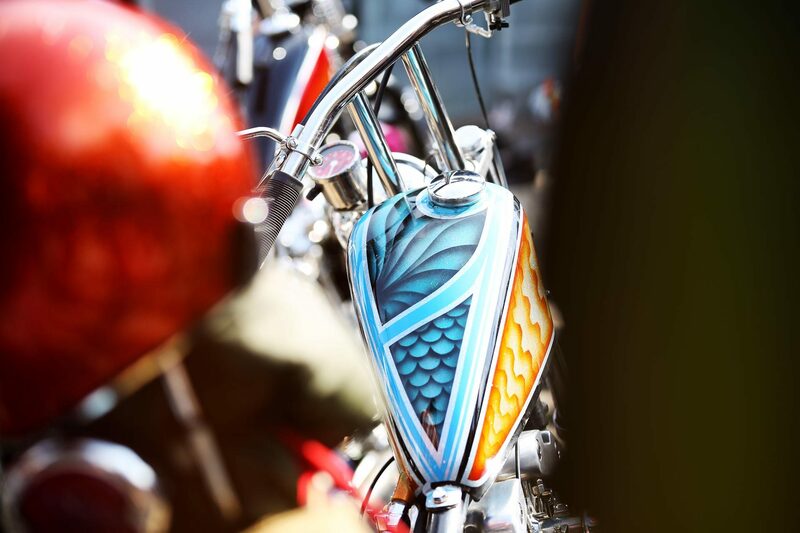 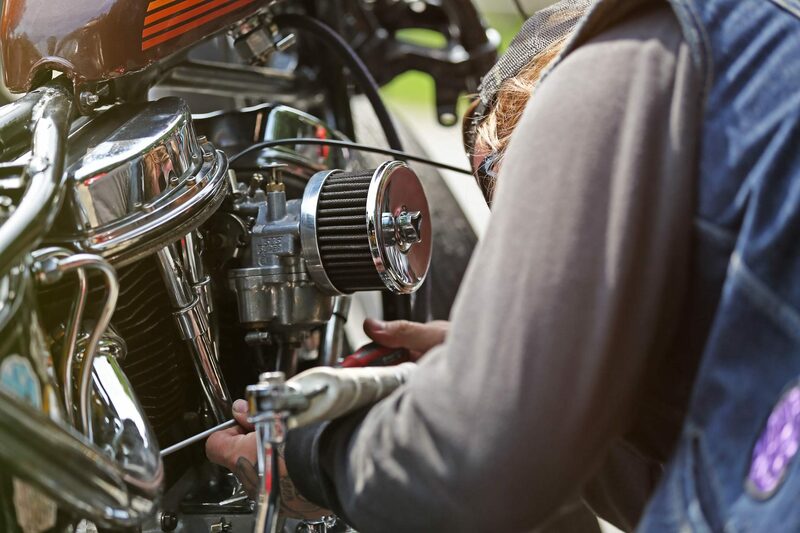 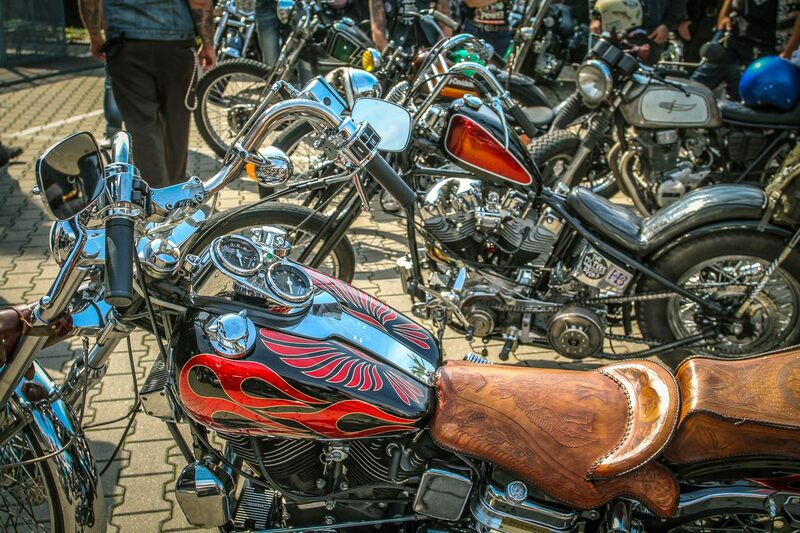 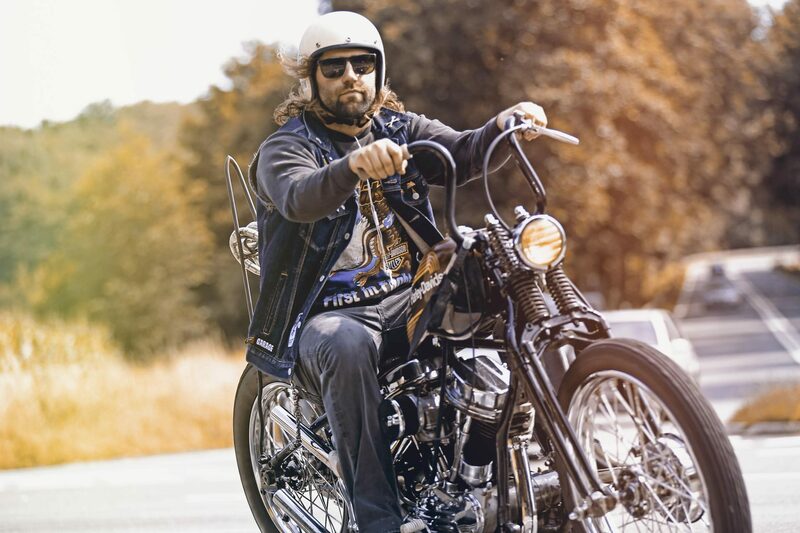 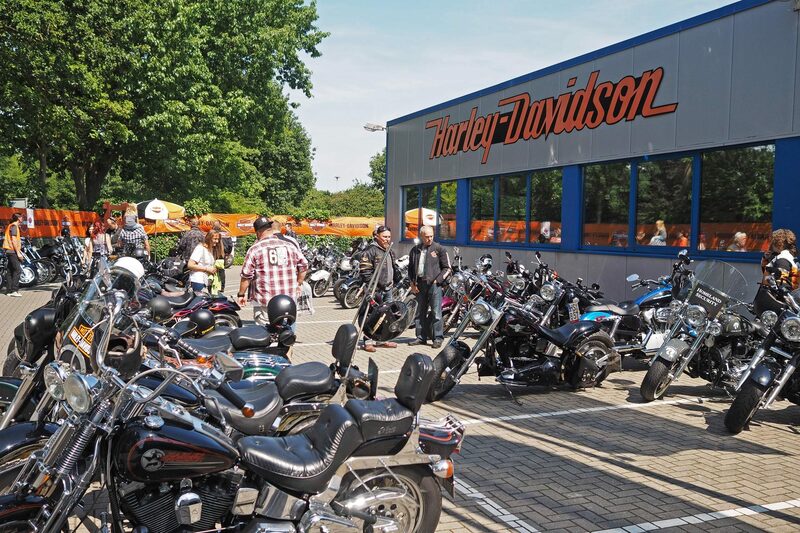 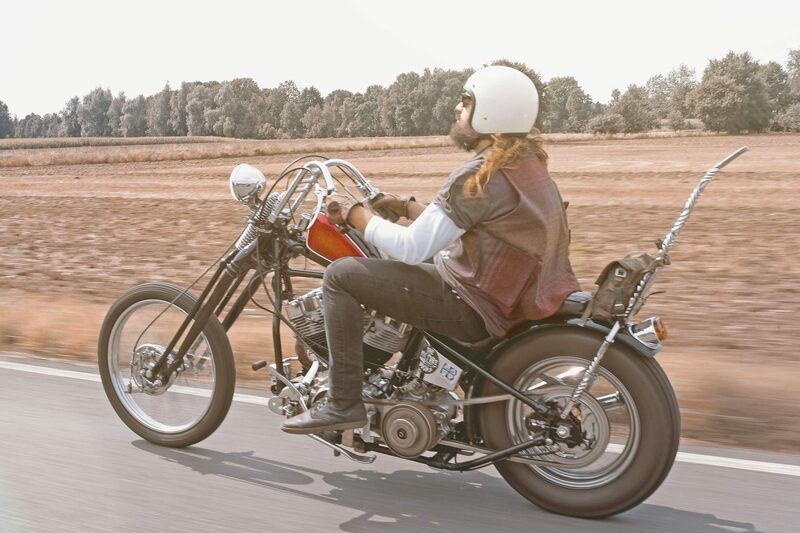 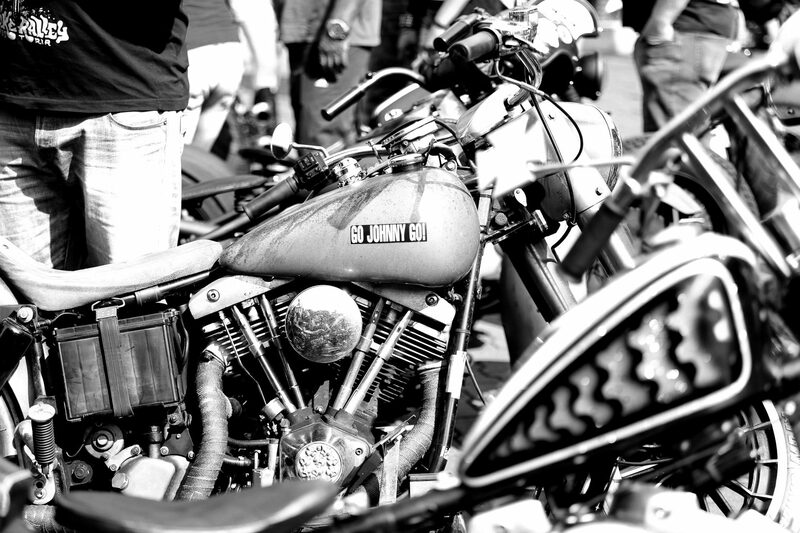 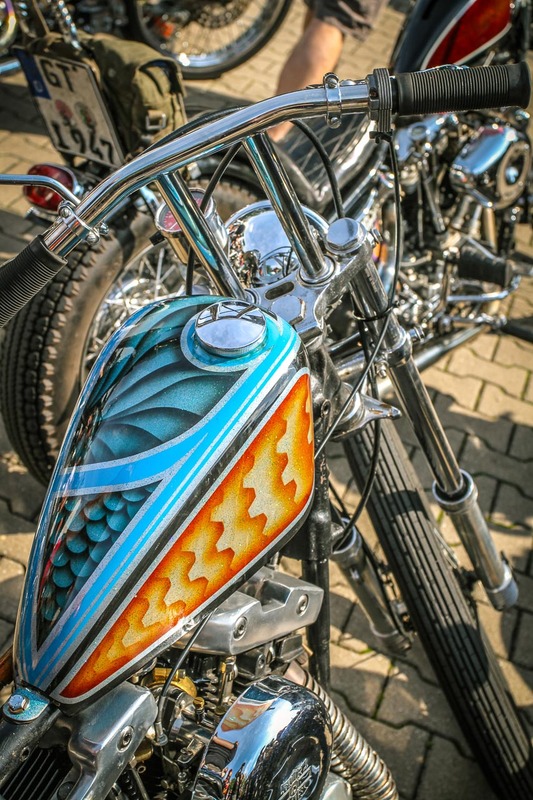 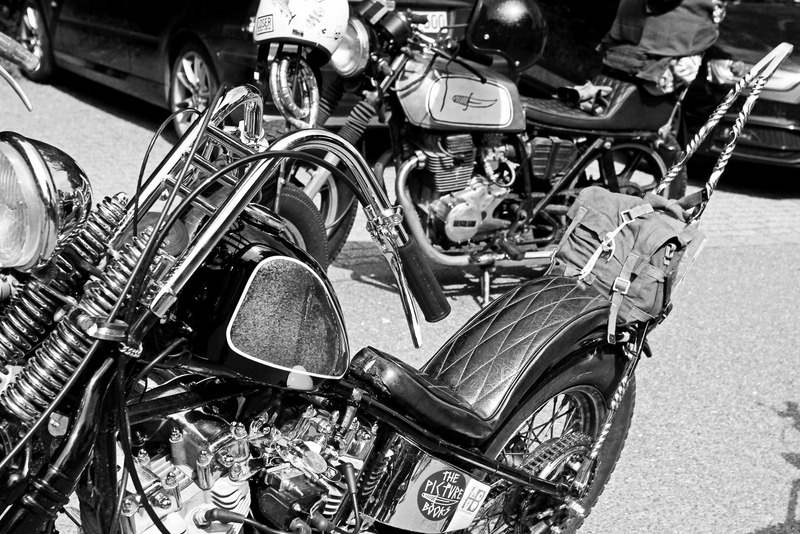 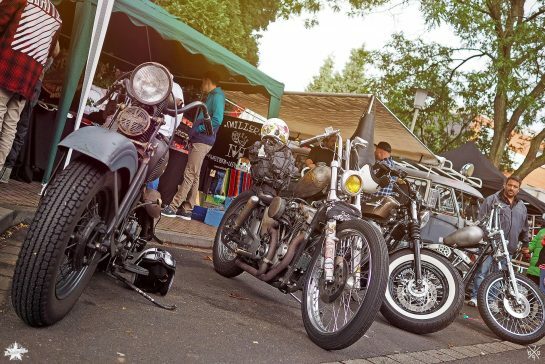 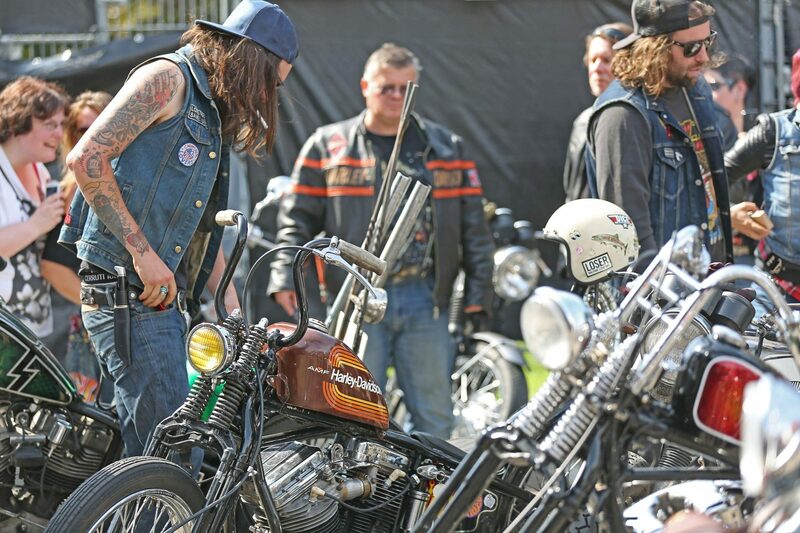 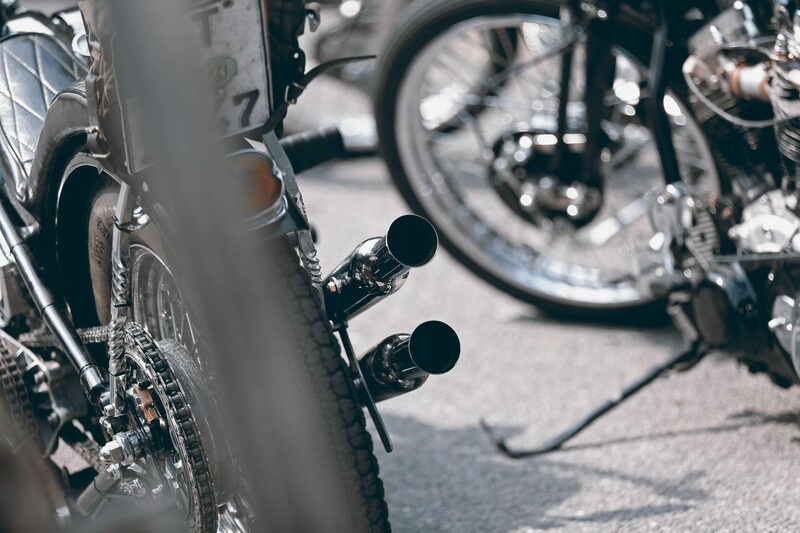 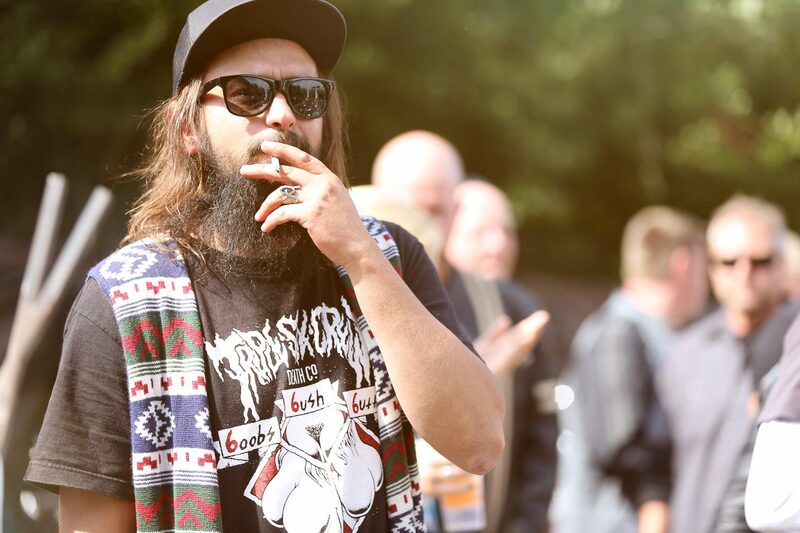 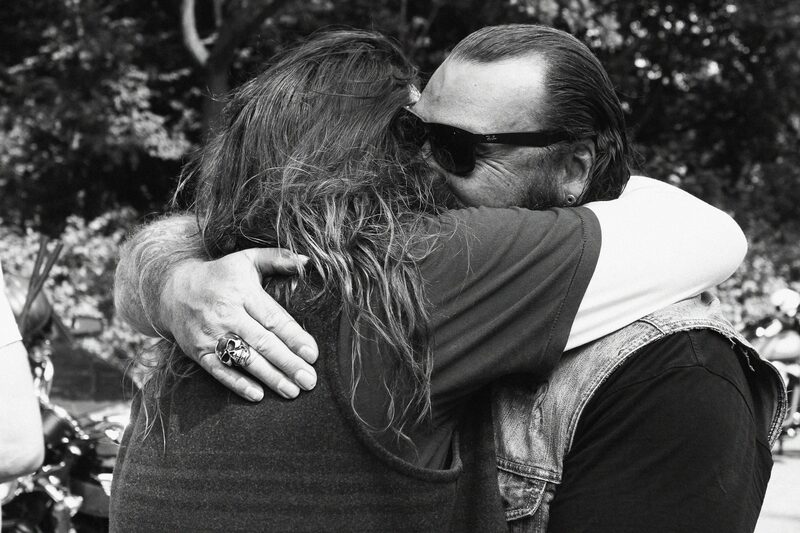 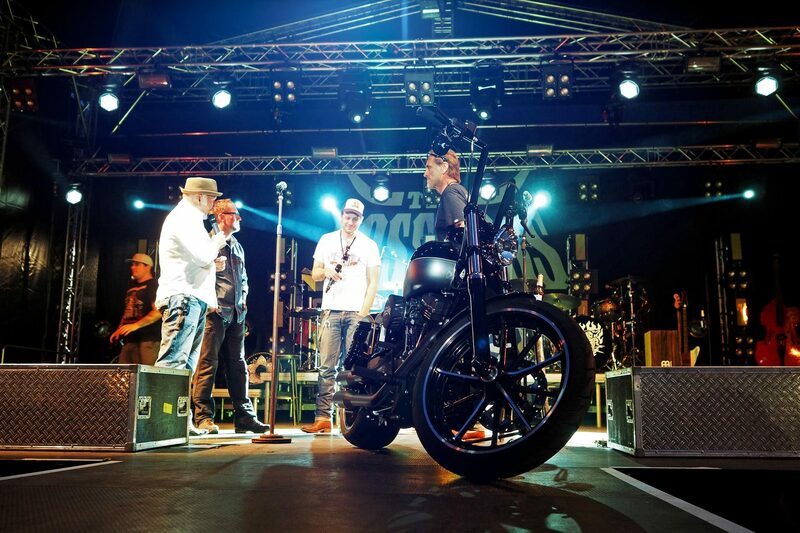 For all participants there were a high-quality Harley-Davidson custom bike worth 39,000.00 euros as the first prize and other attractive prizes to win. 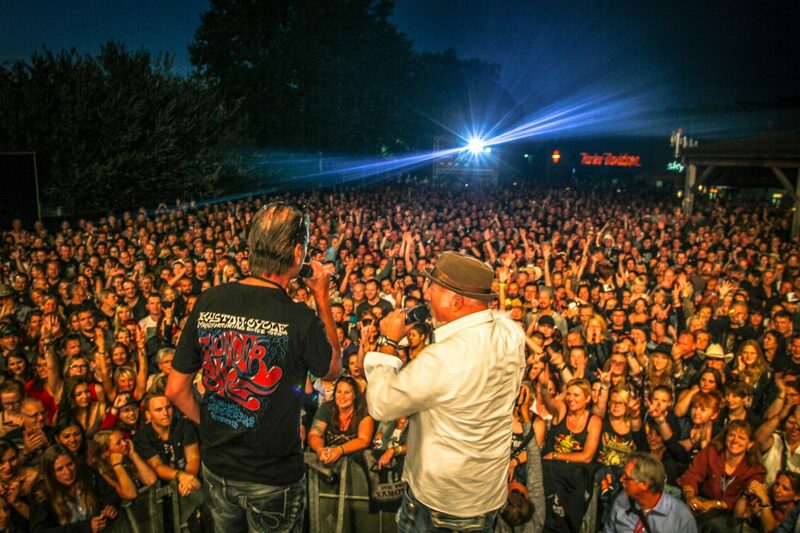 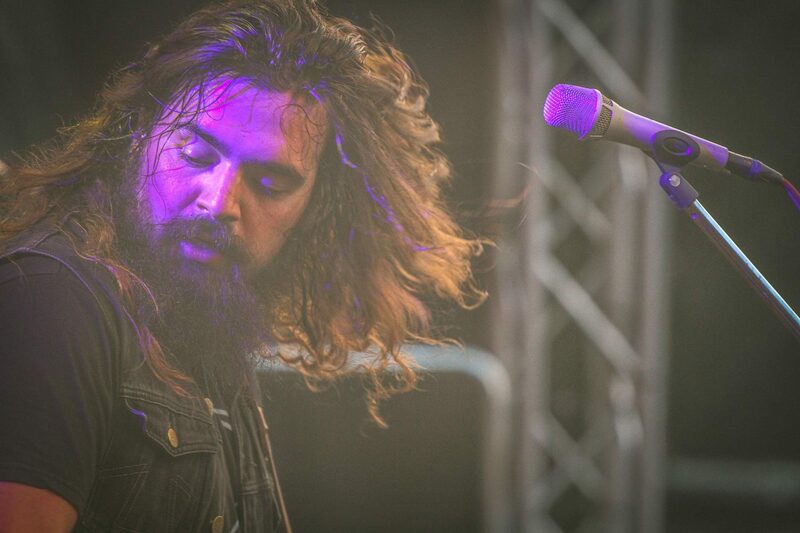 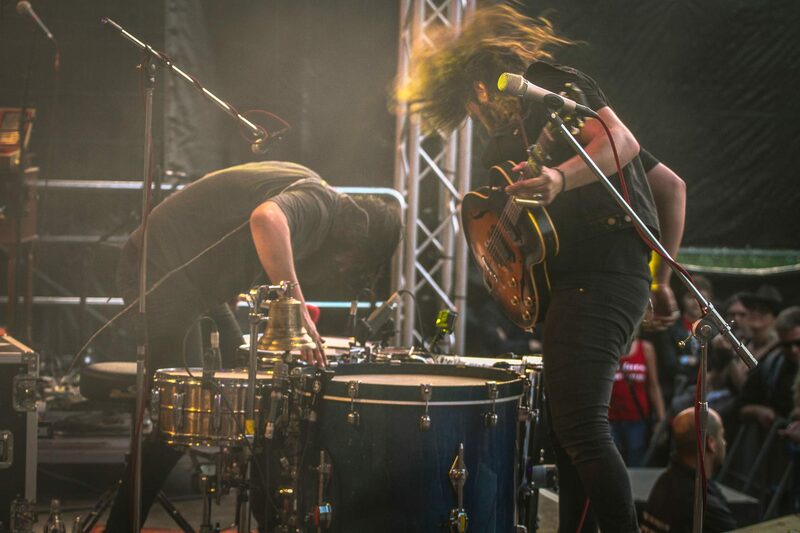 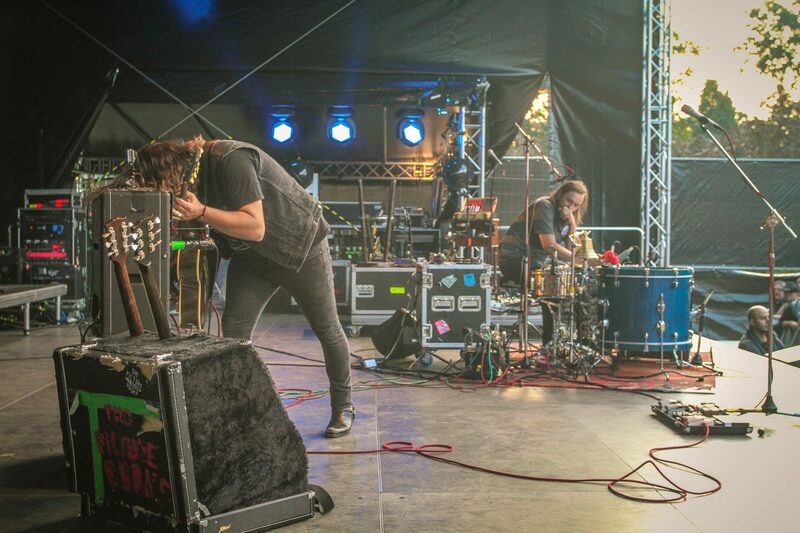 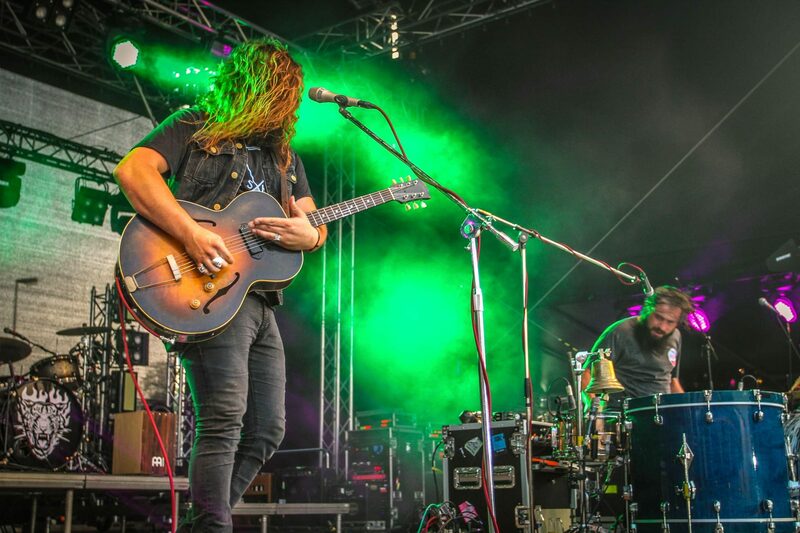 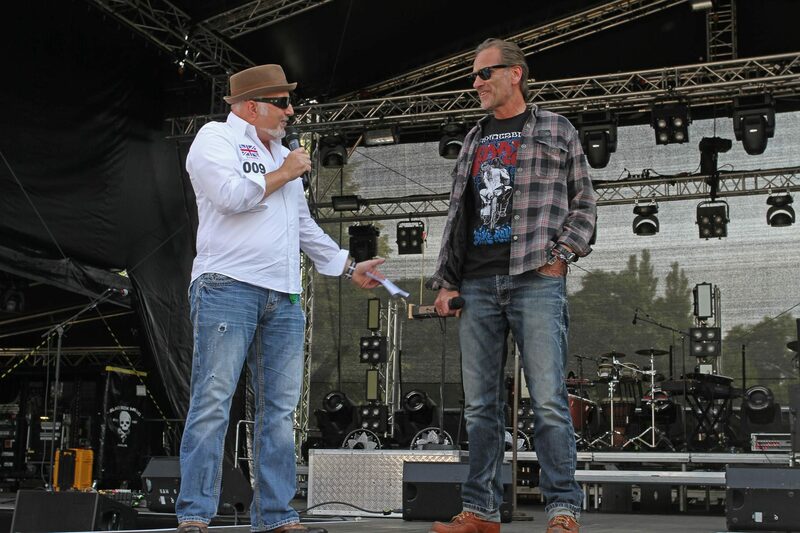 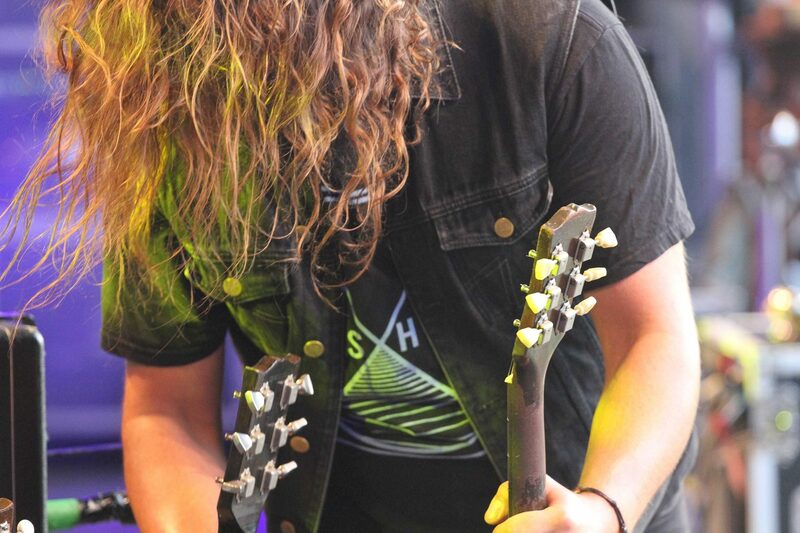 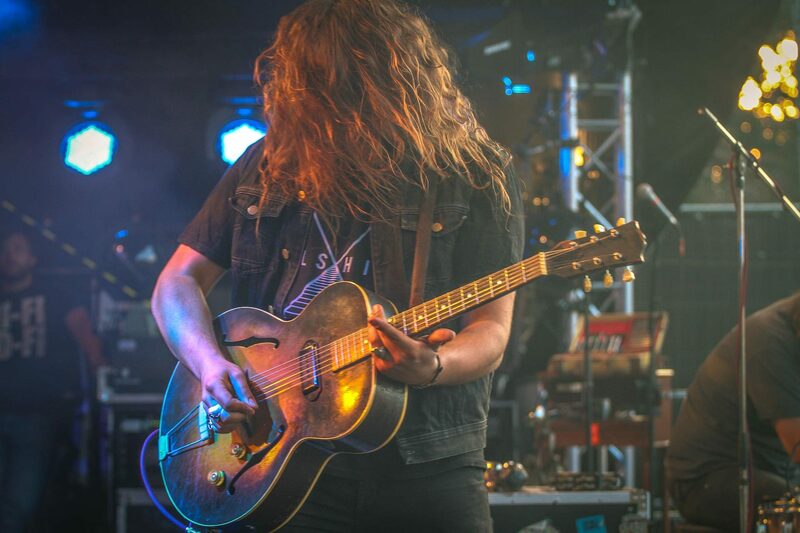 But with another highlight for bikers and music fans, the team of Thunderbike has set it this year even more. 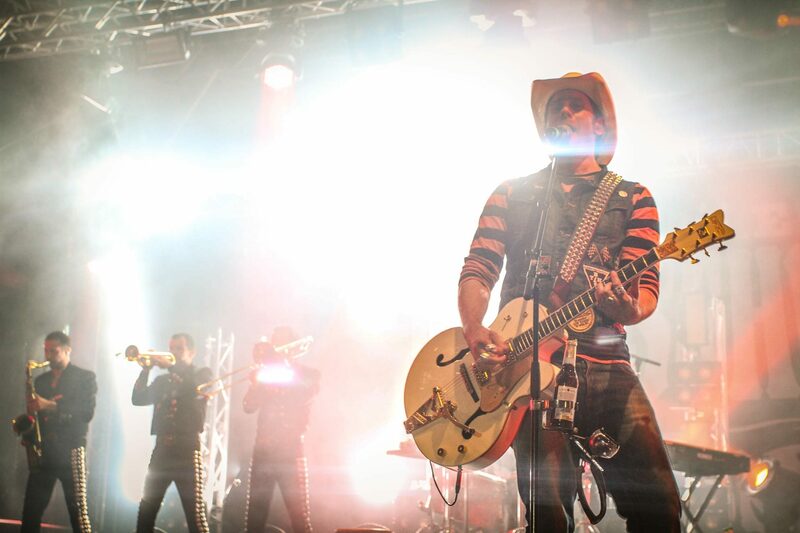 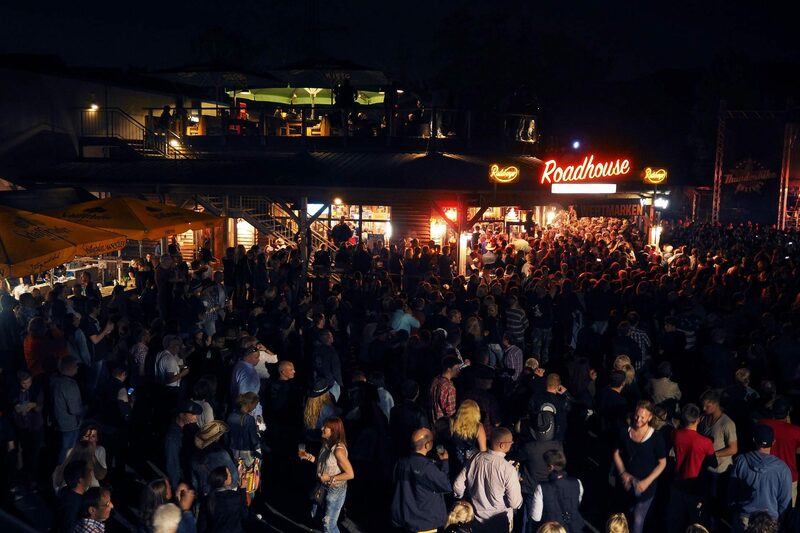 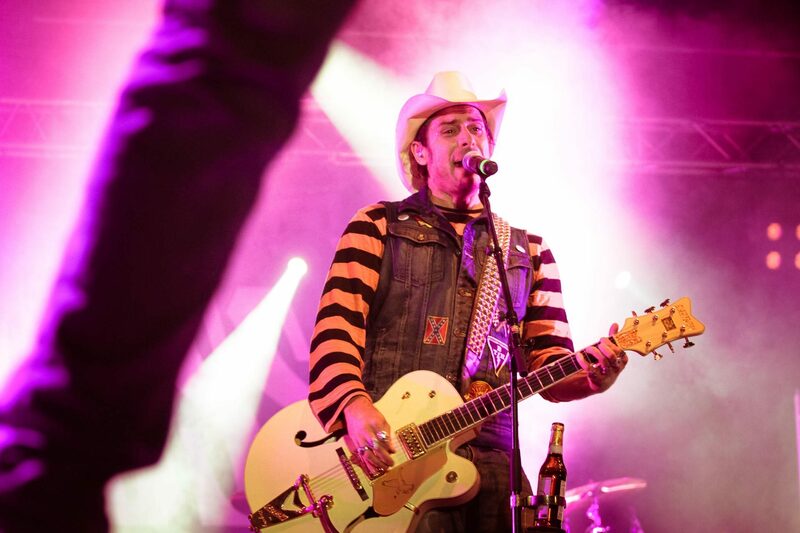 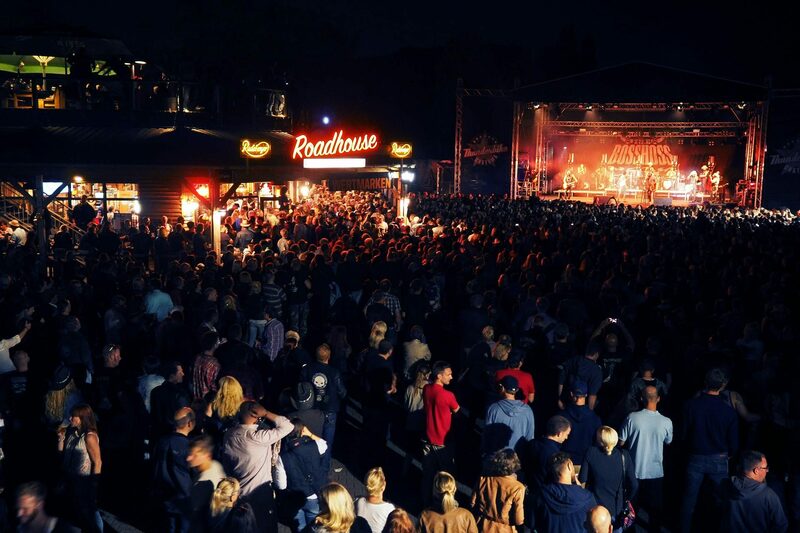 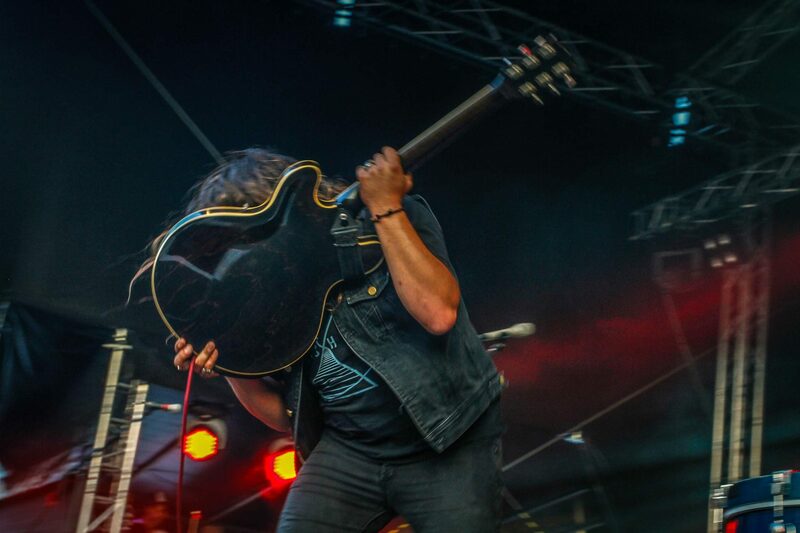 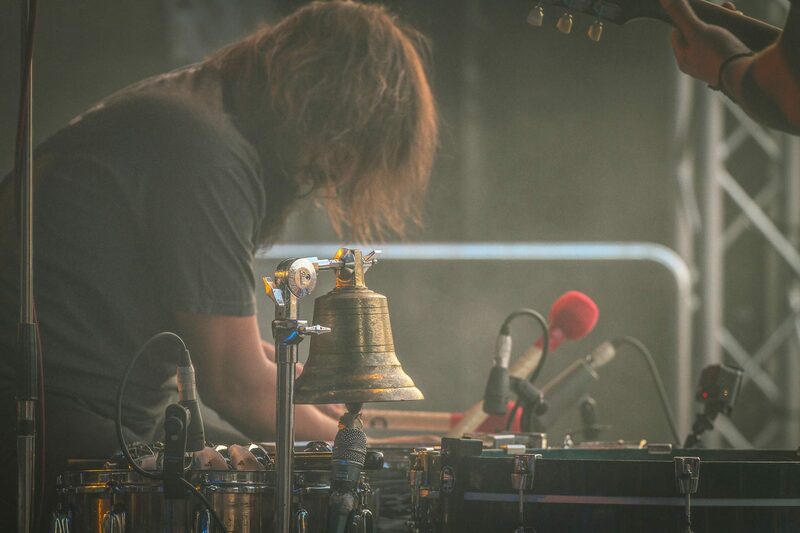 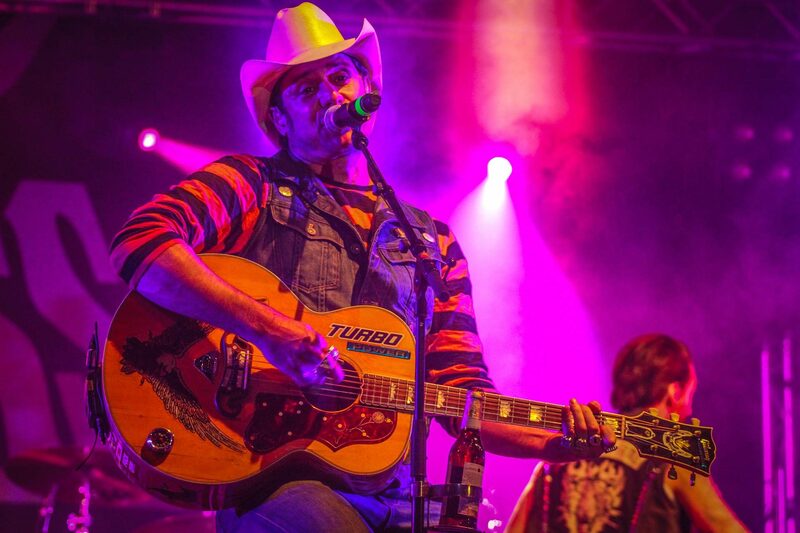 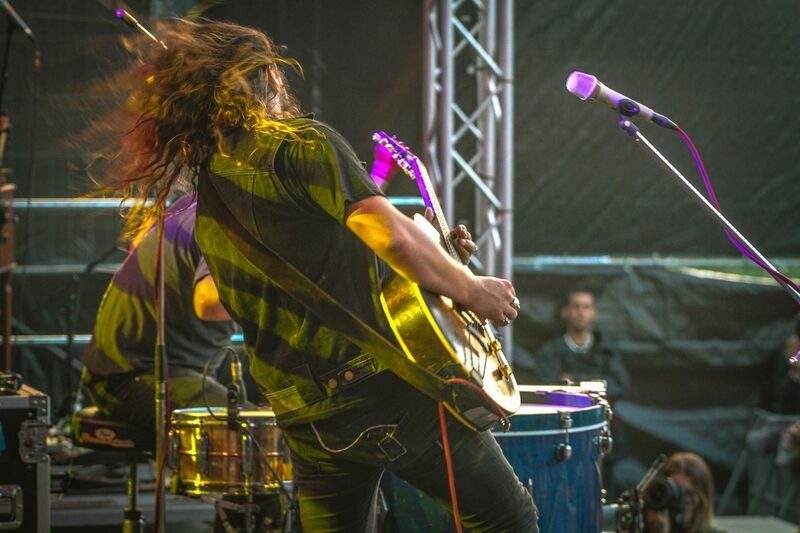 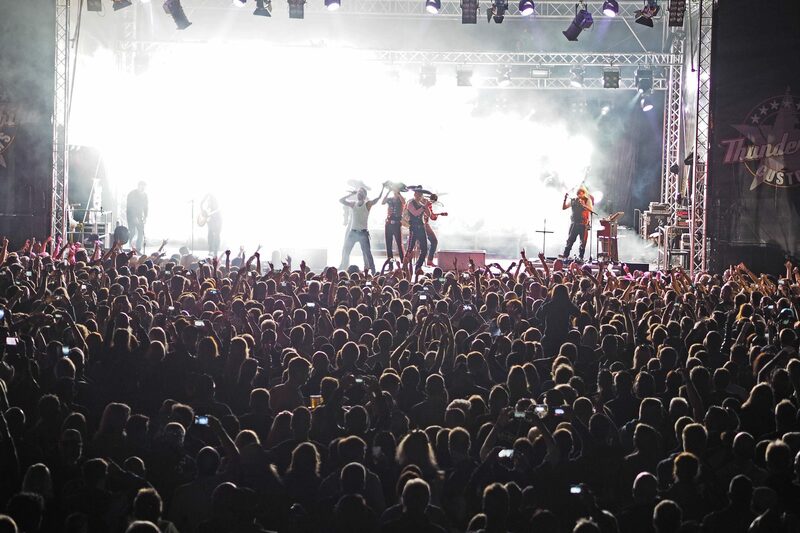 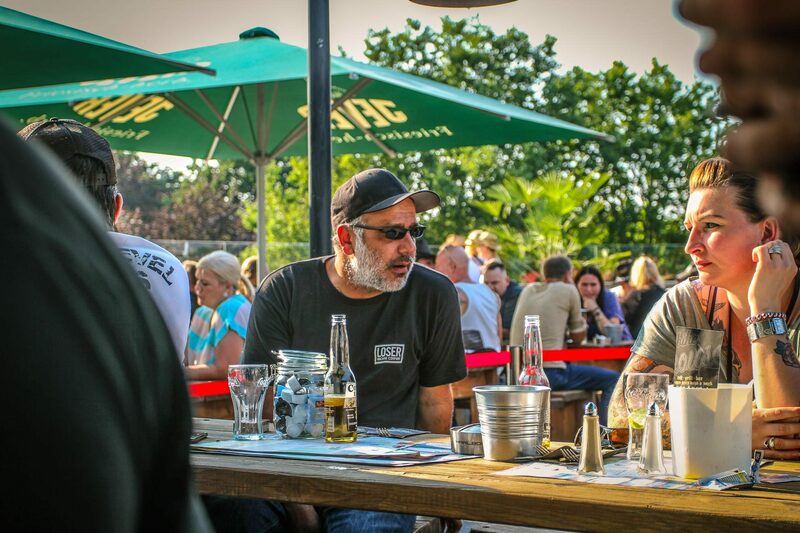 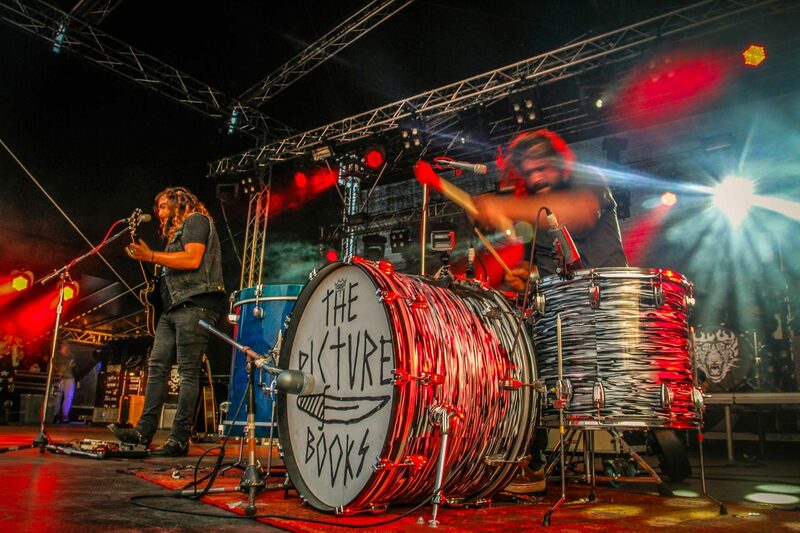 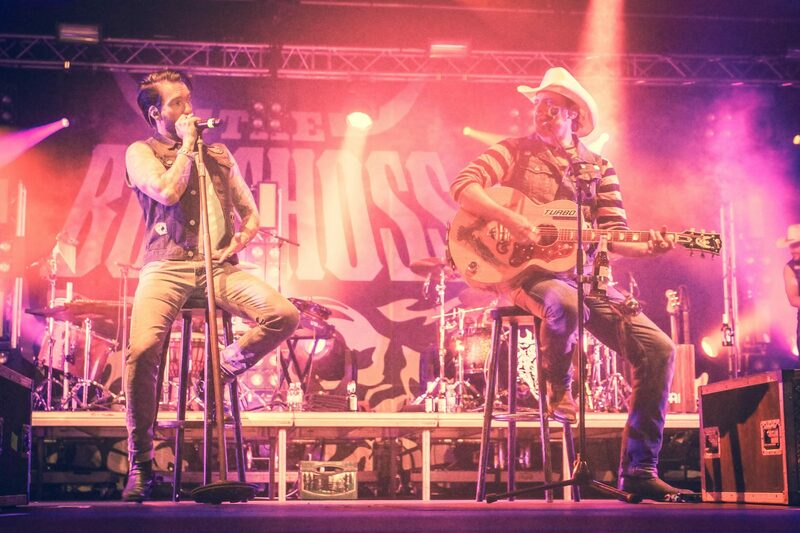 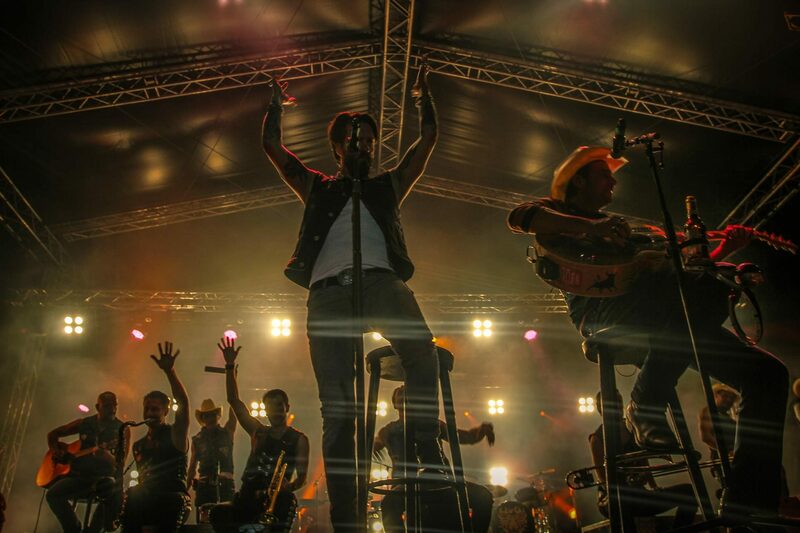 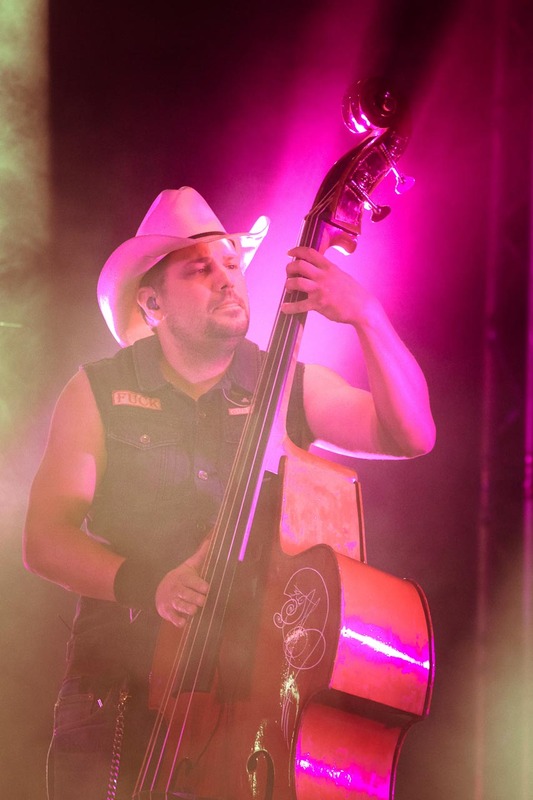 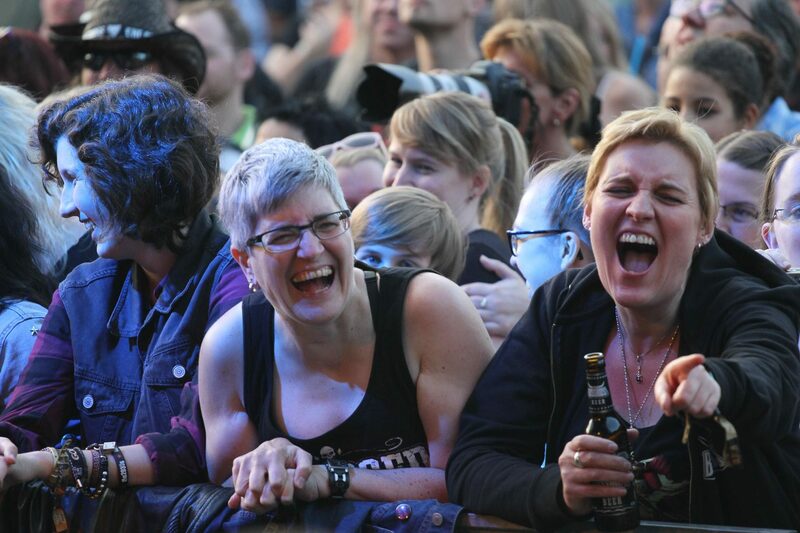 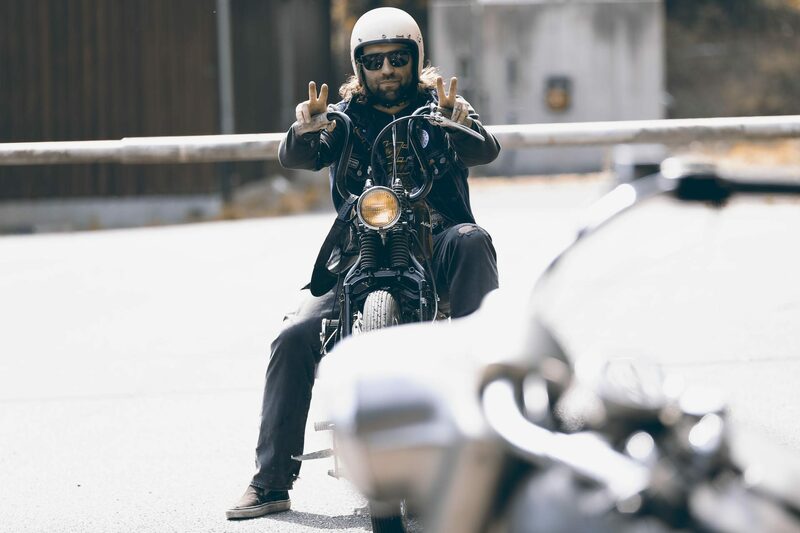 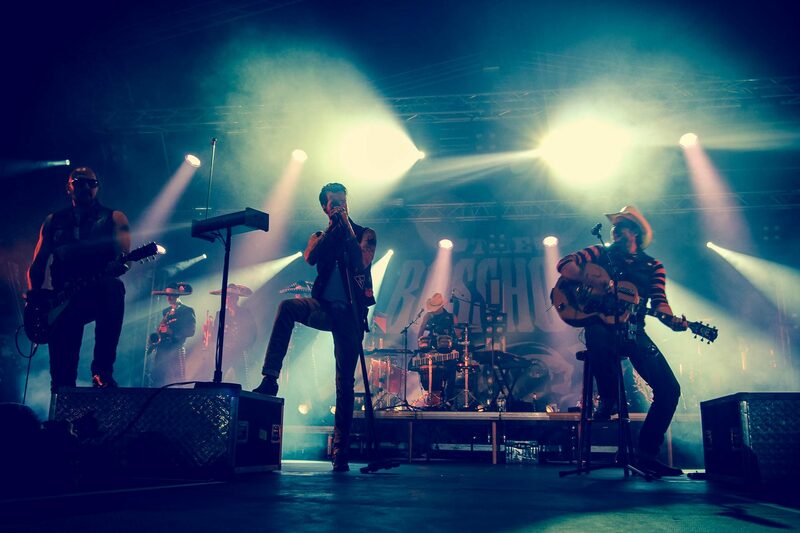 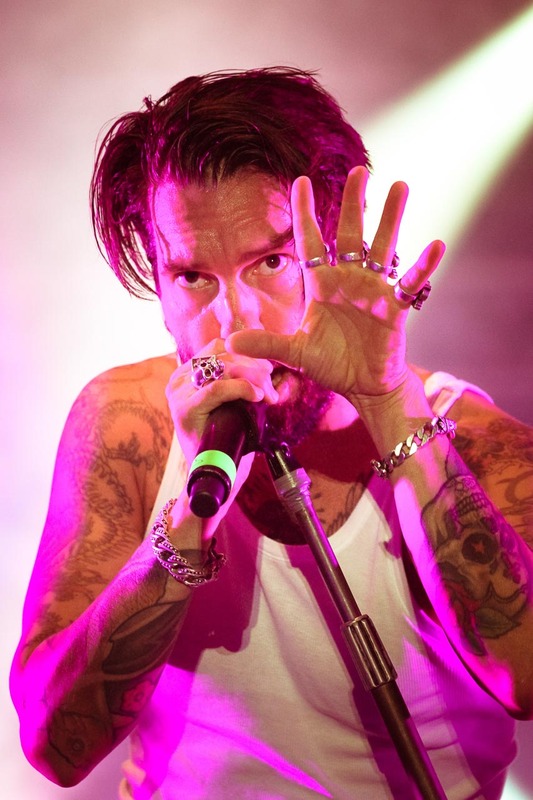 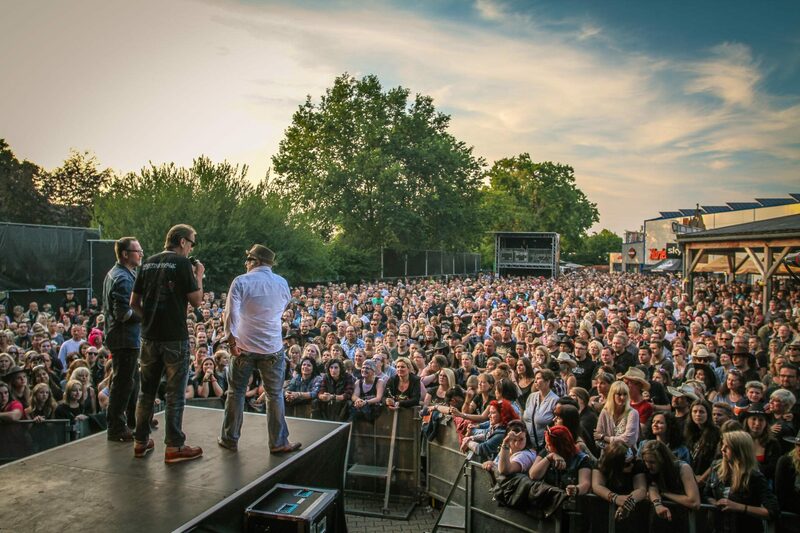 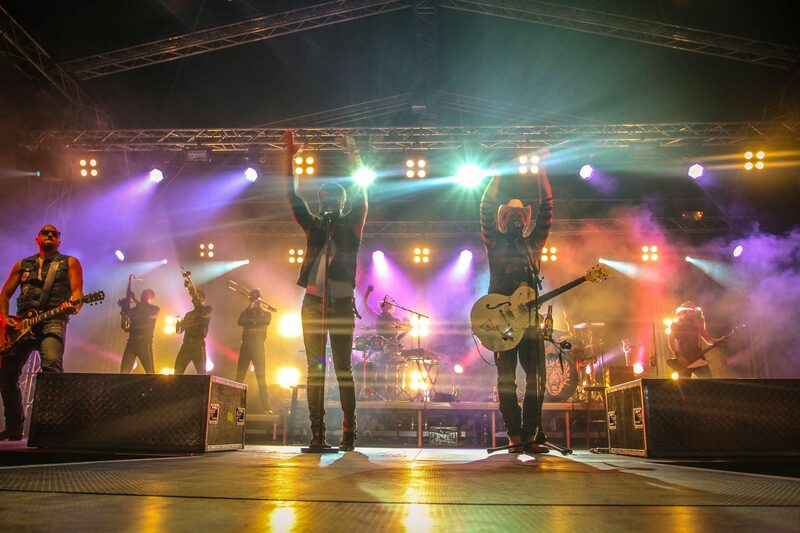 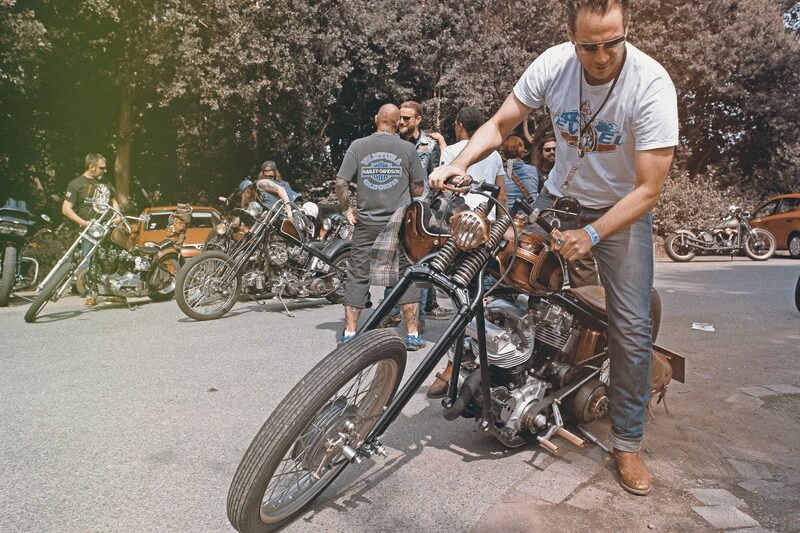 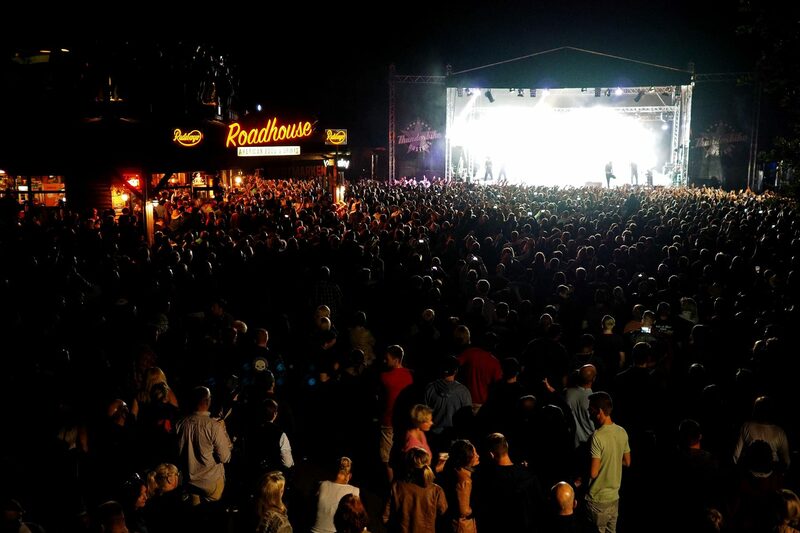 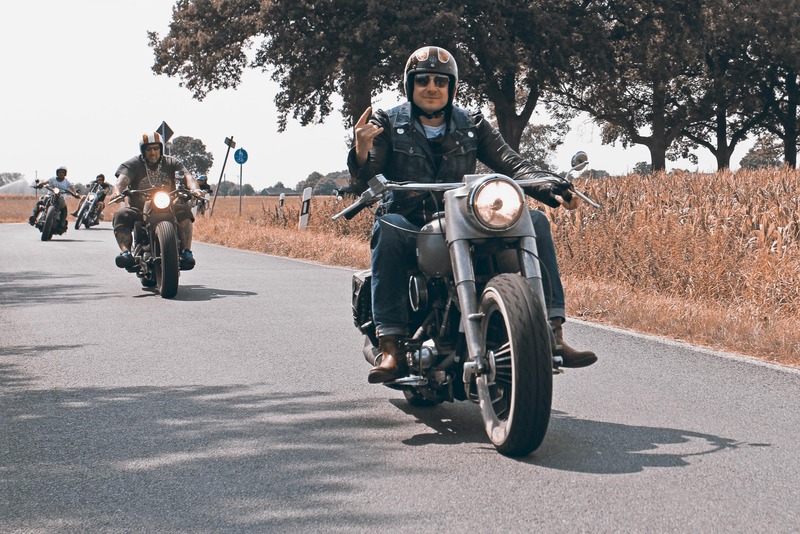 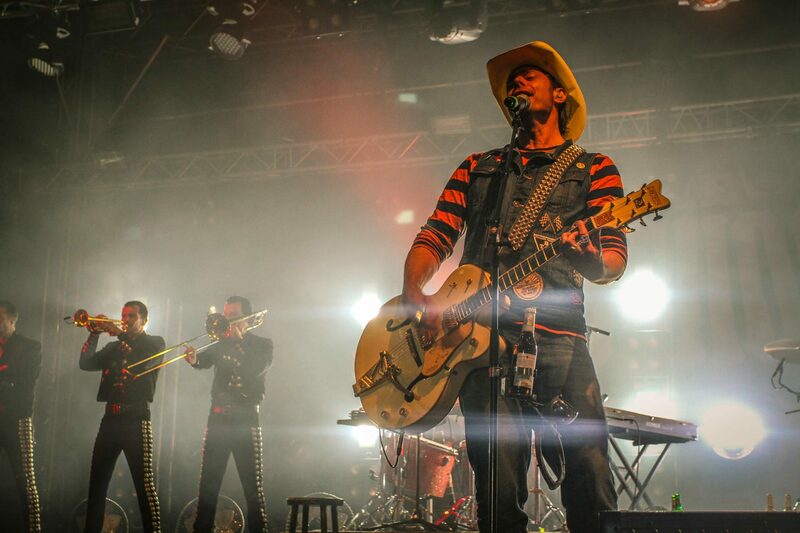 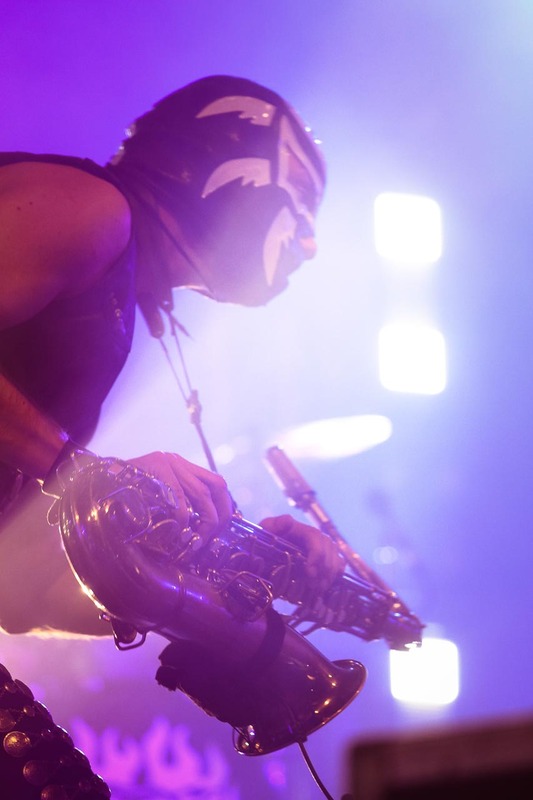 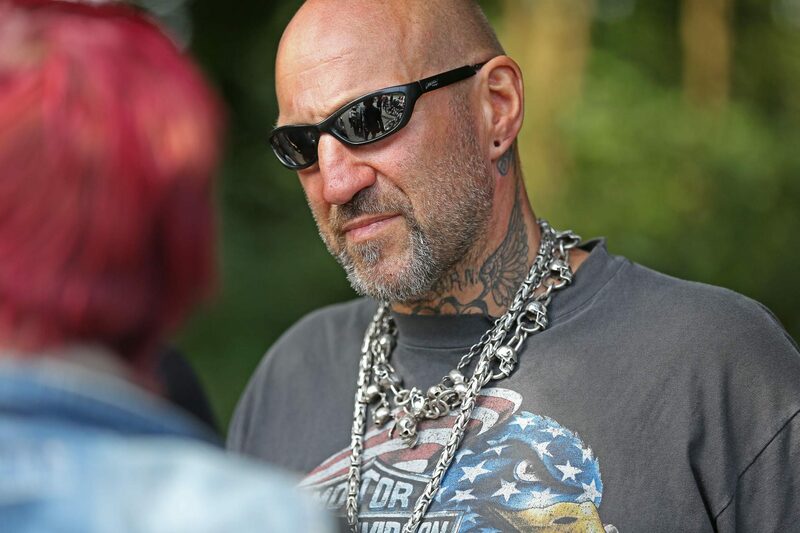 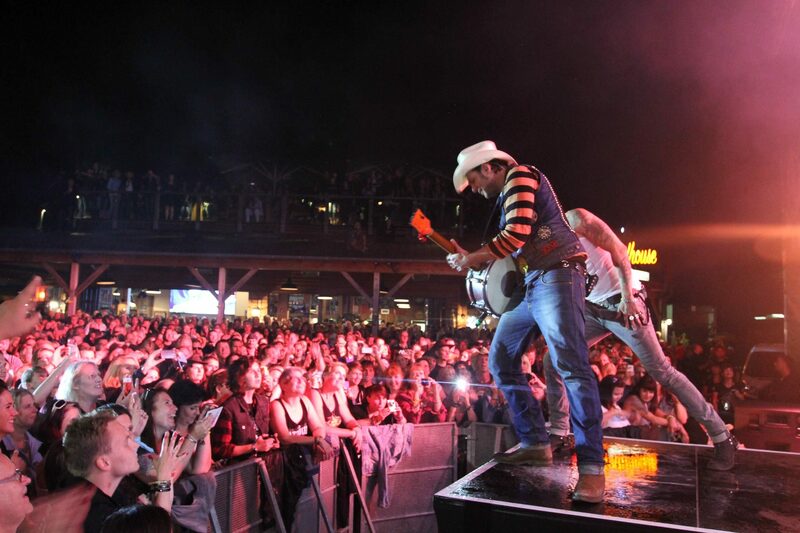 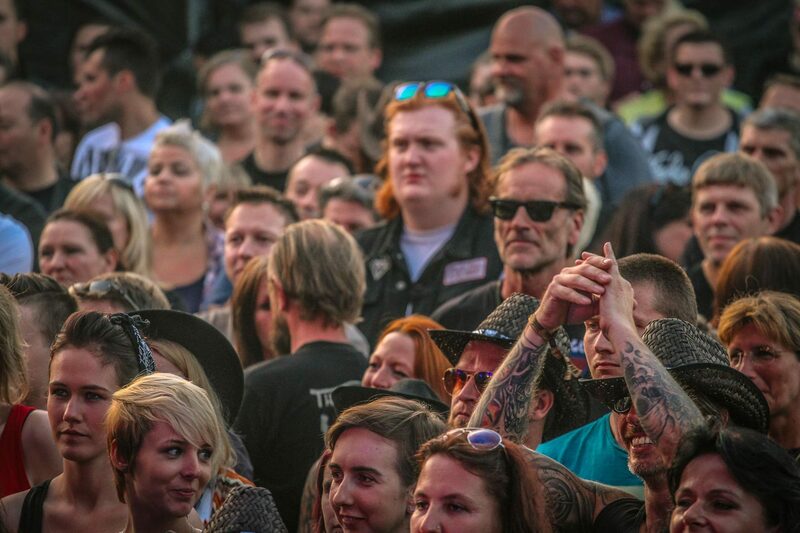 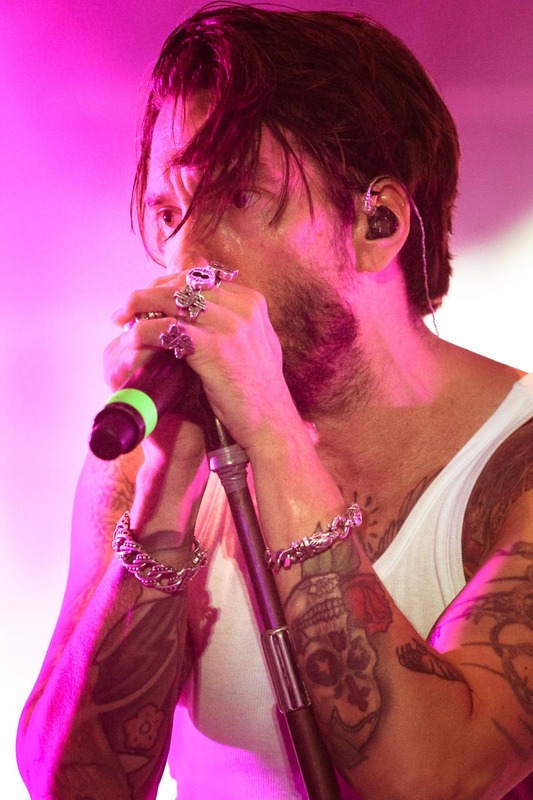 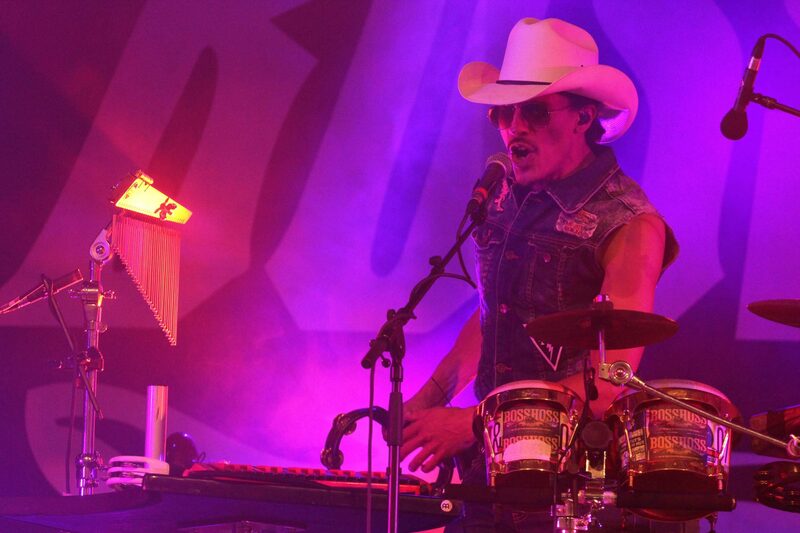 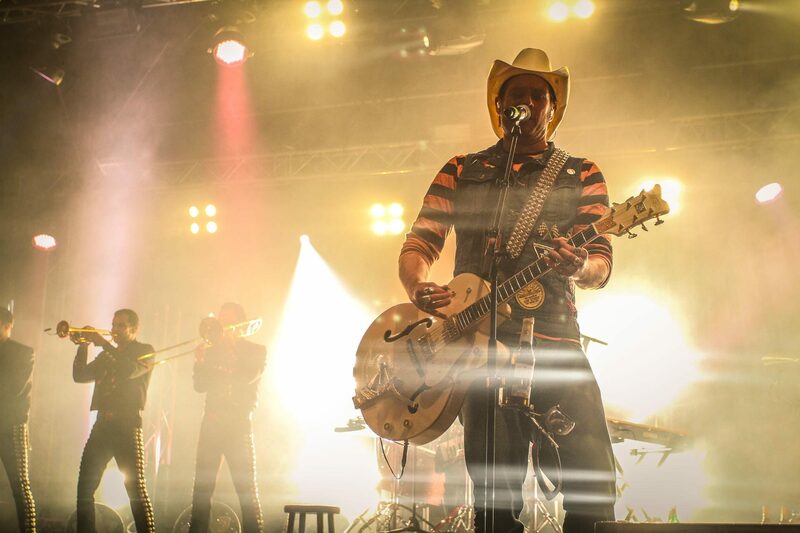 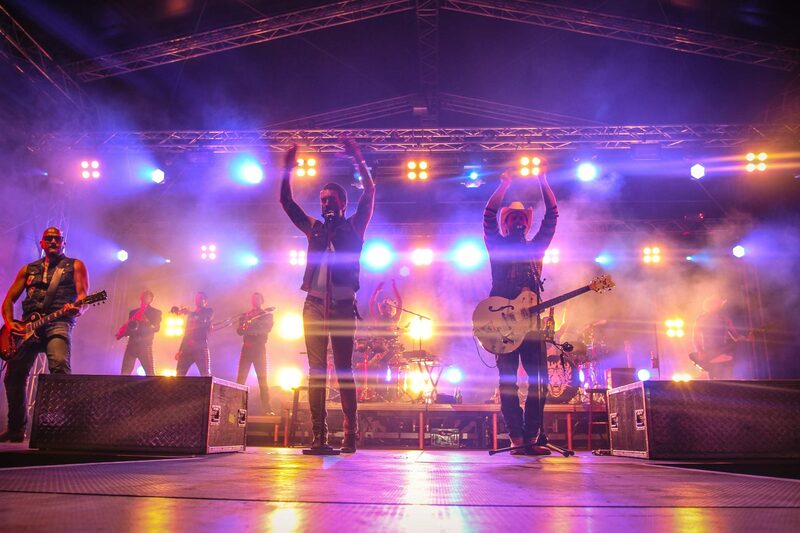 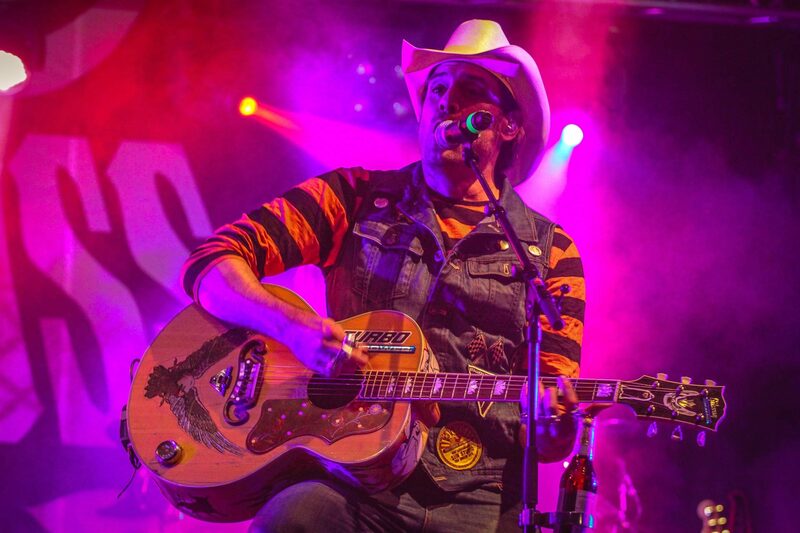 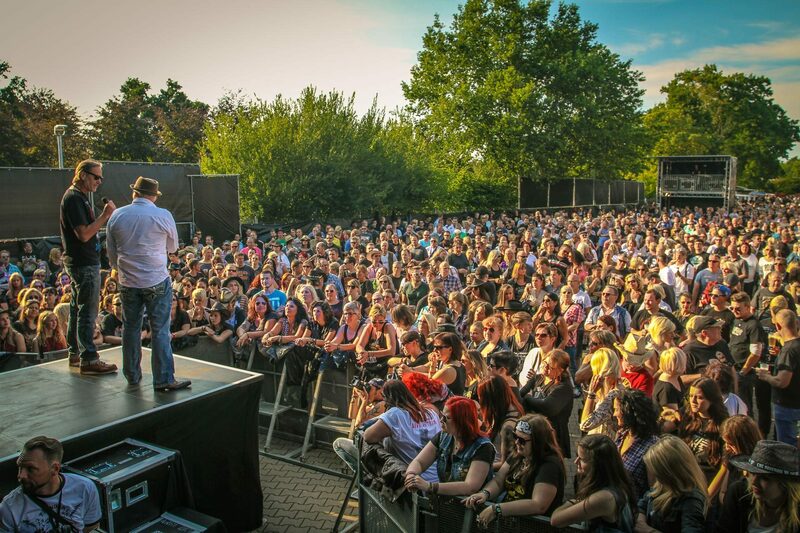 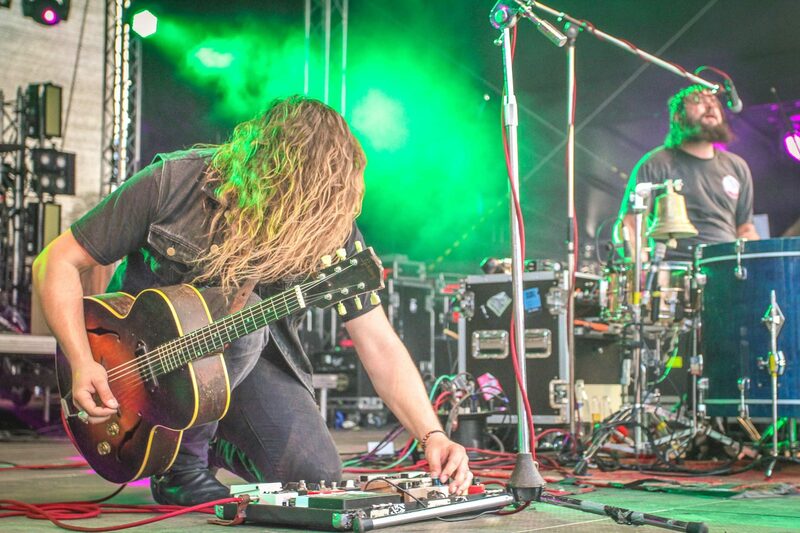 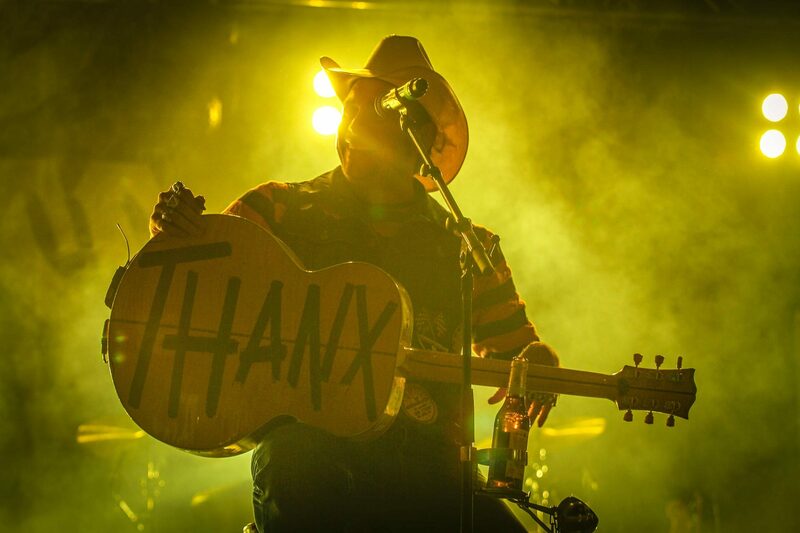 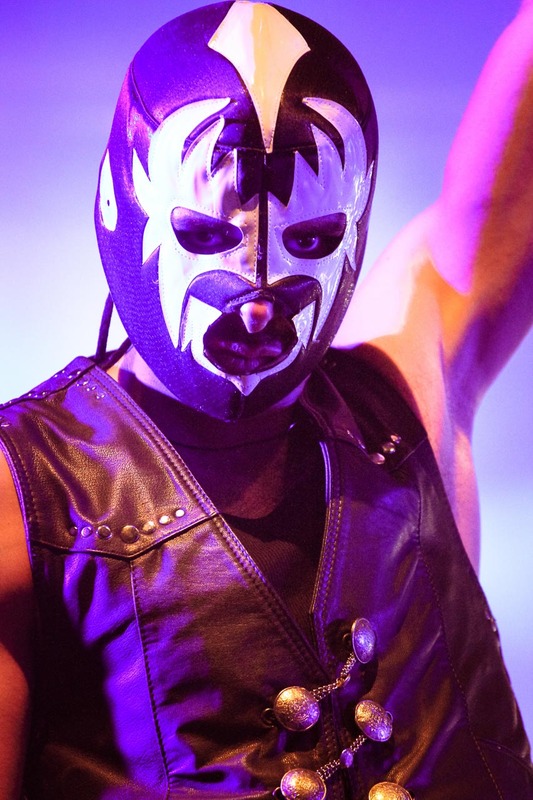 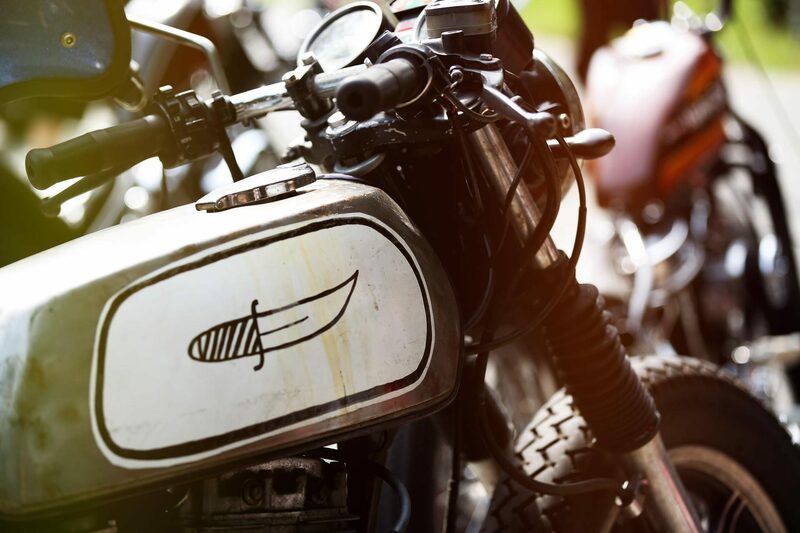 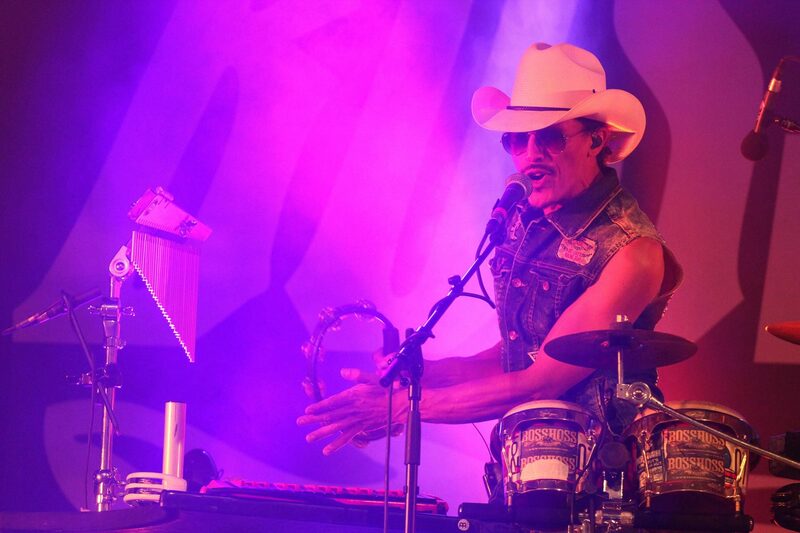 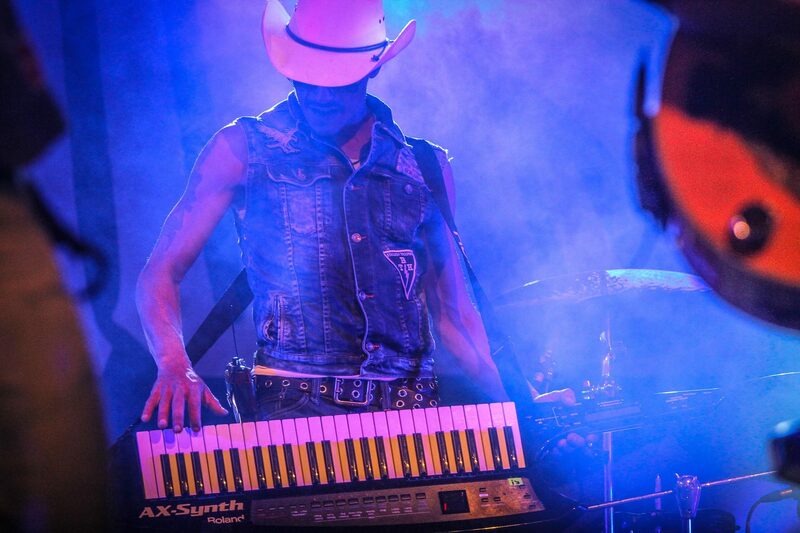 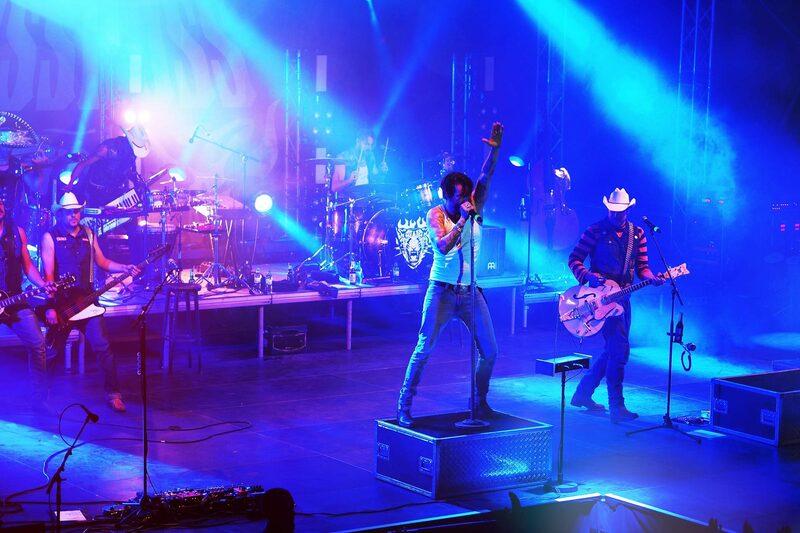 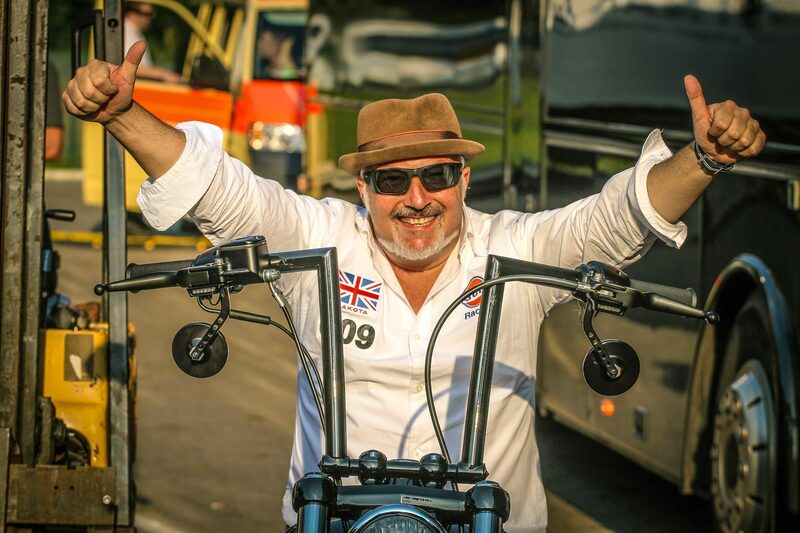 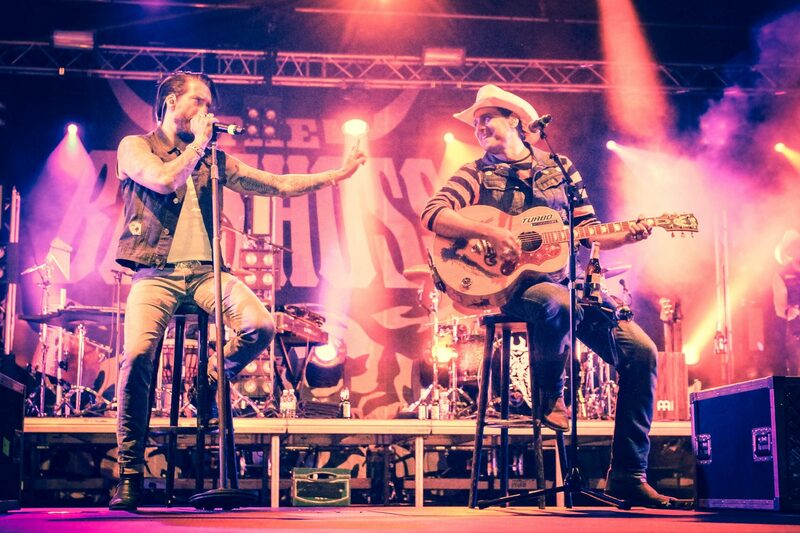 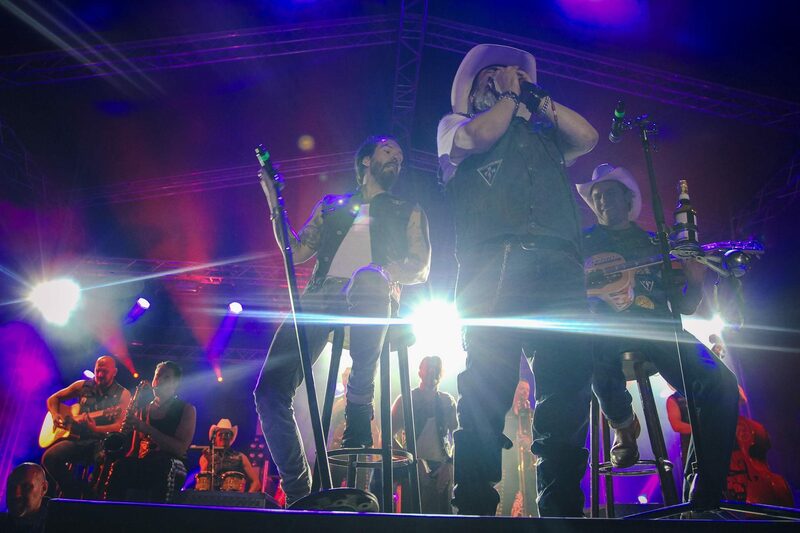 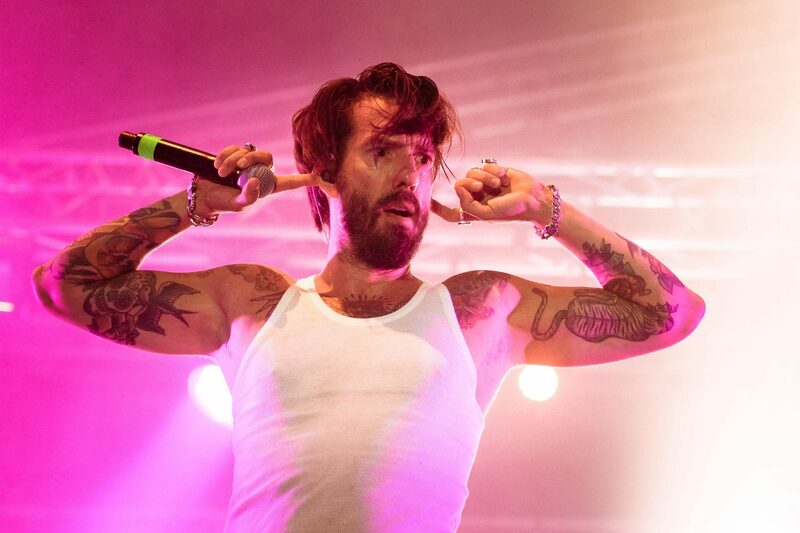 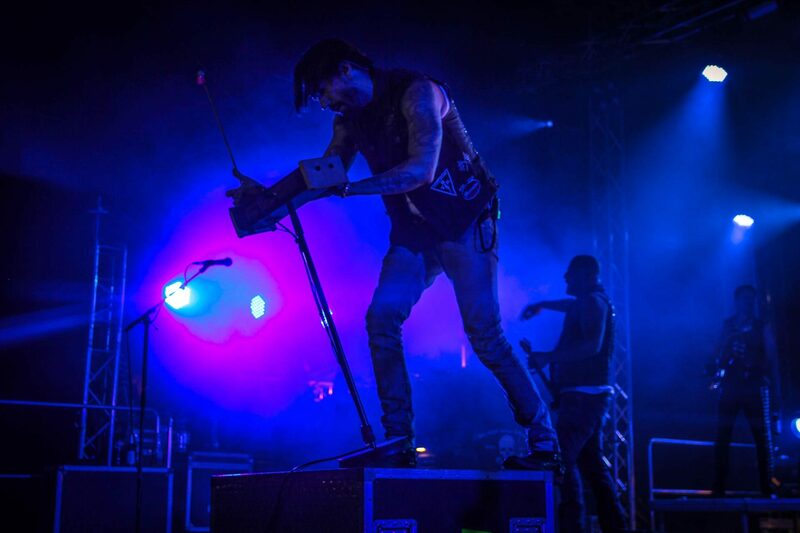 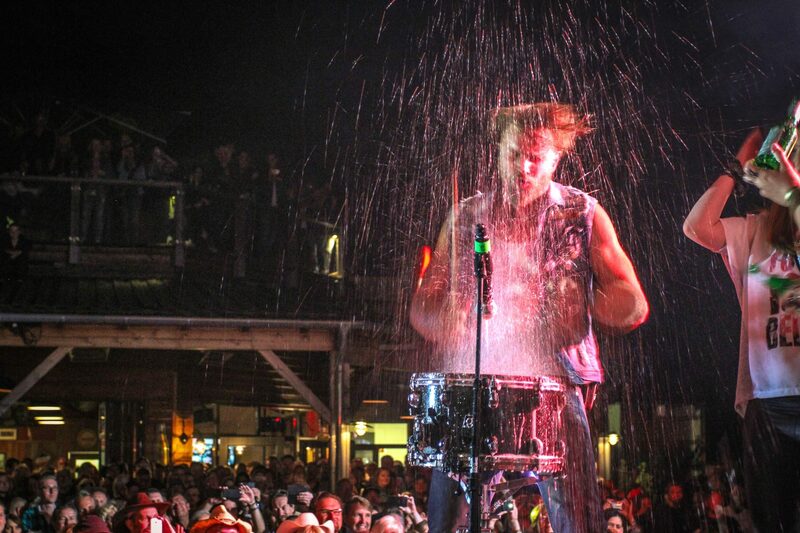 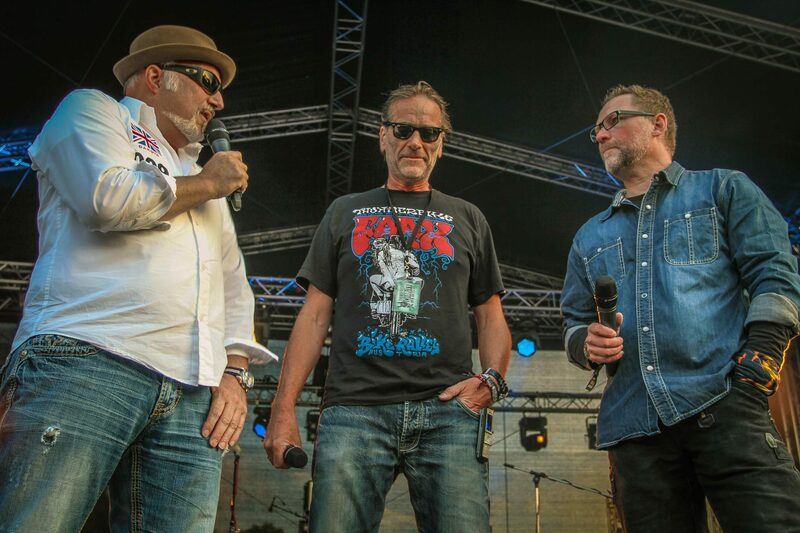 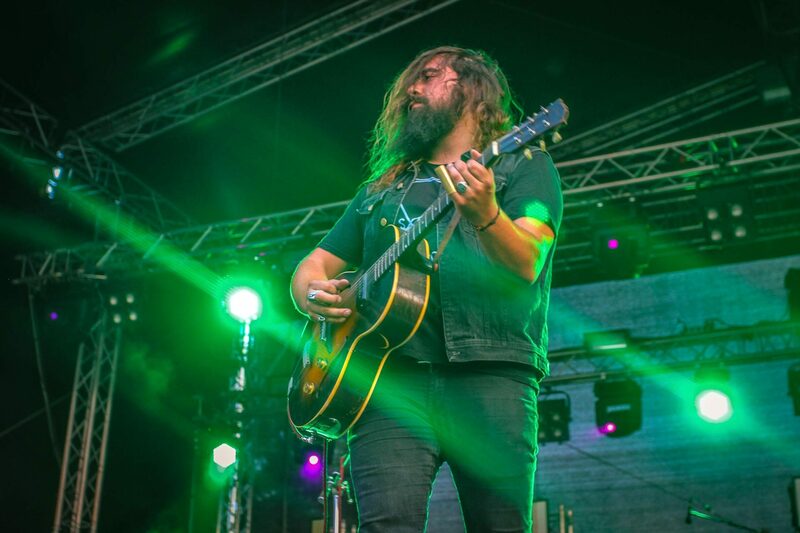 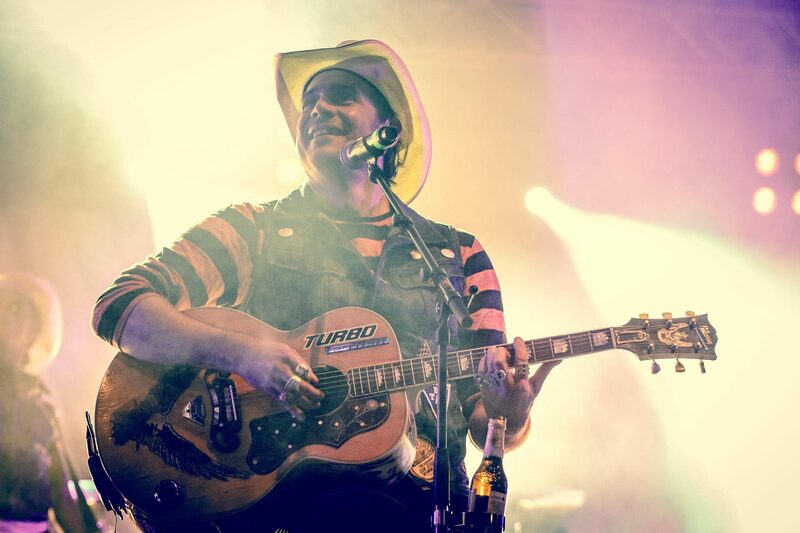 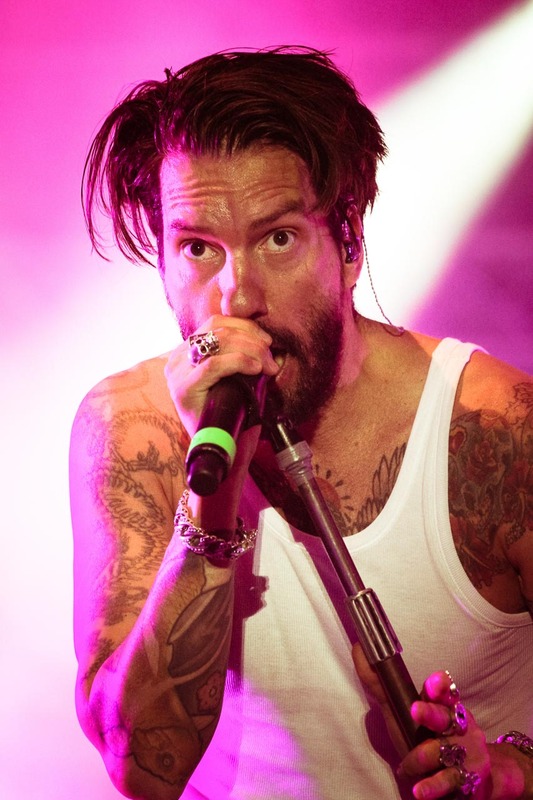 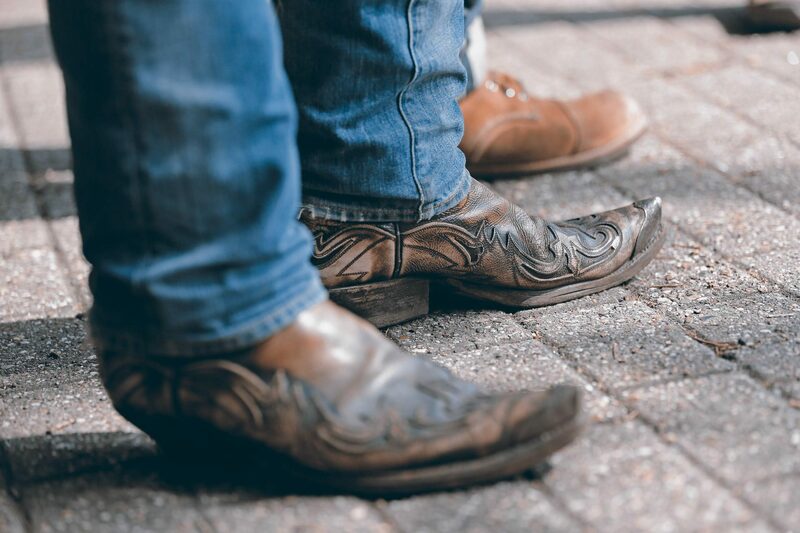 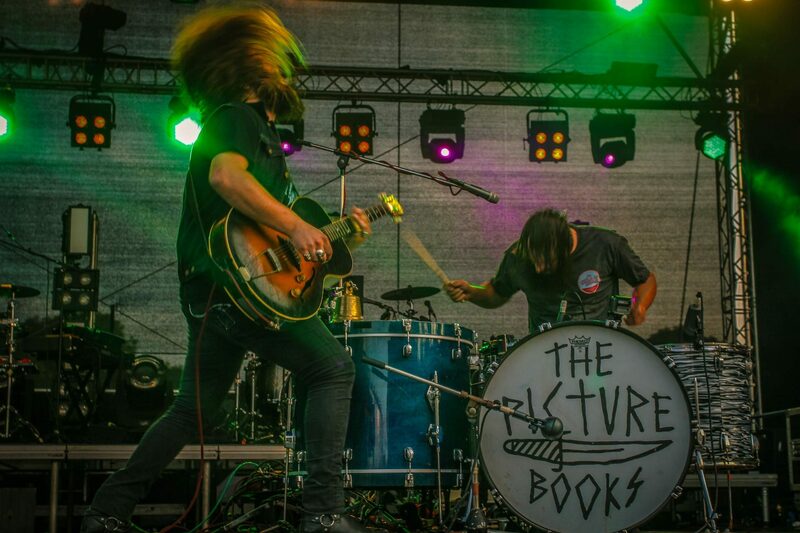 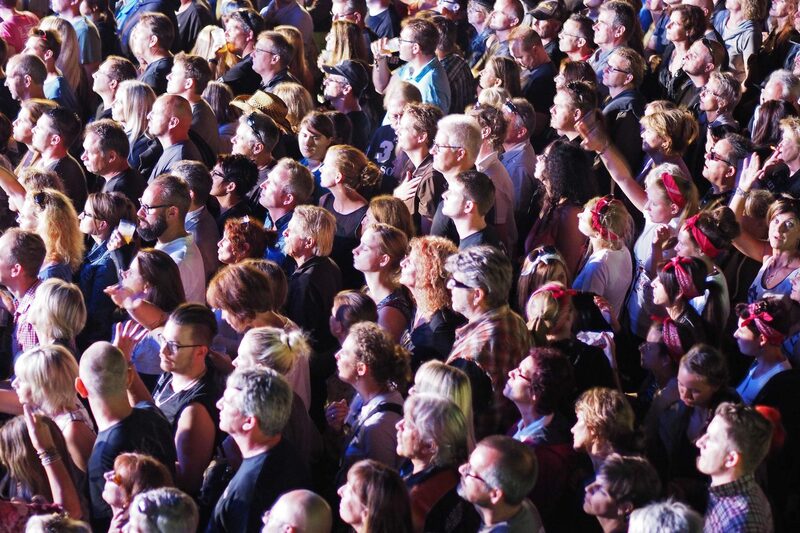 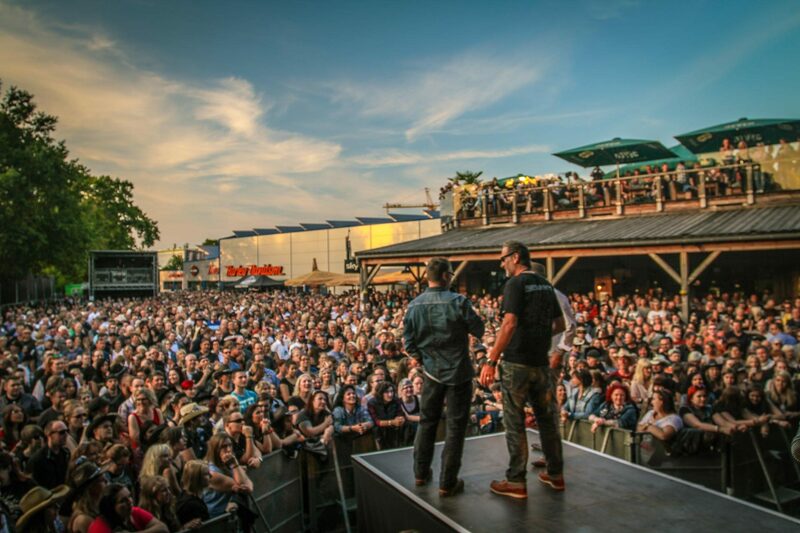 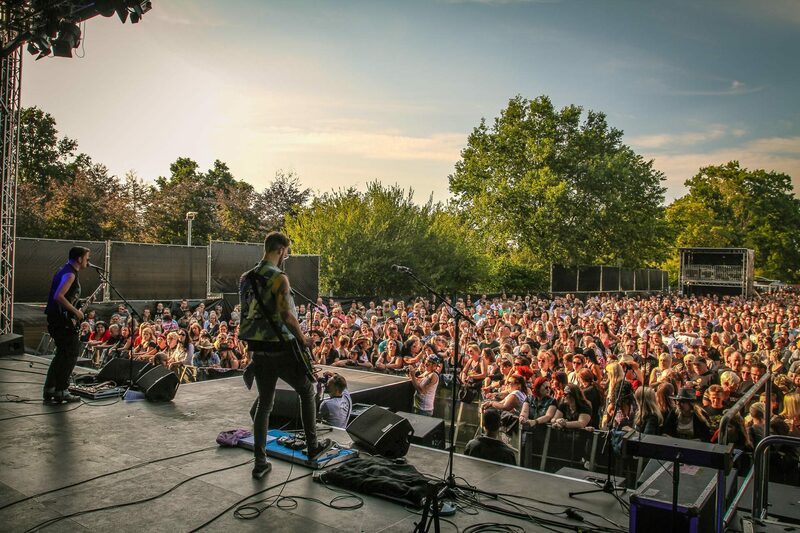 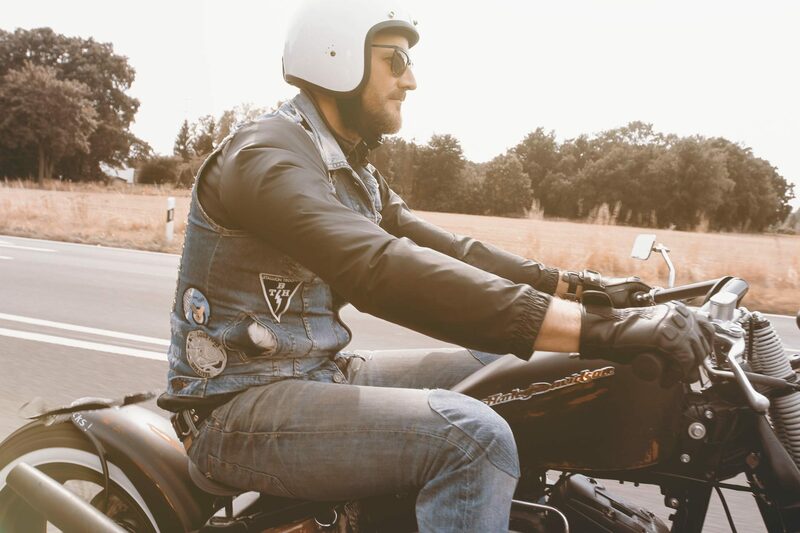 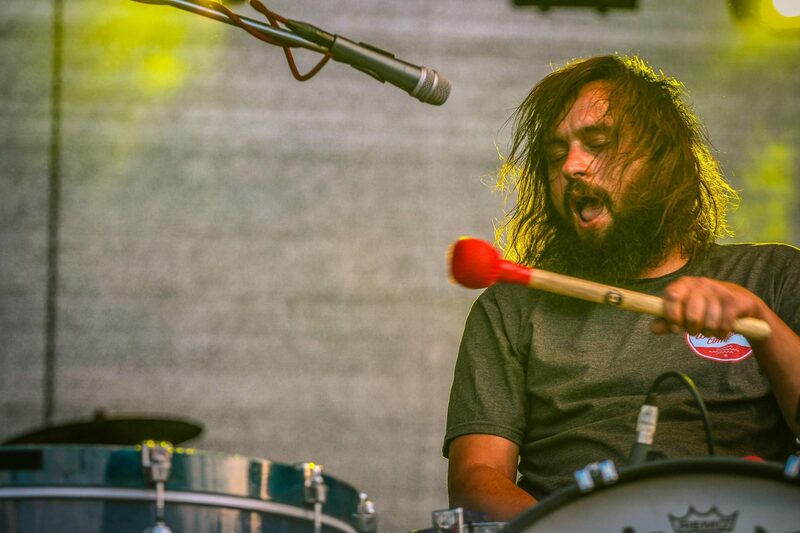 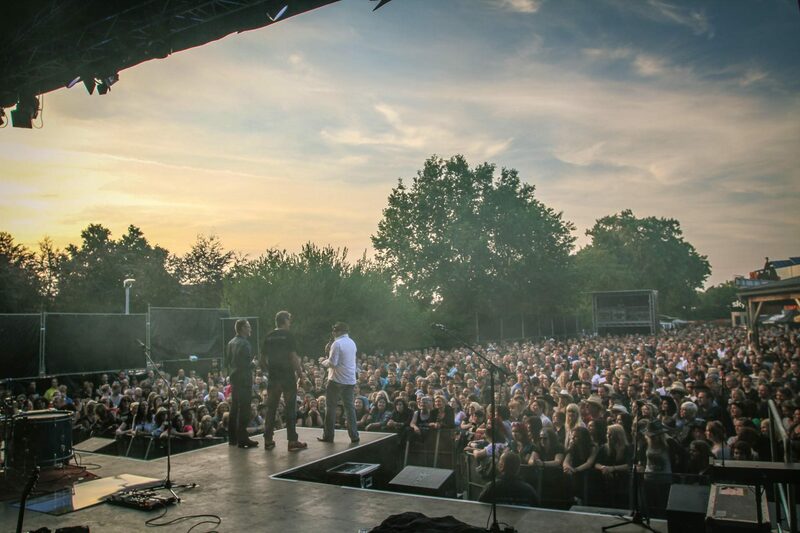 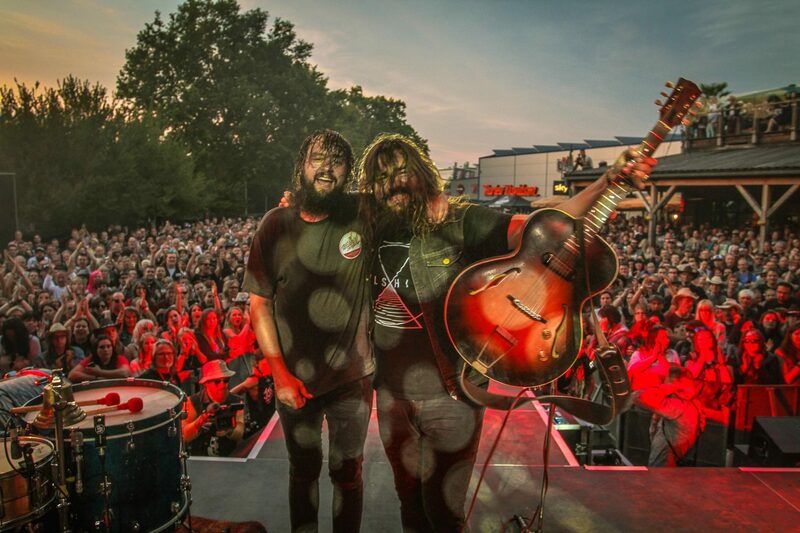 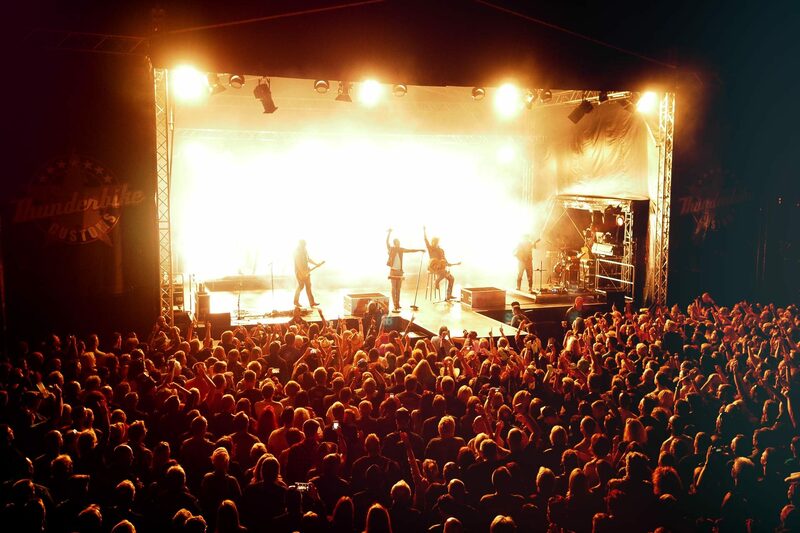 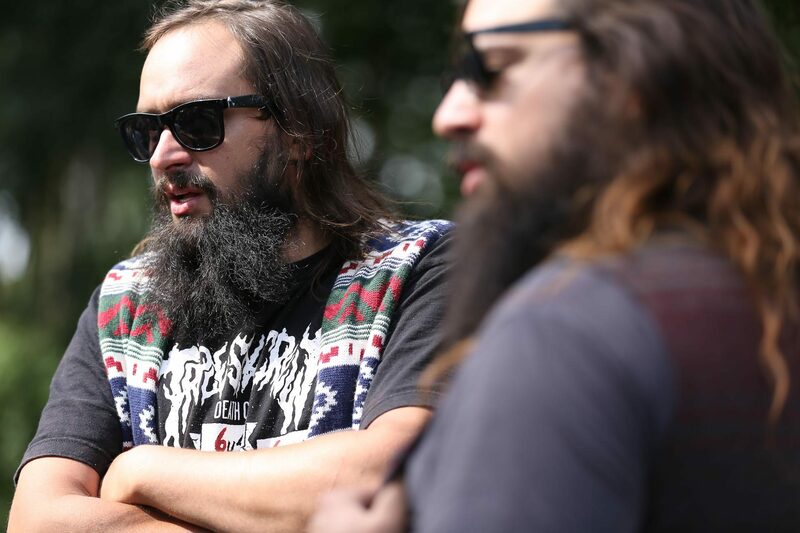 Andreas Bergerfort, the boss of Germany’s most successful custom bike manufacturer, succeeded in hiring one of Germany’s hottest bands for a charity concert in Hamminkeln: “The BossHoss”. 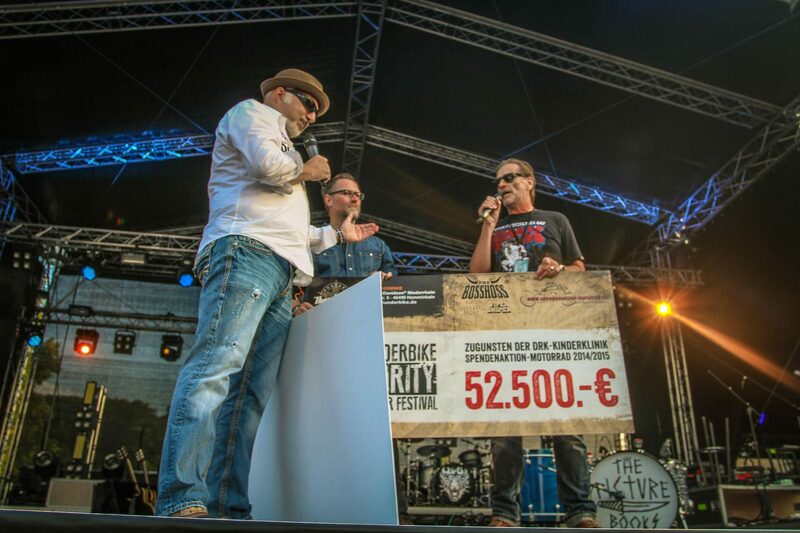 Both a large proportion of the entrance fees and the proceeds of limited special passports were donated to the Siegen Children’s Hospital. 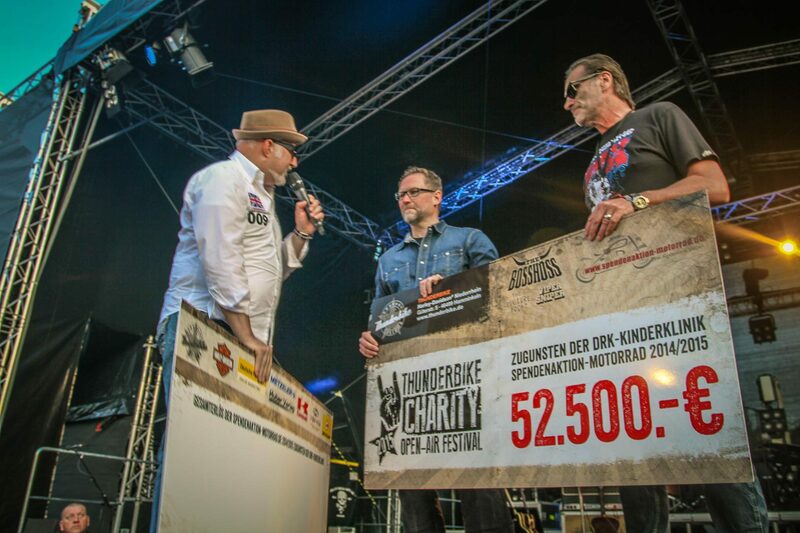 Thanks to a sold out concert and generous guests initiator Arnd Dickel and clinic manager Stefanie Wied could receive another 52.500,00 Euro donation at the concert. 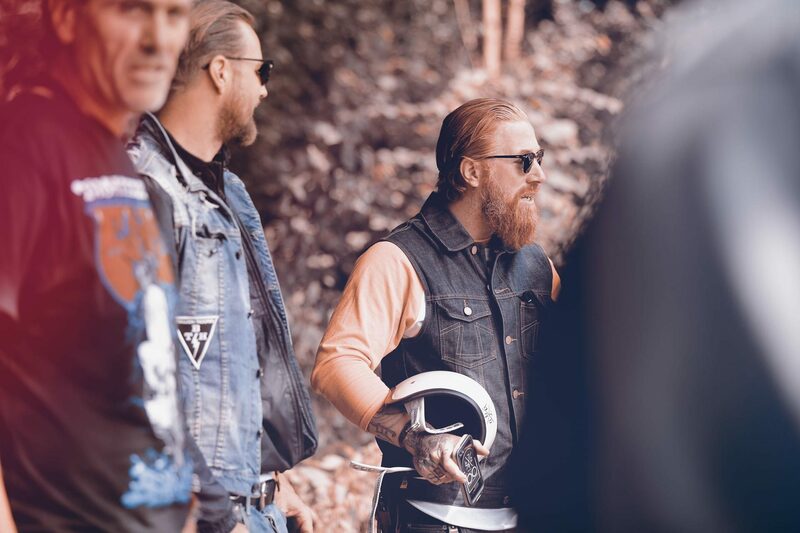 With more than € 51,000.00 of the first round, the DRK Children’s Hospital in Siegen 2014 was able to implement the establishment of a special care room for child and adolescent burn injuries. 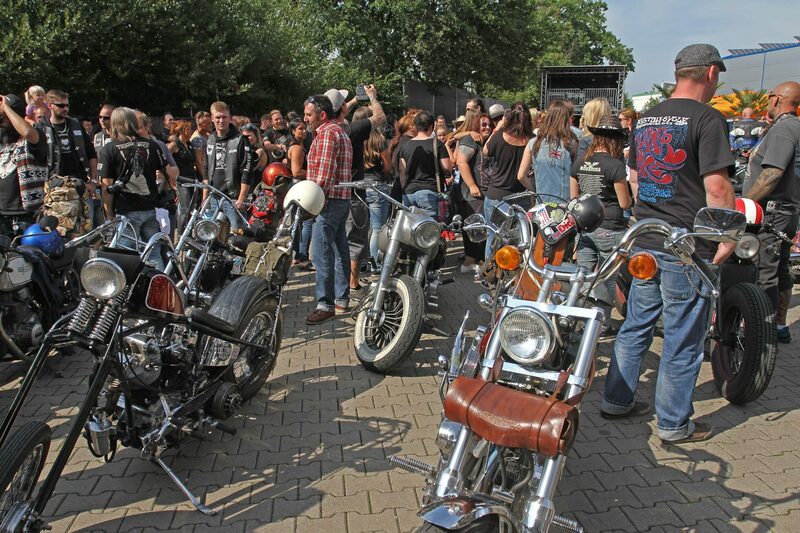 With the proceeds from the 2014-2015 campaign, the rehabilitation of the operating theater area, which was necessary after a water damage, was supported. 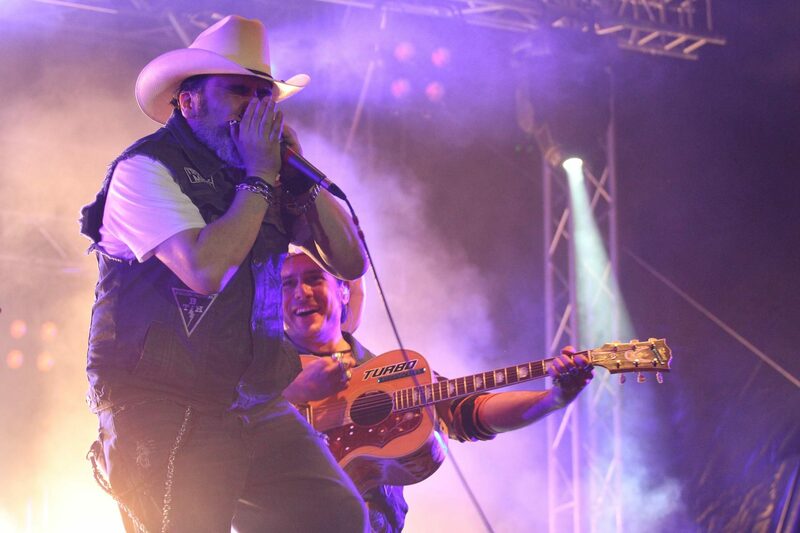 And the money from the benefit concert will be used to build an age-appropriate palliative care for children and adolescents in the large catchment area of ​​the clinic. 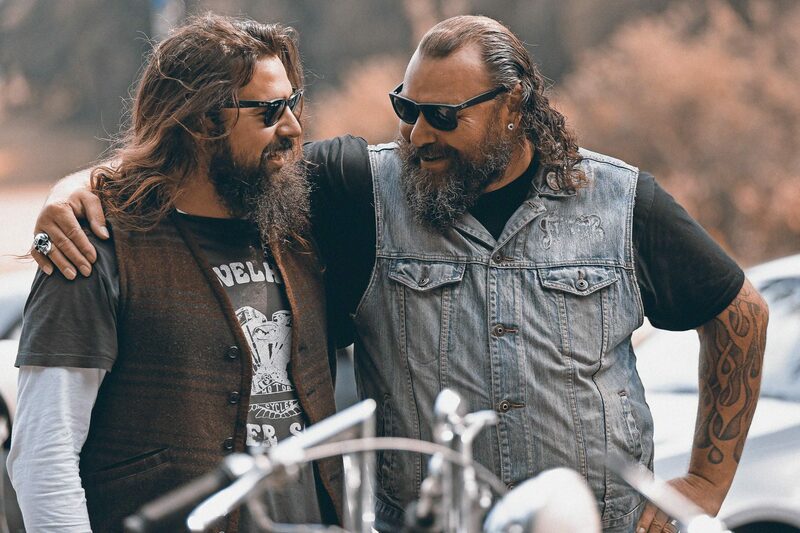 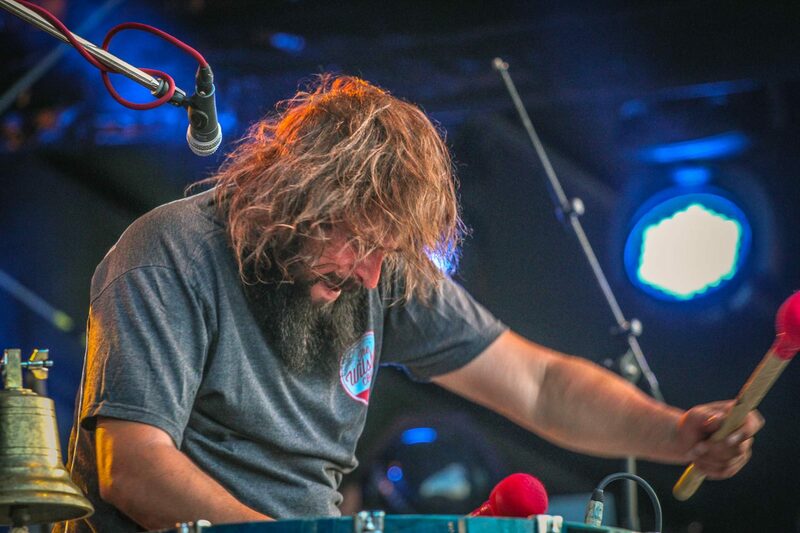 “I am grateful for the support from Hamminkeln and from the many other sponsors and not to forget from the media, which make such an action only possible and so successful,” Arnd Dickel said very emotionally. 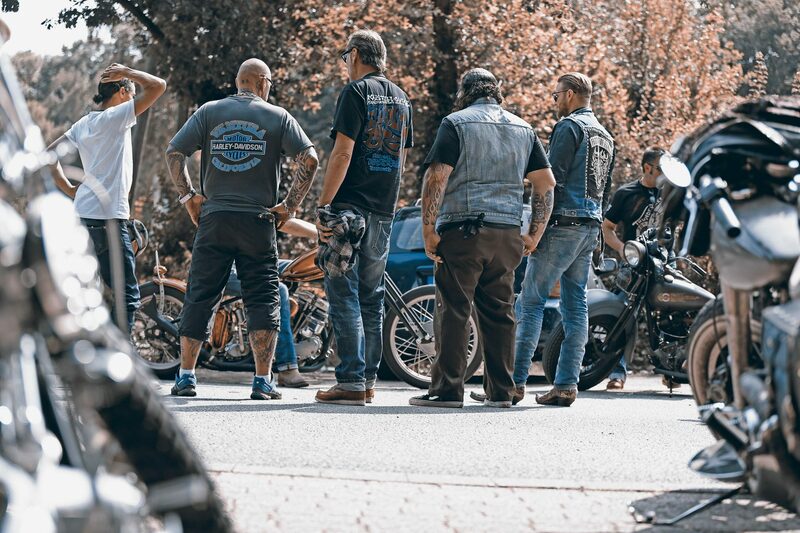 The fact that in the end the more than 57,000 patients per year and their parents in Siegen-Wittgenstein and the surrounding area also benefit from this is a high motivation for this successful campaign. 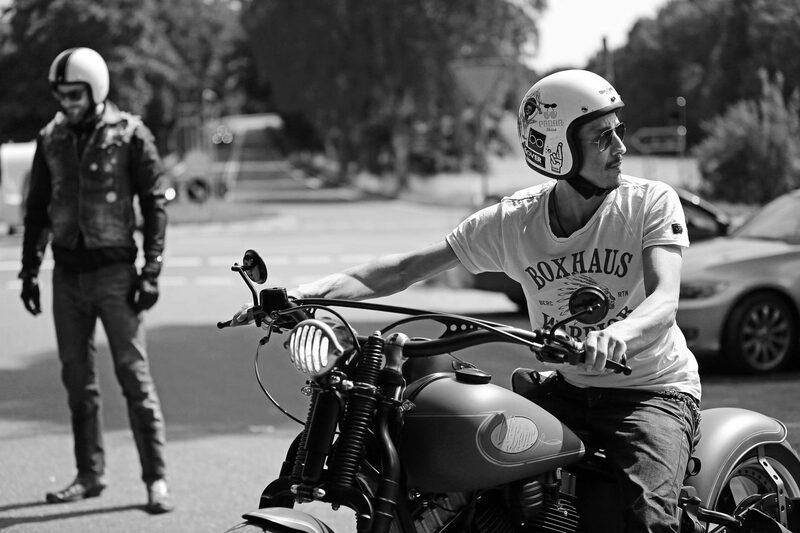 Conclusion: at the www.spendenaktion-motorrad.de there are only winners.